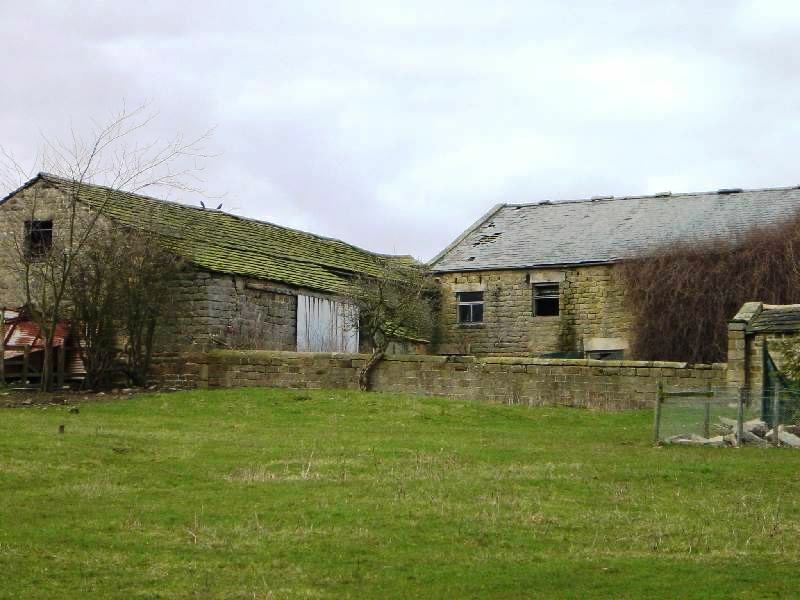 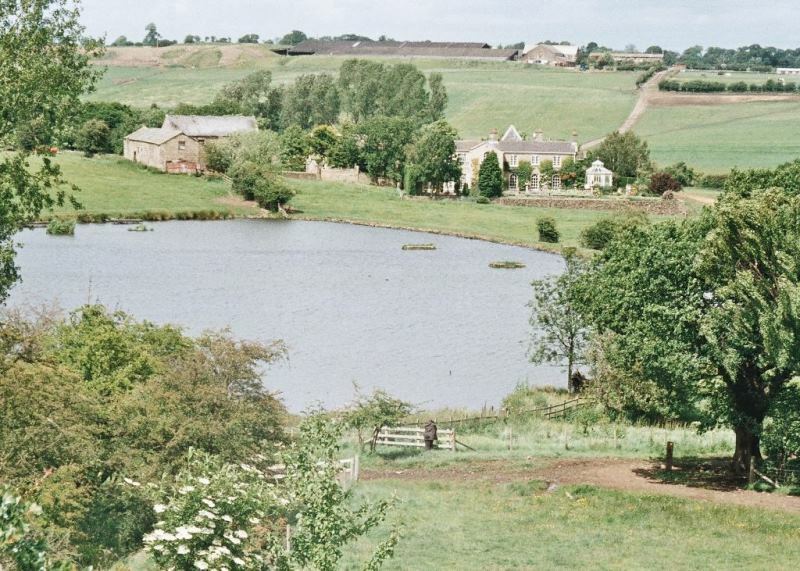 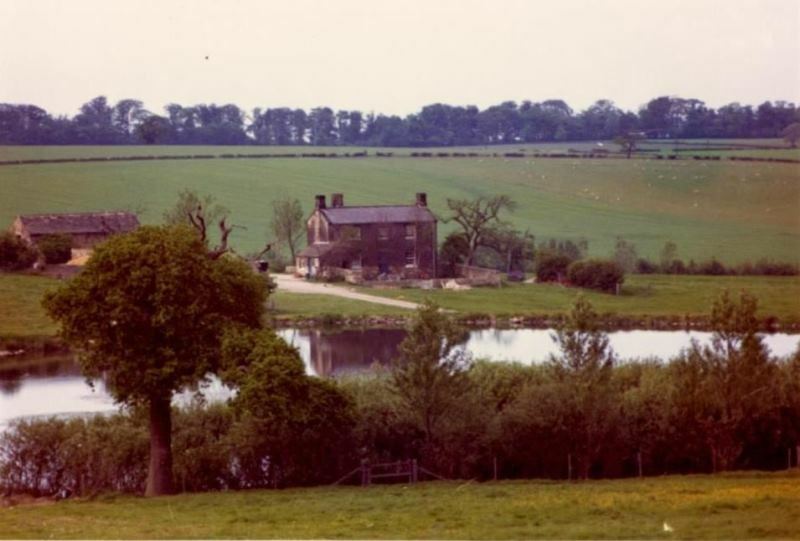 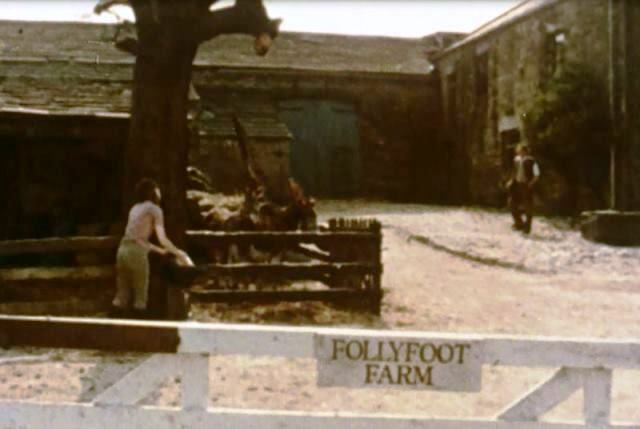 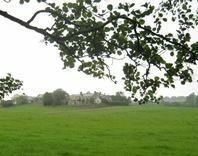 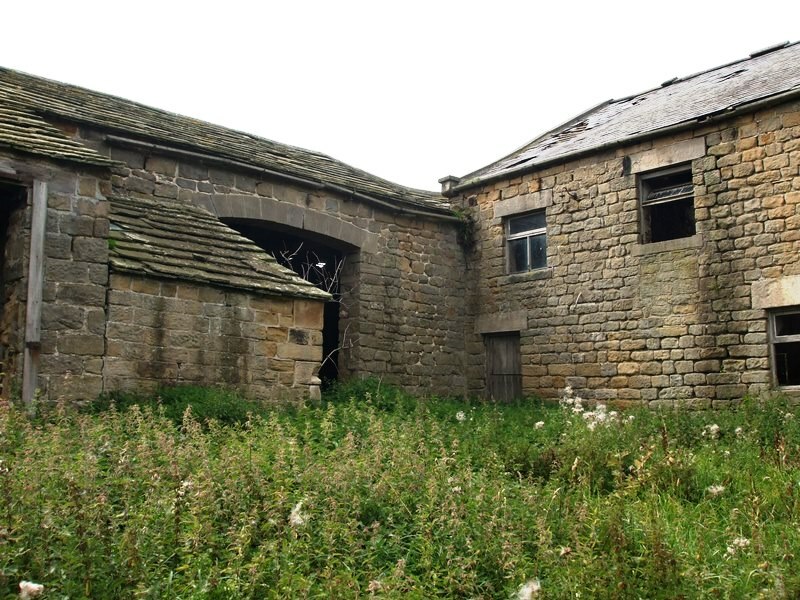 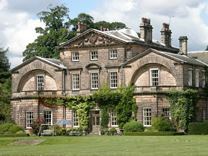 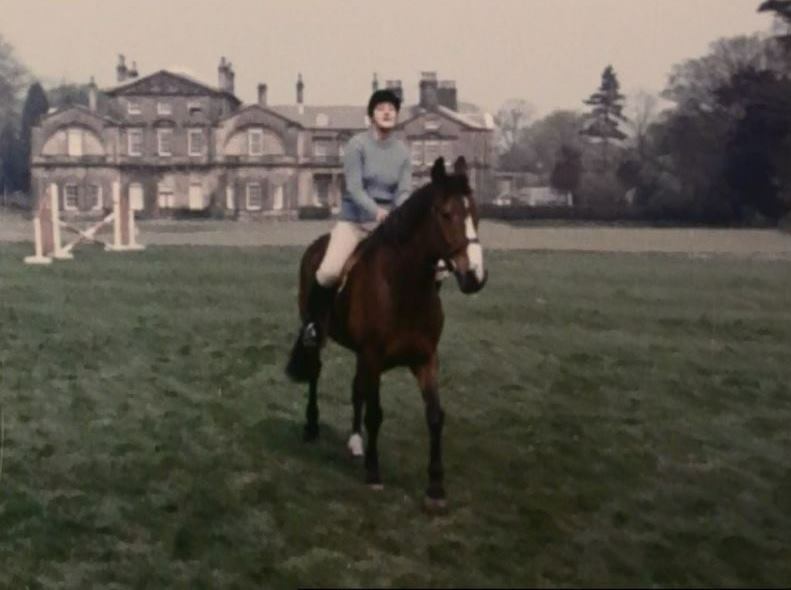 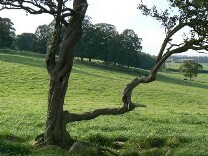 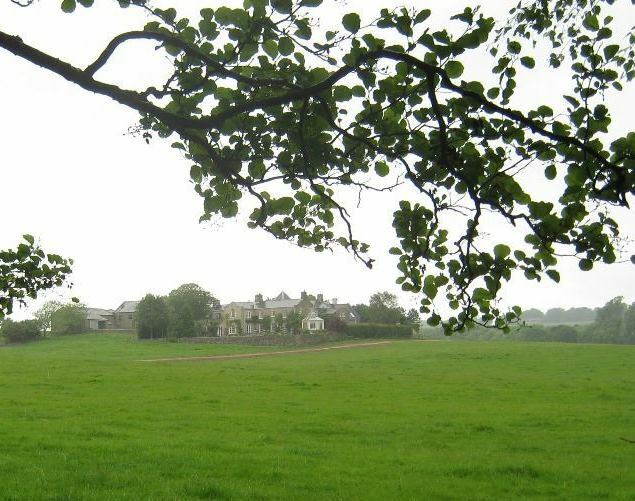 Follyfoot Farm, the main location for the series, was filmed at Hollin Hall on the Harewood estate in Yorkshire. 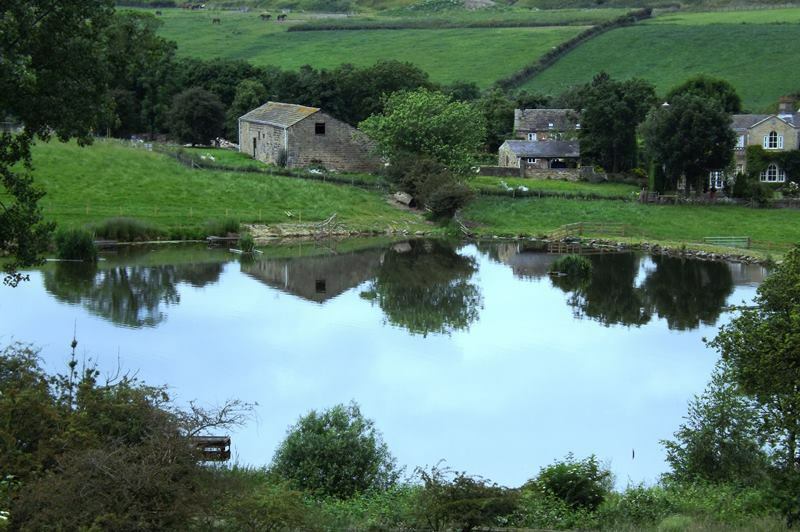 Looking across the lake to Follyfoot. 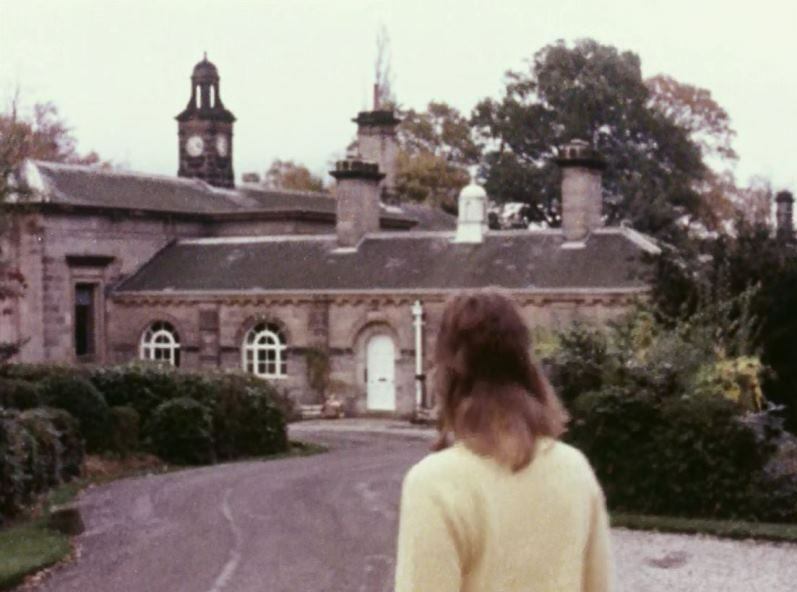 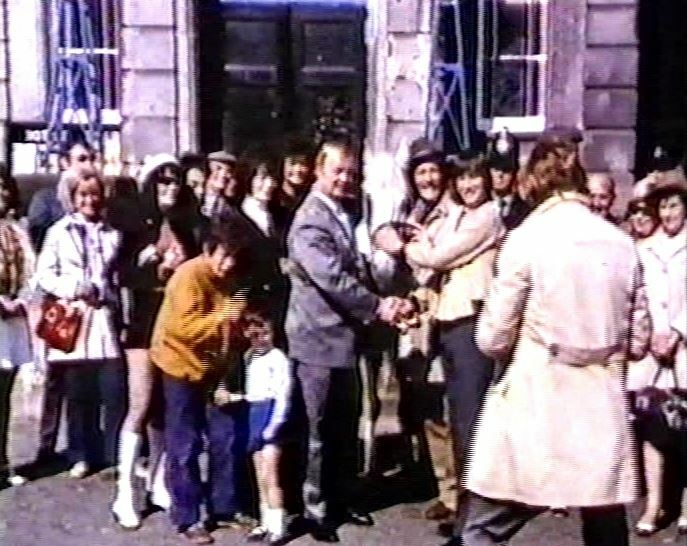 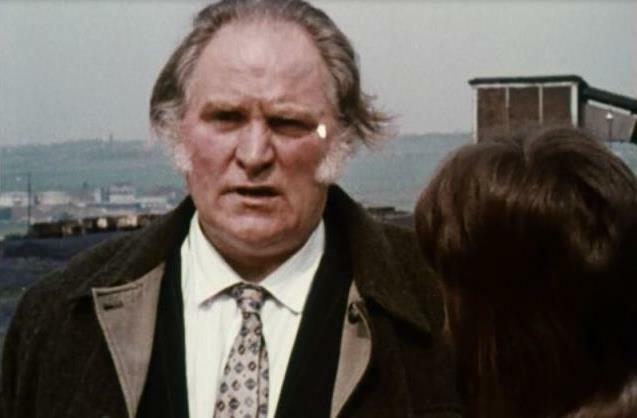 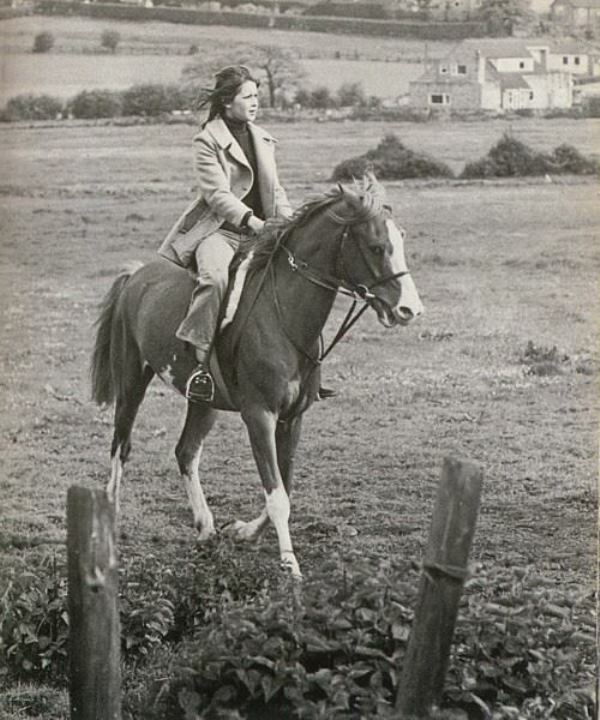 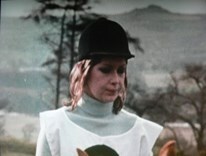 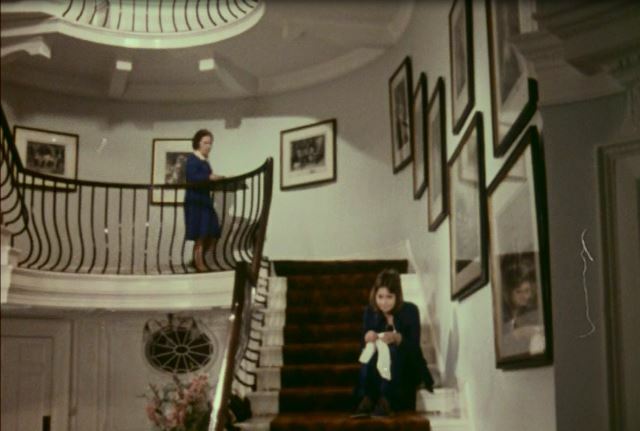 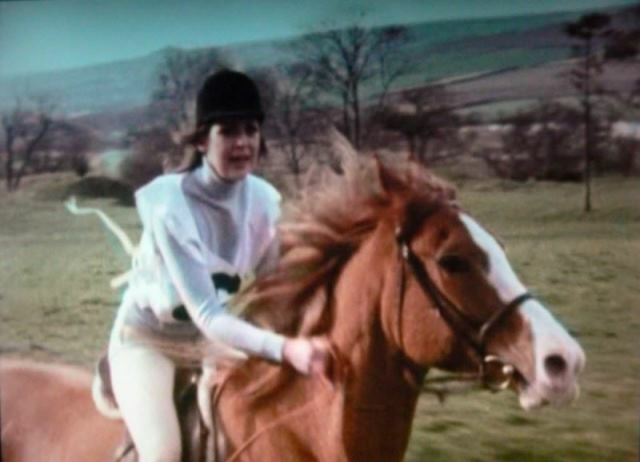 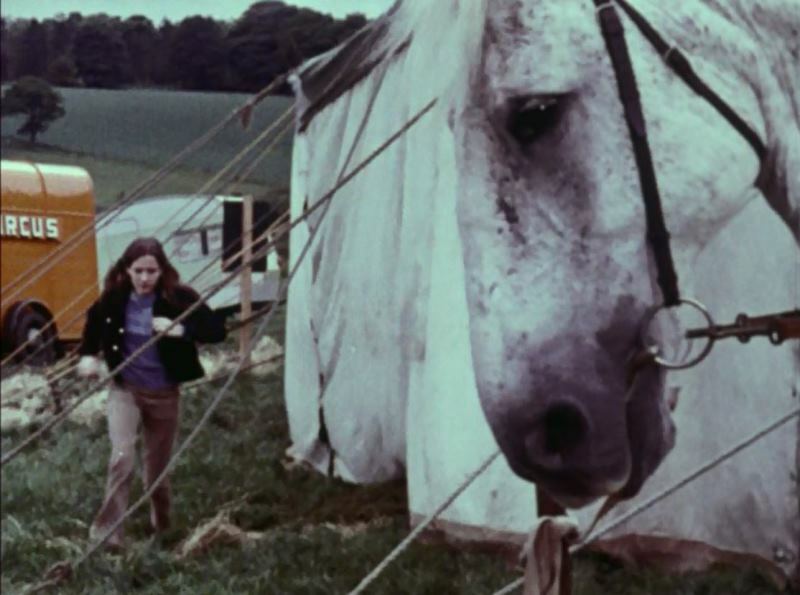 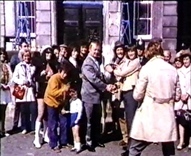 On the left Jane Royston's personal photo taken in the 1970s. 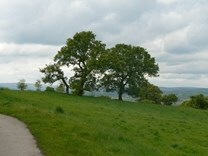 Middle image taken by Pete in 2009. 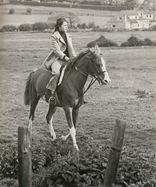 Jane Royston is leaning on the fence looking across to the farm. Far right Motomouse's image taken in 2013. 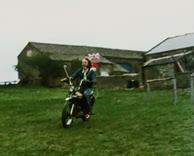 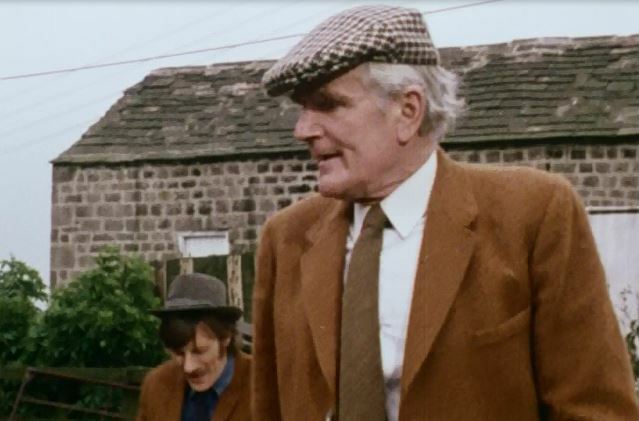 Ron rides past the barns. 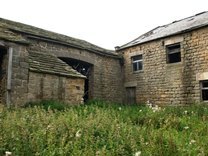 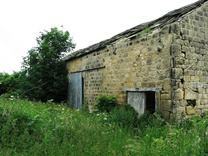 In Simon's image taken in 2004 both barns are still there. 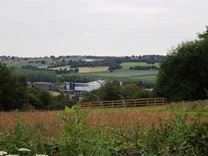 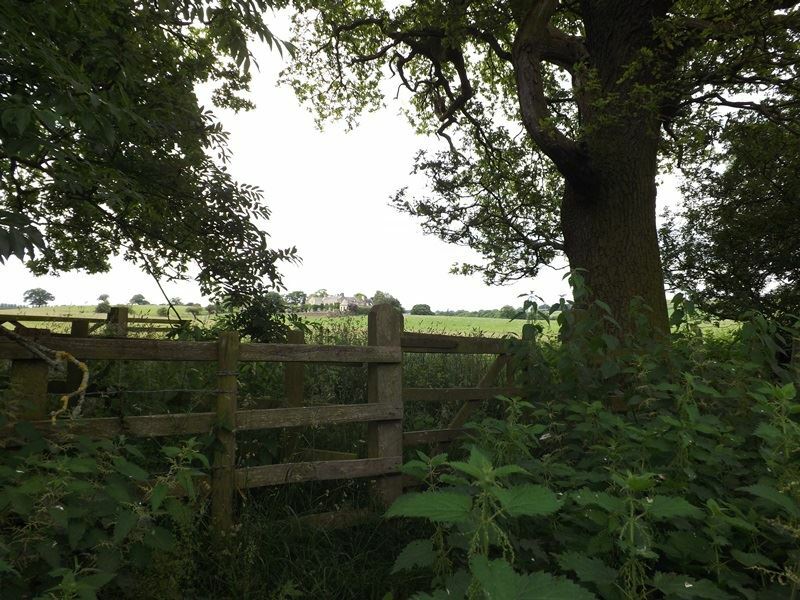 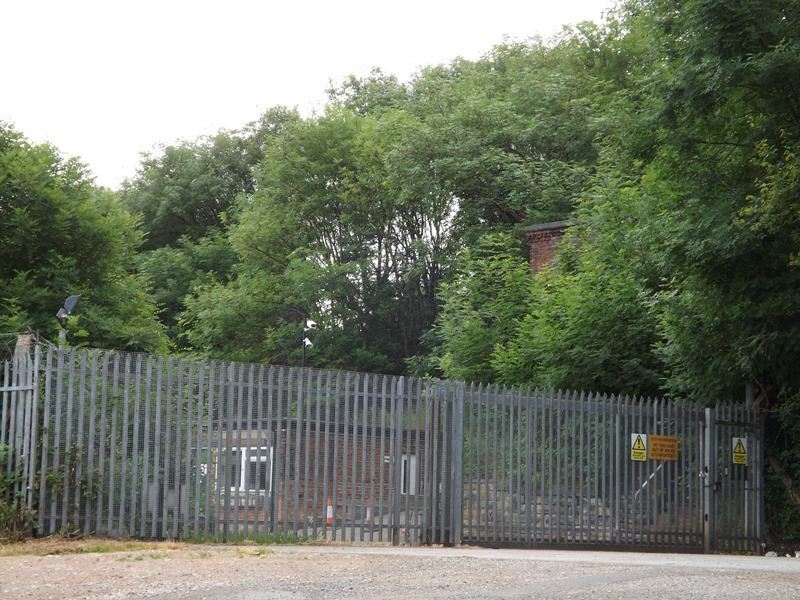 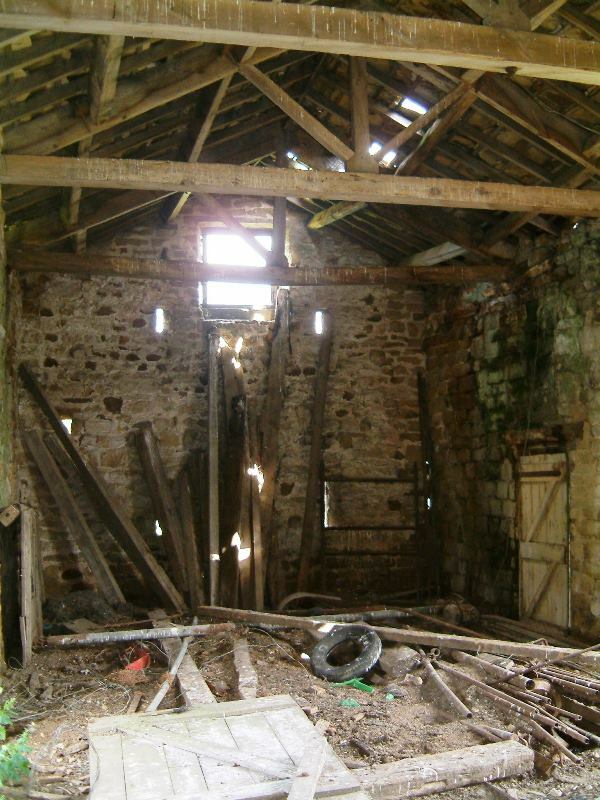 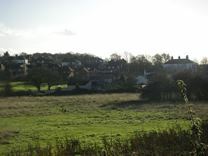 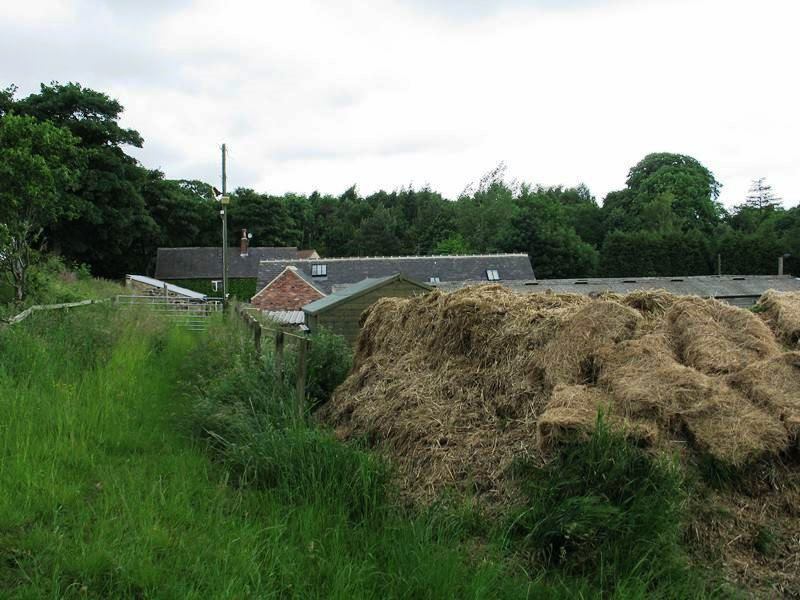 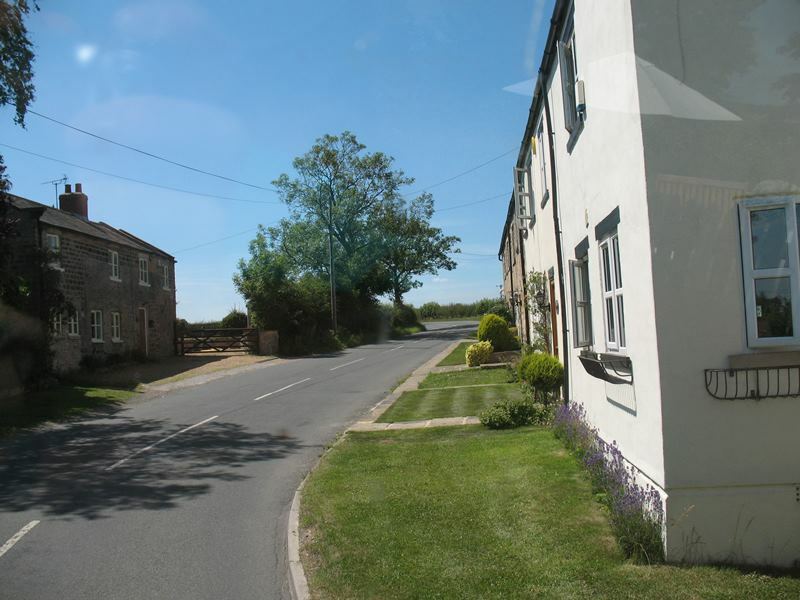 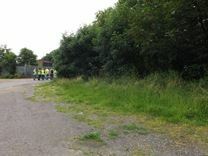 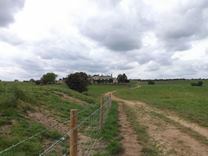 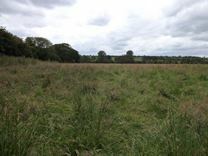 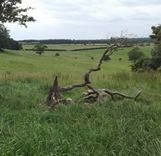 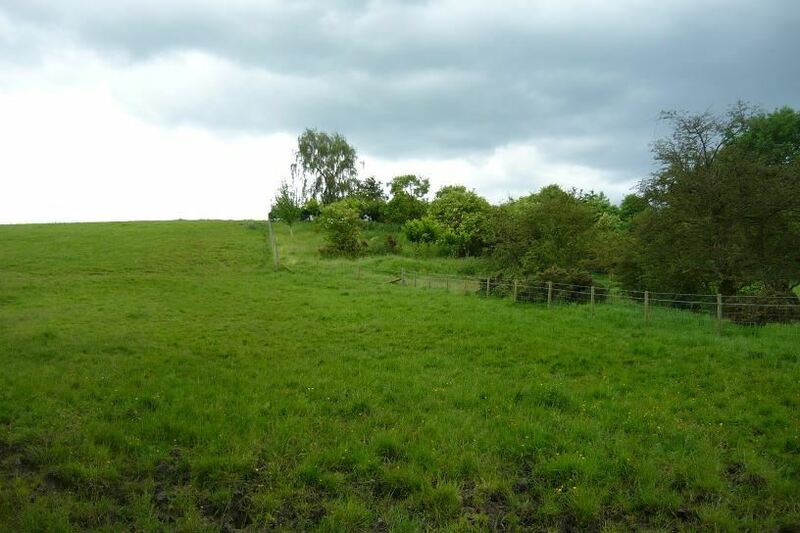 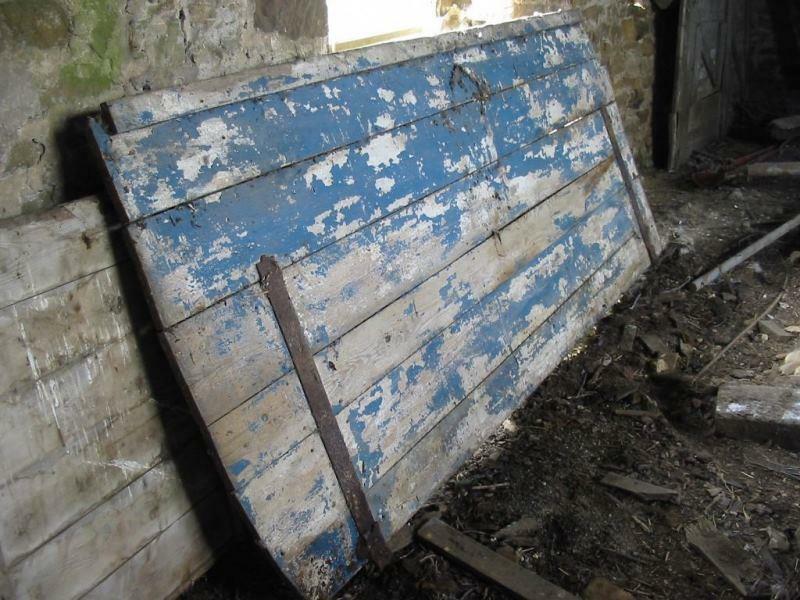 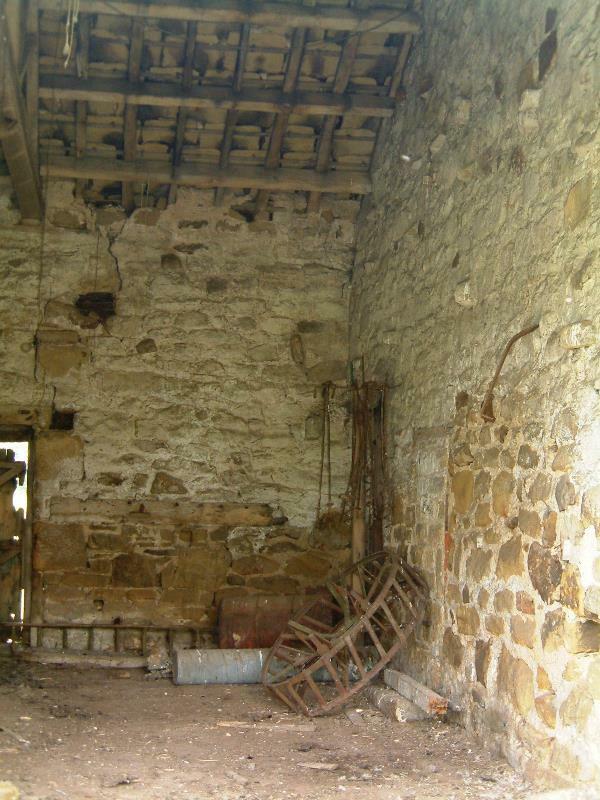 Hollinhare's image far right taken in 2012 shows one barn has been demolished and a fence put up. 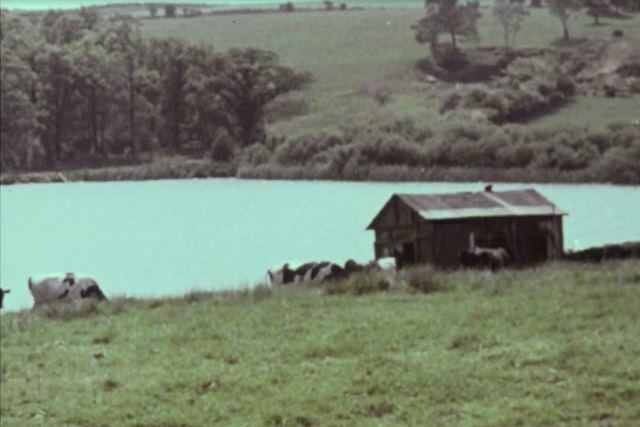 The shed where Callie hides Moonstone has long gone but the lake is still as beautiful today. 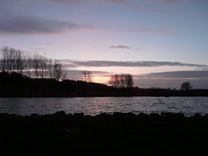 Dora searches for Folly by the lake. 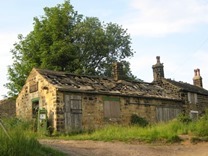 Rob's image taken in 2008. 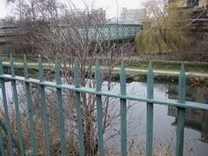 Jane's images taken in 2010 during a forum members meet-up. 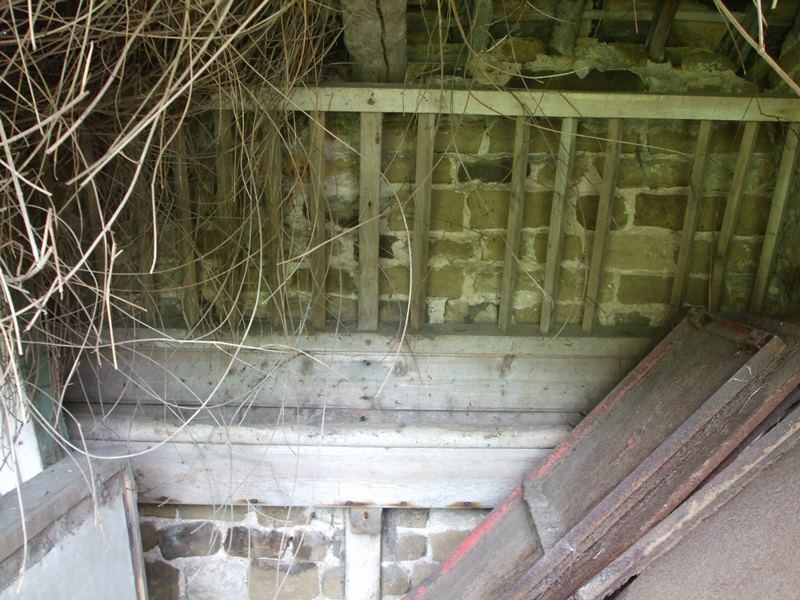 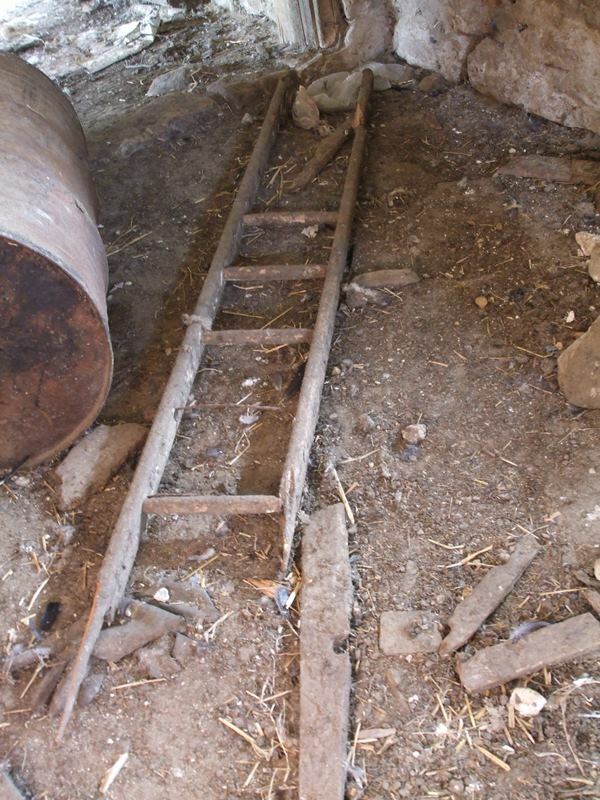 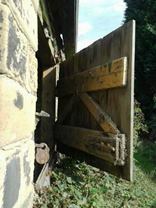 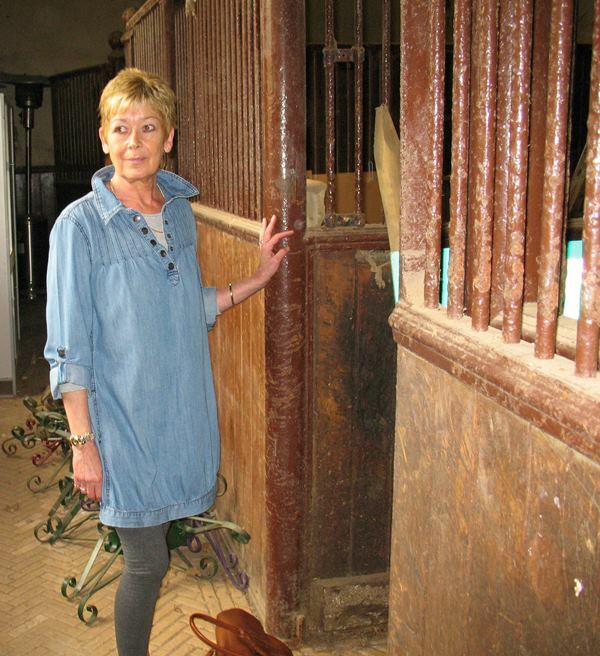 The barns are not accessible to the public. 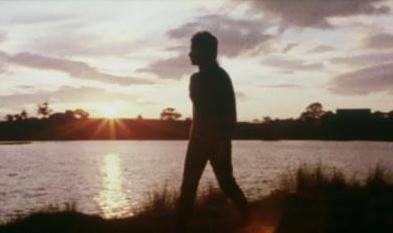 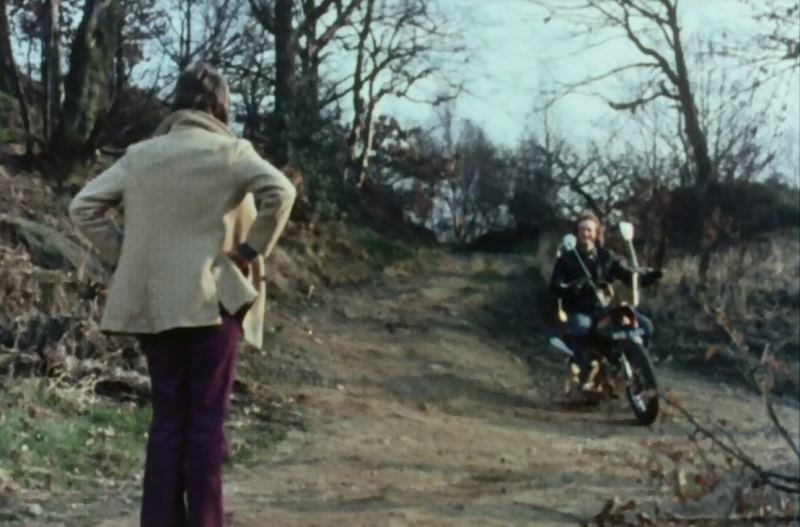 Unless otherwise stated the images for this episode are by Johno. This is Globe Road at the Leeds end of the Leeds/Liverpool Canal. 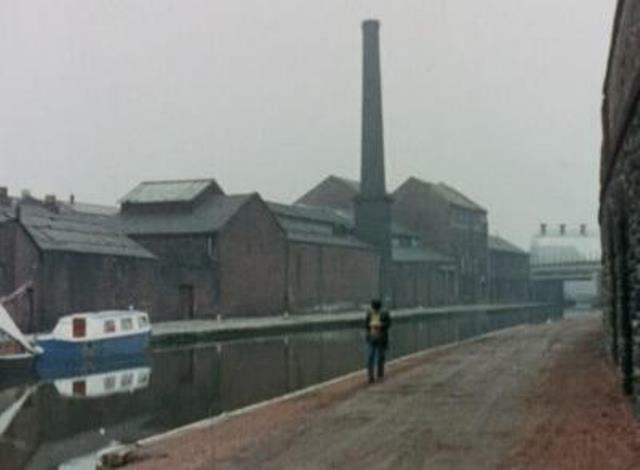 Steve walks along by the canal. The doorway can still be seen next to the pink flowers by the Barge. 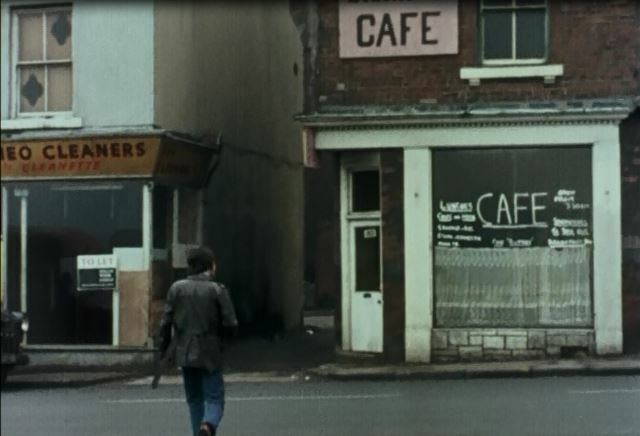 The approximate location of Blackett's Cafe. 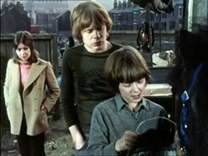 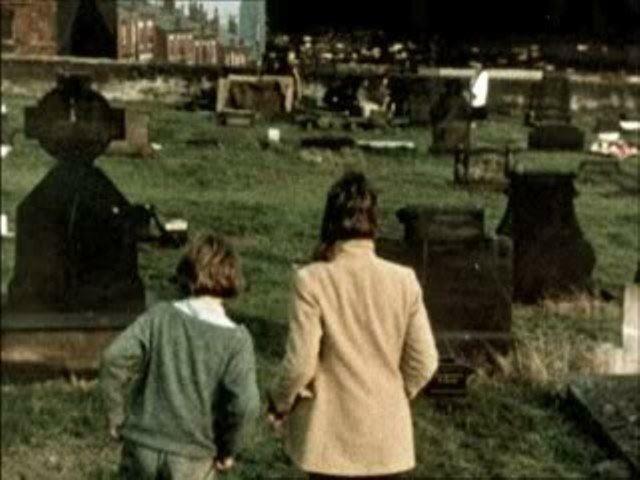 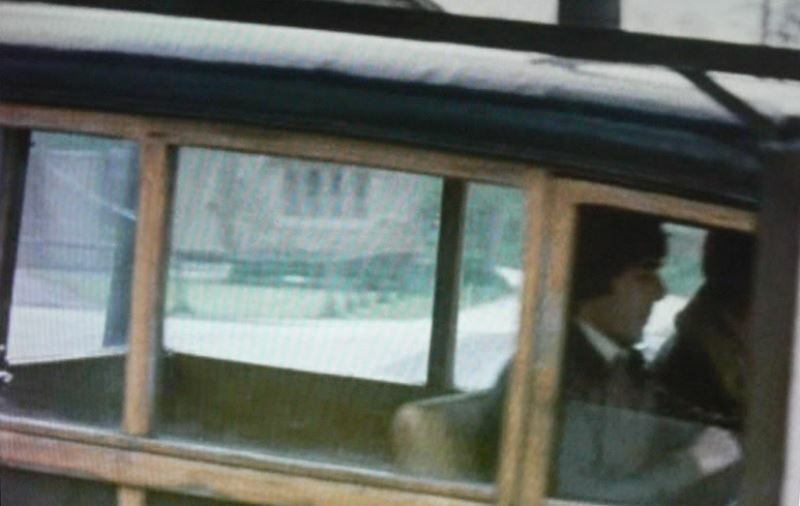 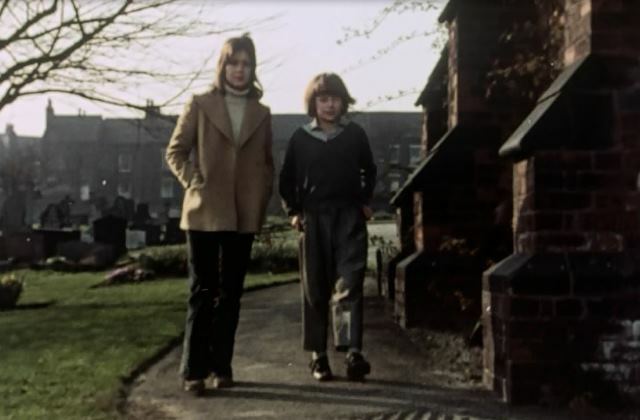 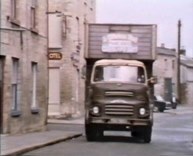 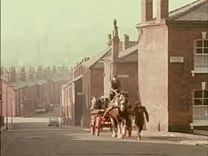 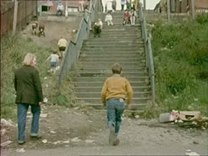 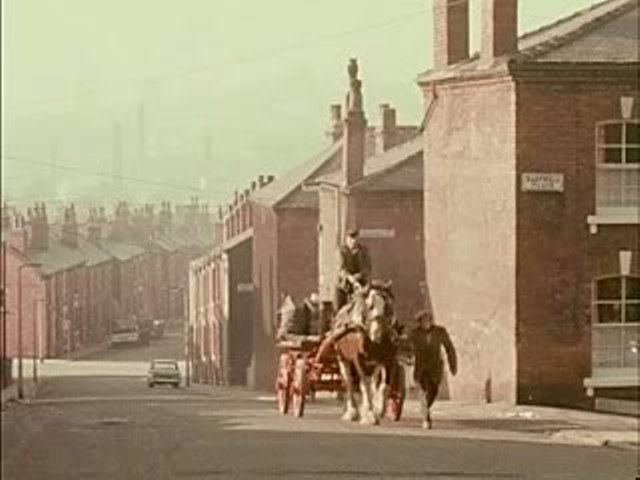 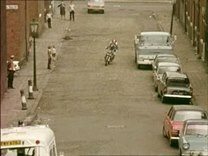 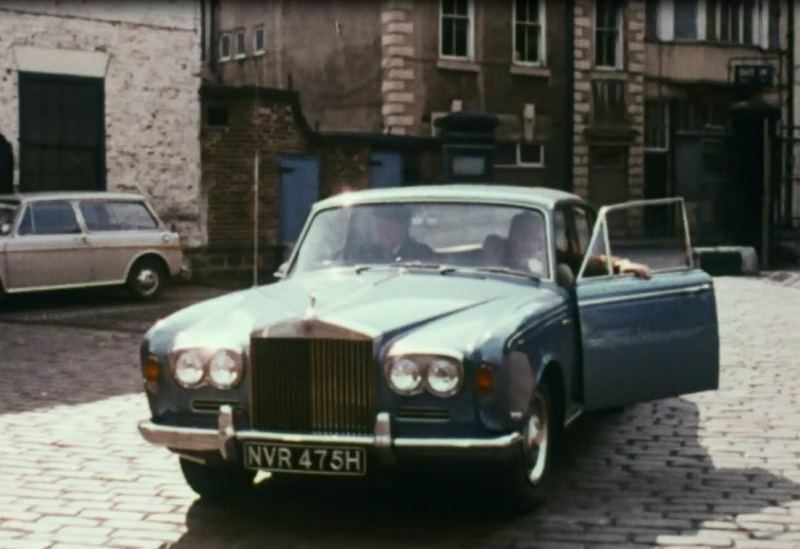 This was filmed on Woodhouse Street in Leeds. 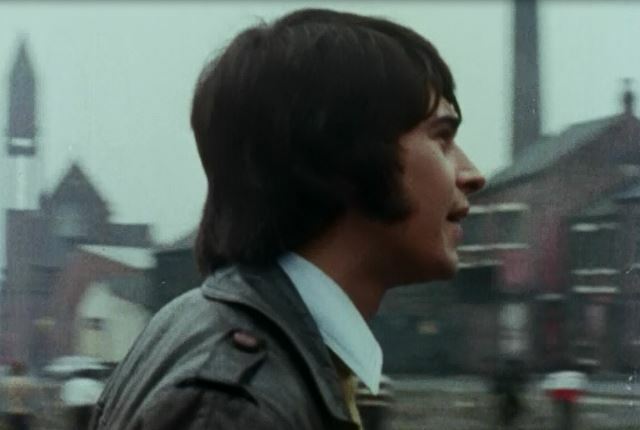 When Steve crosses the street to the Cafe, you can see the spire of the Church of the Holy Name in the background. 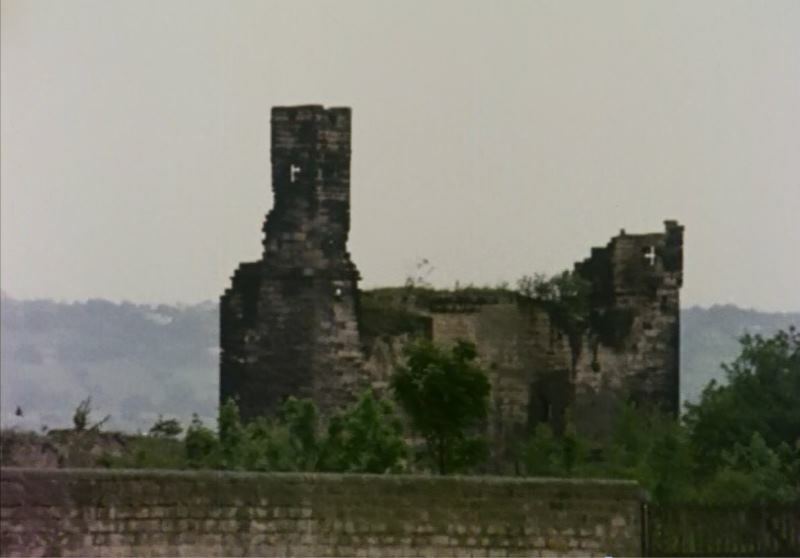 This has since been demolished. 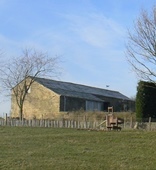 Rob's image taken in 2012. 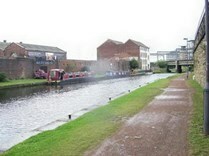 Still at the Leeds end of the canal, the location for the Night Café. 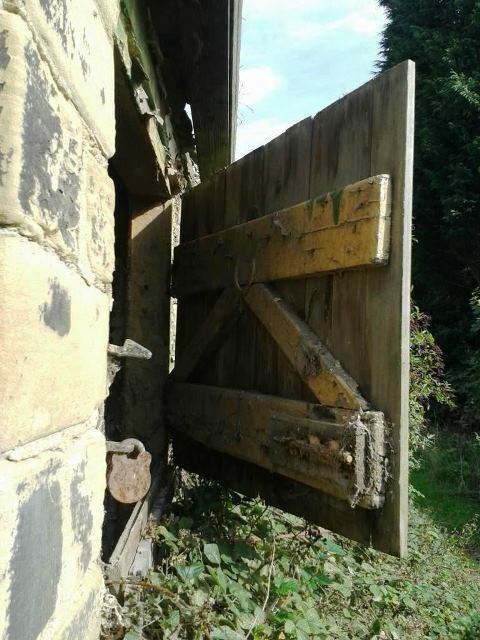 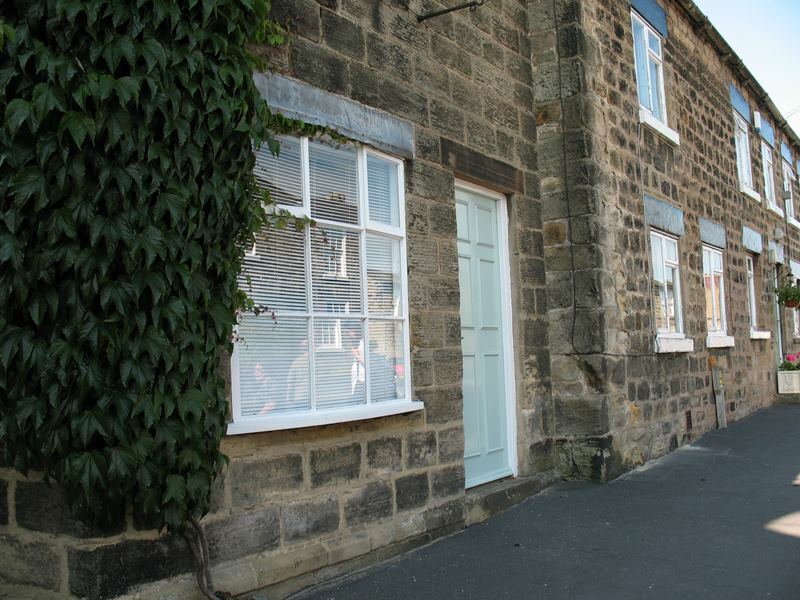 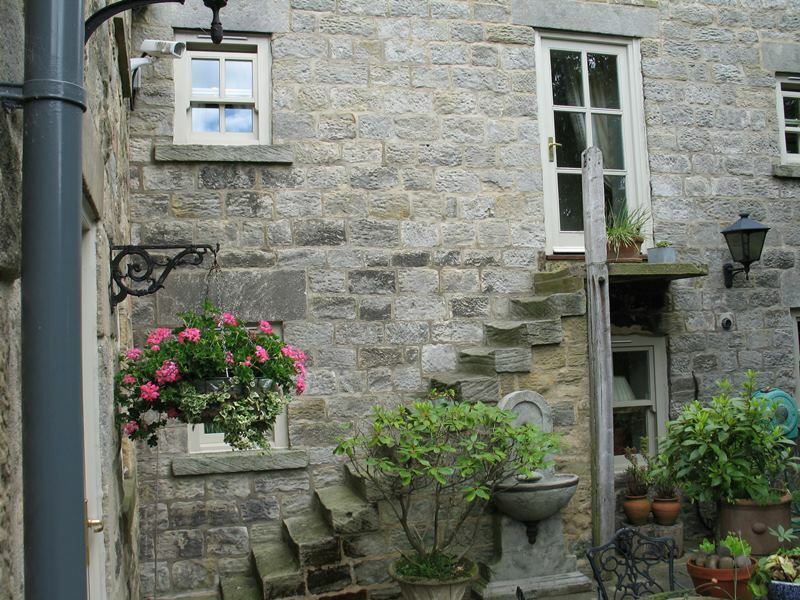 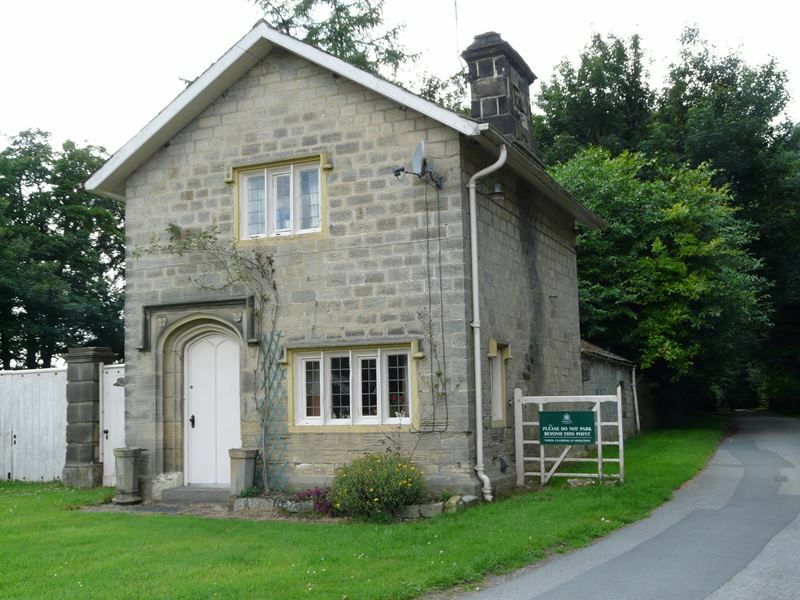 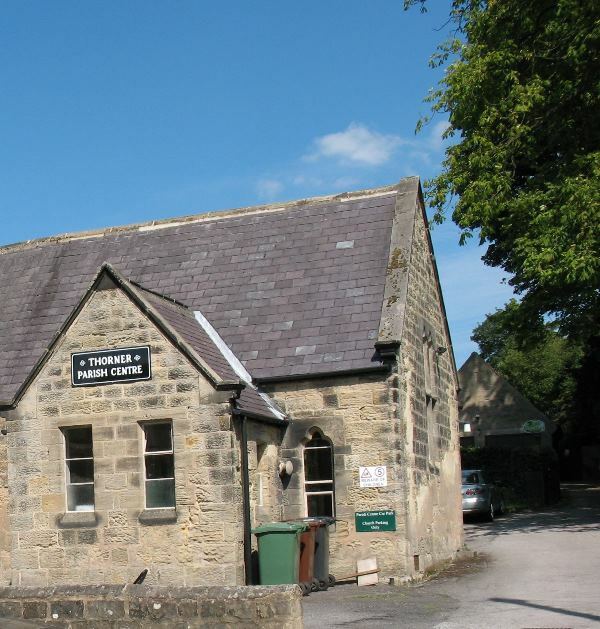 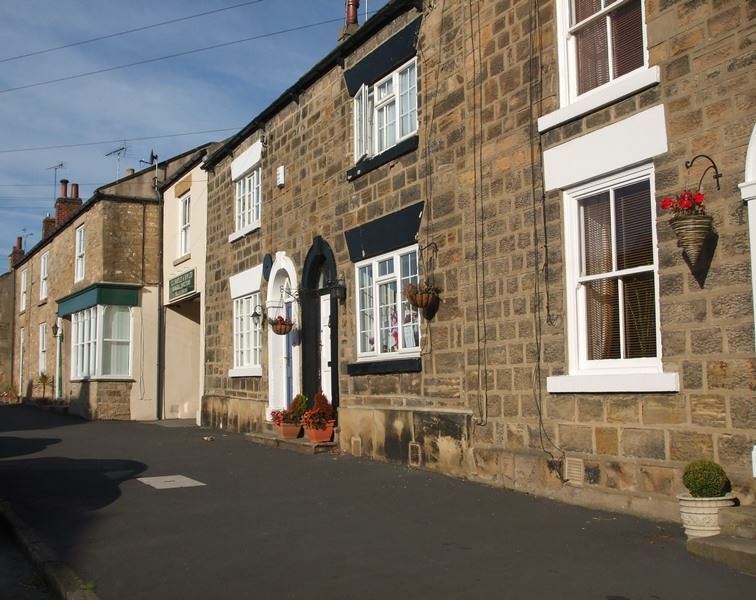 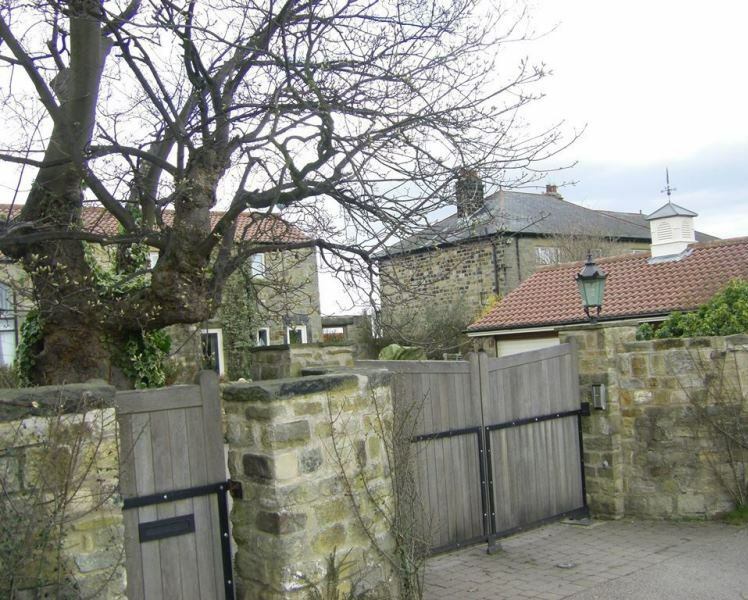 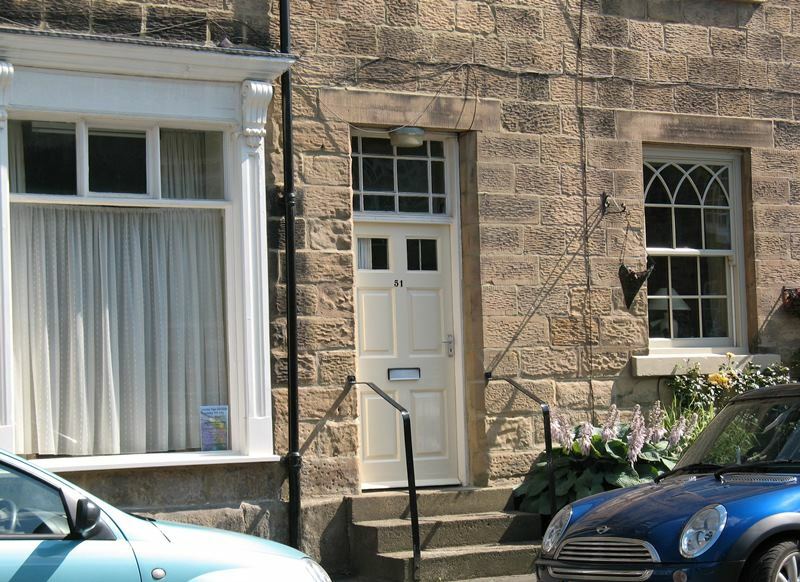 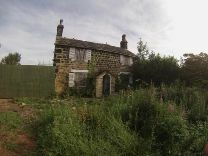 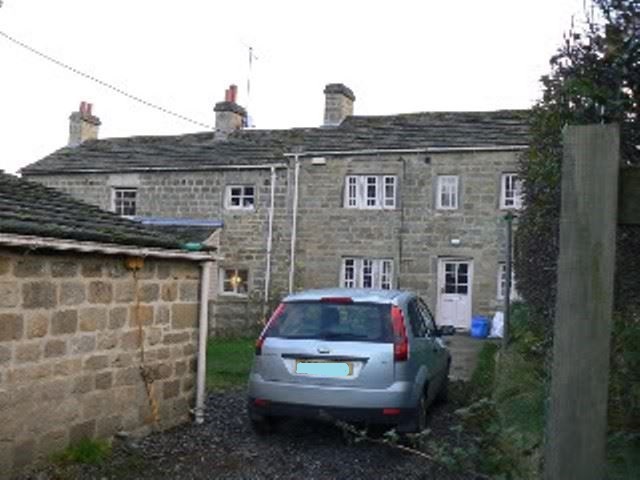 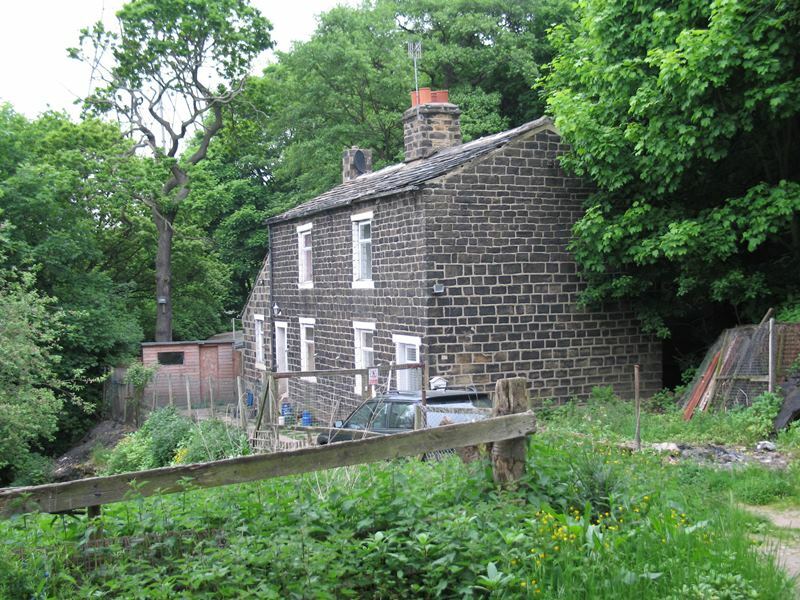 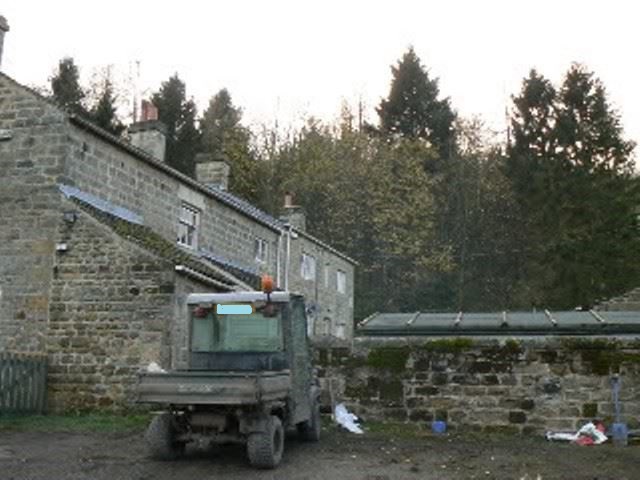 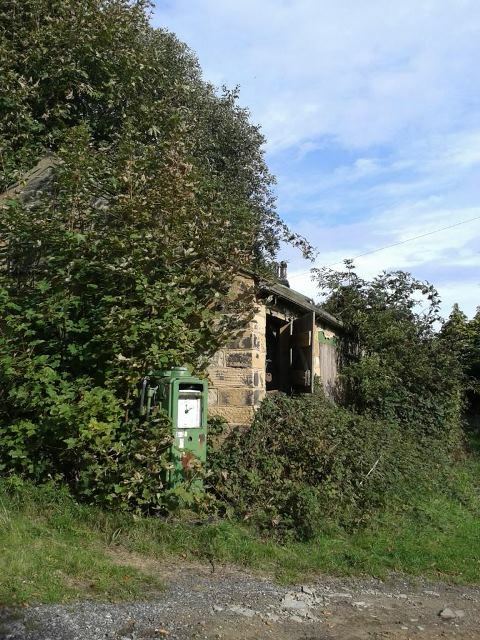 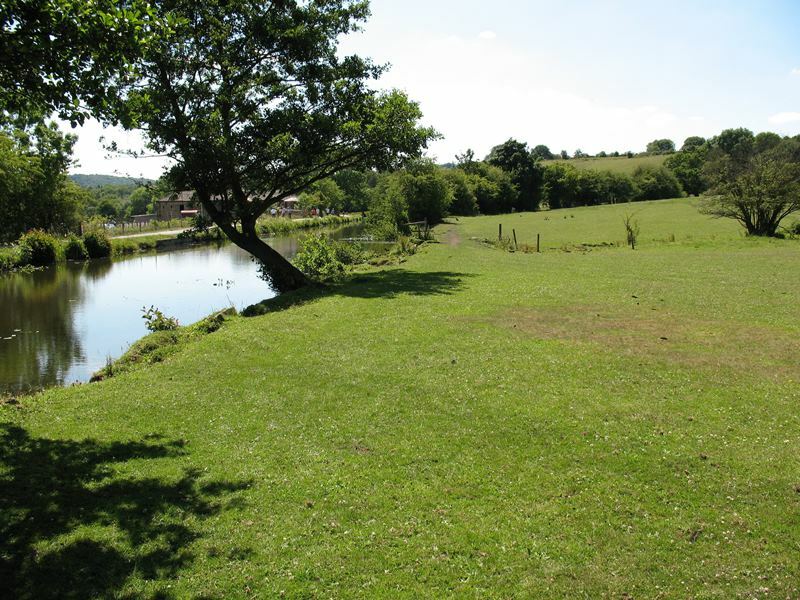 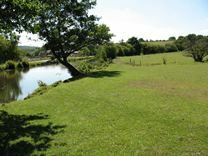 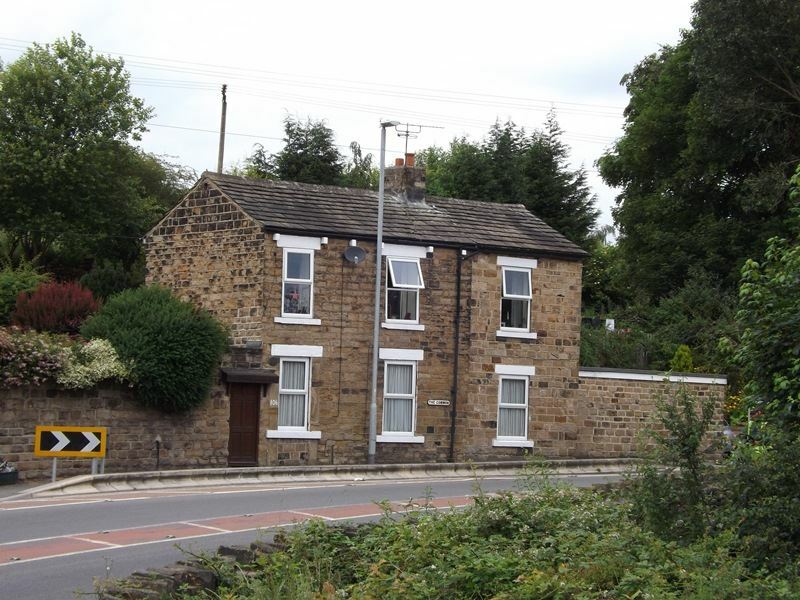 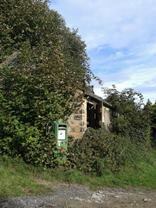 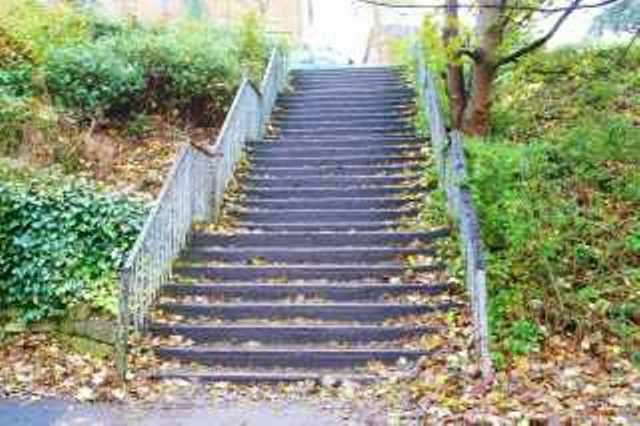 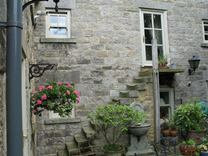 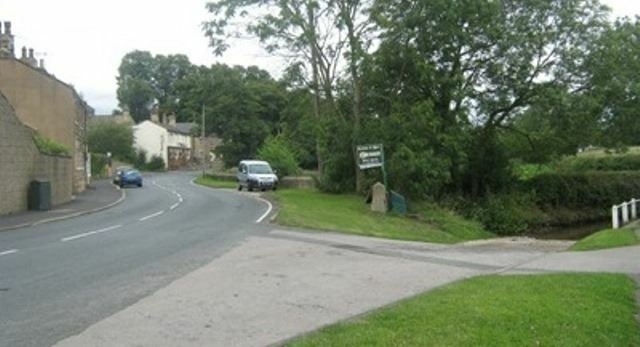 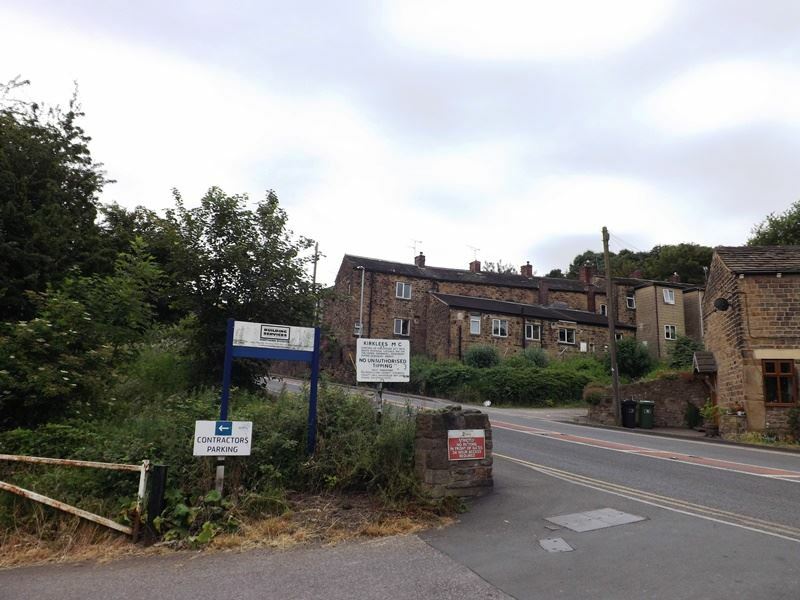 The Lock Keepers Cottage is near Dobson Lock, Apperley Bridge and down a private drive. 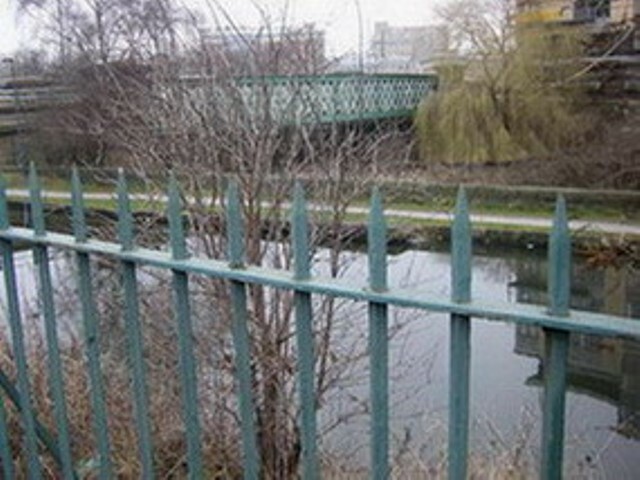 Image far right taken by Barney in 2008. 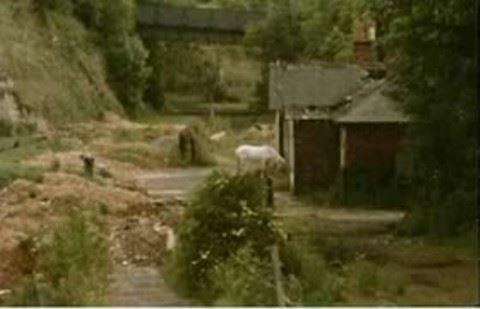 The track where Dora and Ron meet hasn't changed that much. 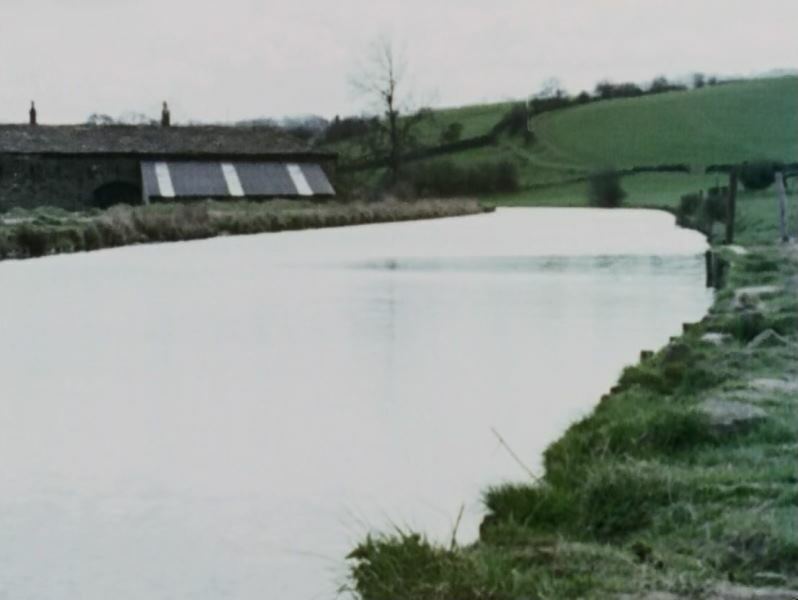 Again near Dobson Lock, Apperley where Dora sat pining for Steve. Jane's image taken in 2011 shows it's still a peaceful stretch of the canal. 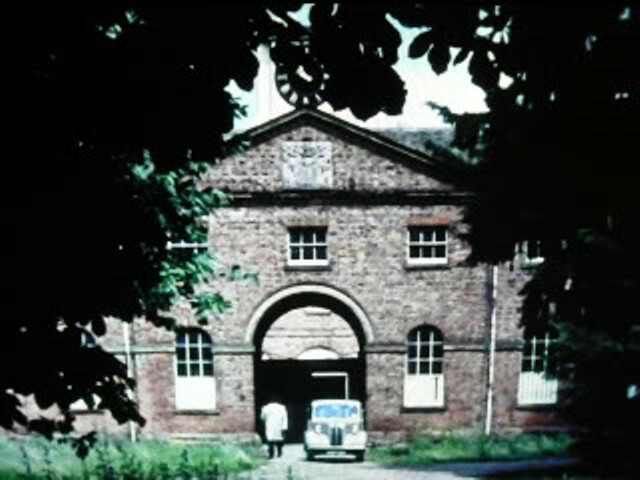 image the building with the bay window is still there. 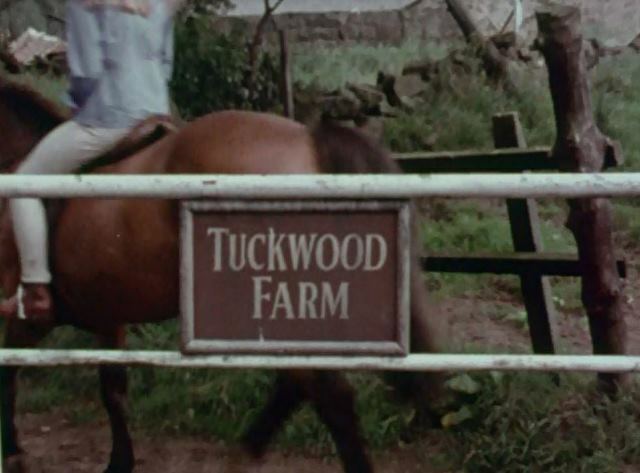 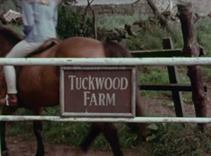 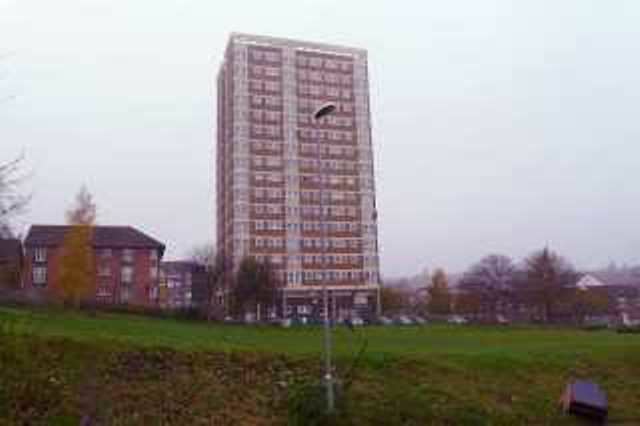 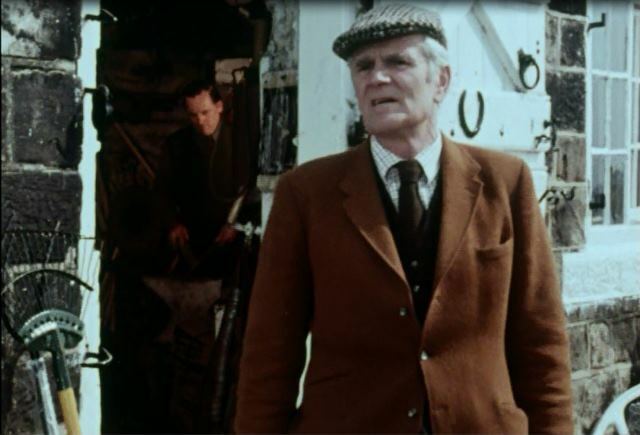 Drapers Farm in Shadwell was the same location as Tinikers Farm in episode Gypsy. 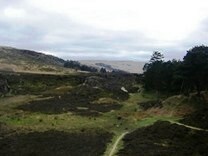 Thanks Johno for the images. 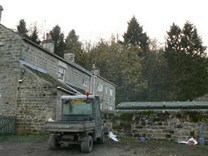 Seth Draper's Horse box passes this house, Rose Cottage, on Brandon Lane. 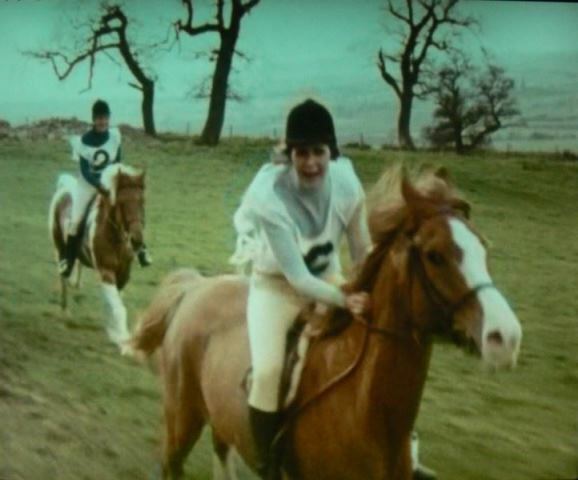 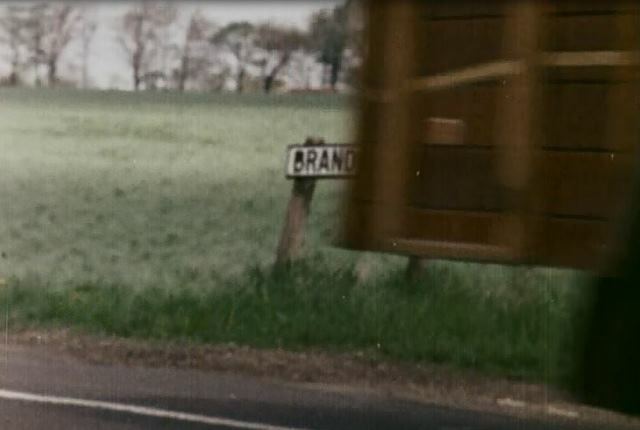 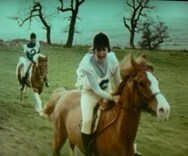 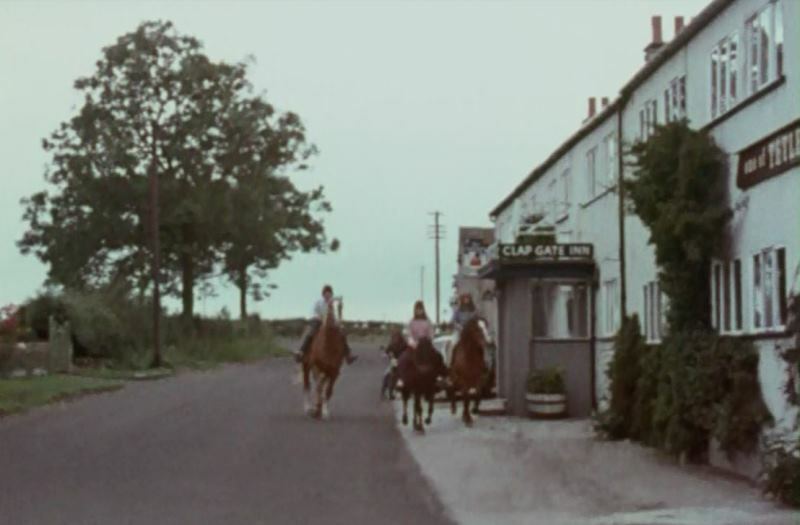 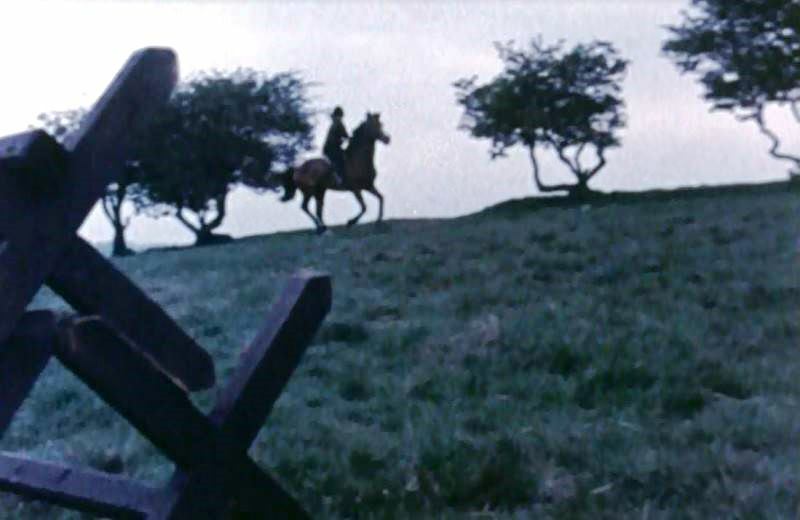 If you slow the DVD down as the horse box passes there's a road sign you can just make out as the start of Brandon. 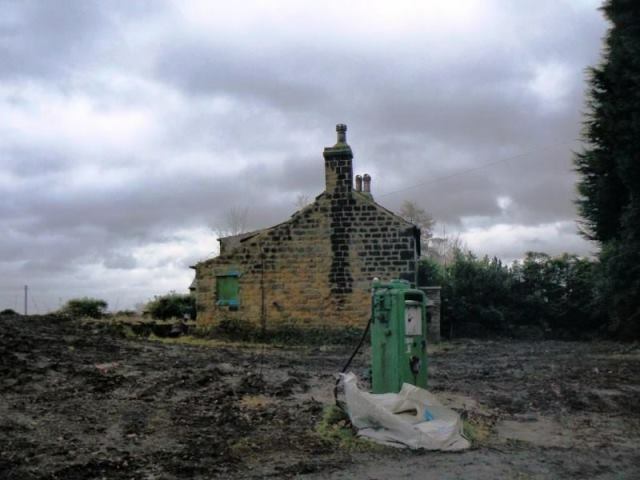 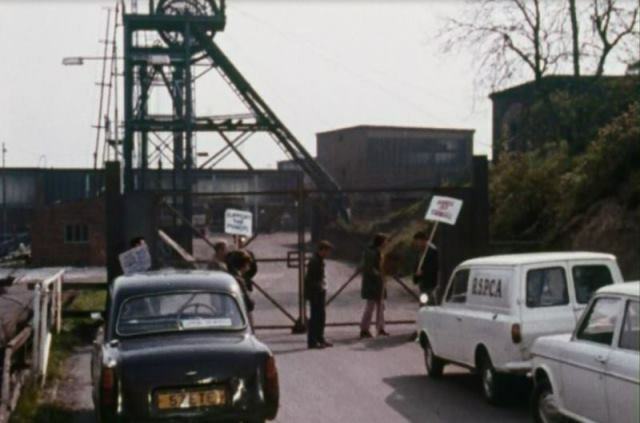 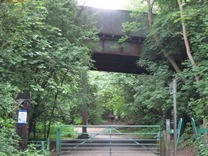 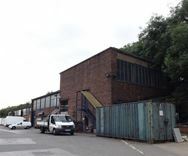 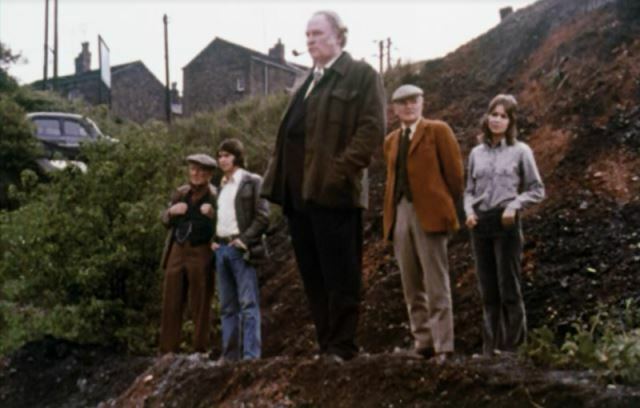 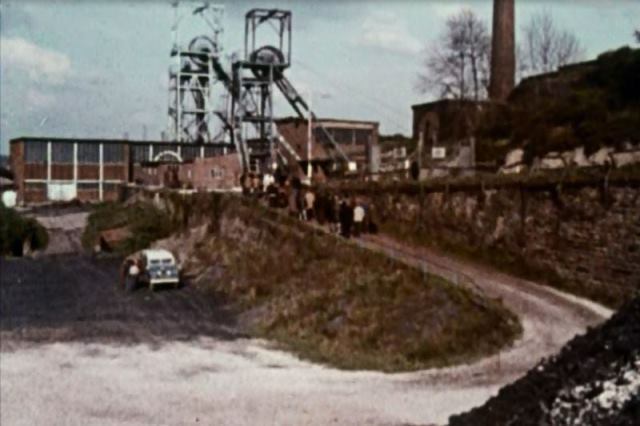 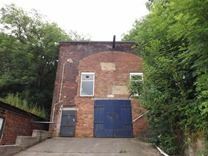 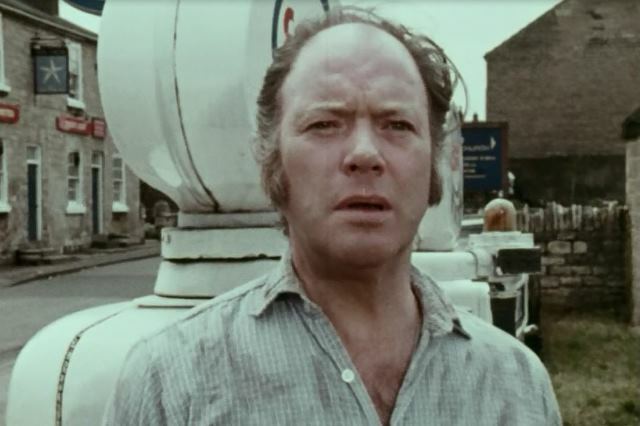 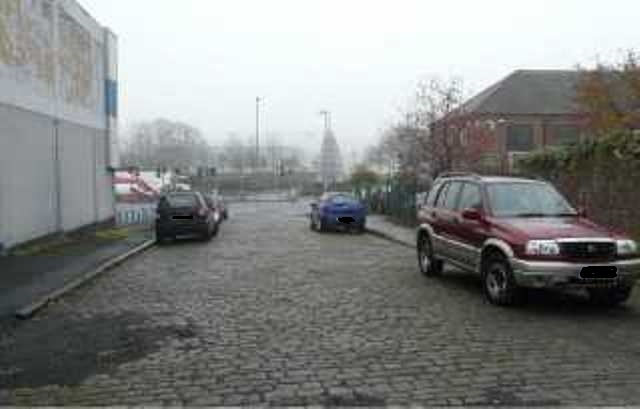 The pit location for most of this episode was filmed at Thornhill Colliery in Dewsbury, which was used by Kirklees Building services until 2015 when the site was demolished to make way for a housing estate. 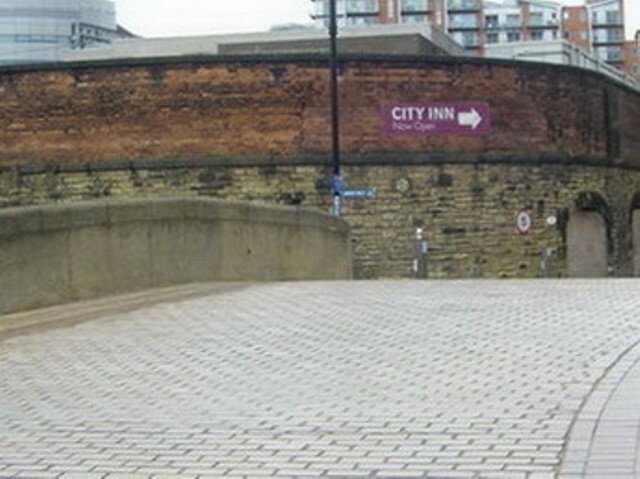 The wall and area to the left has been back-filled and is now a car park. 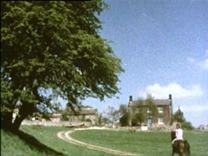 The square buildings in the middle of the screen cap above are the old and newer winding houses. 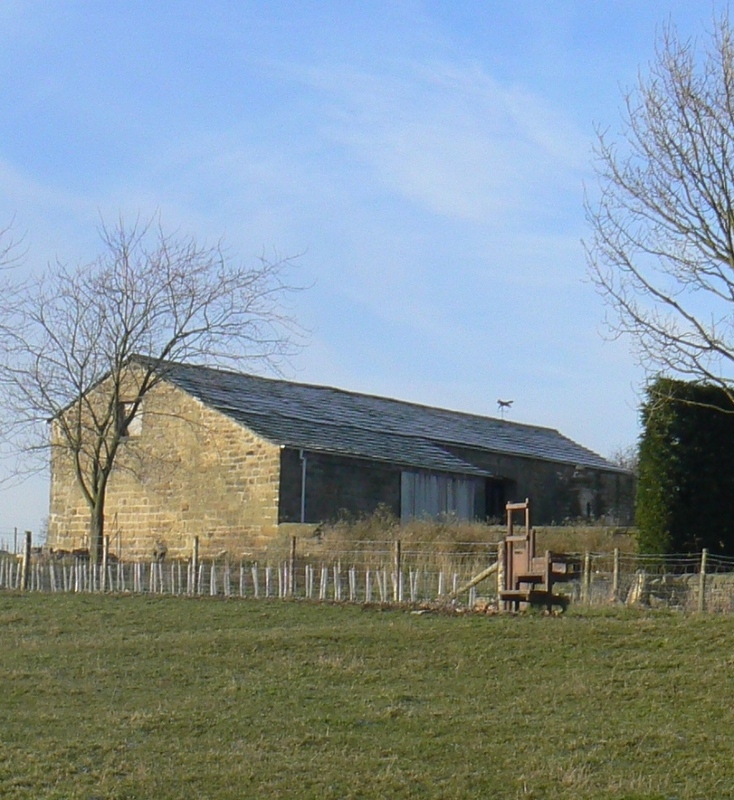 The older winding house is to the left of the chimney. 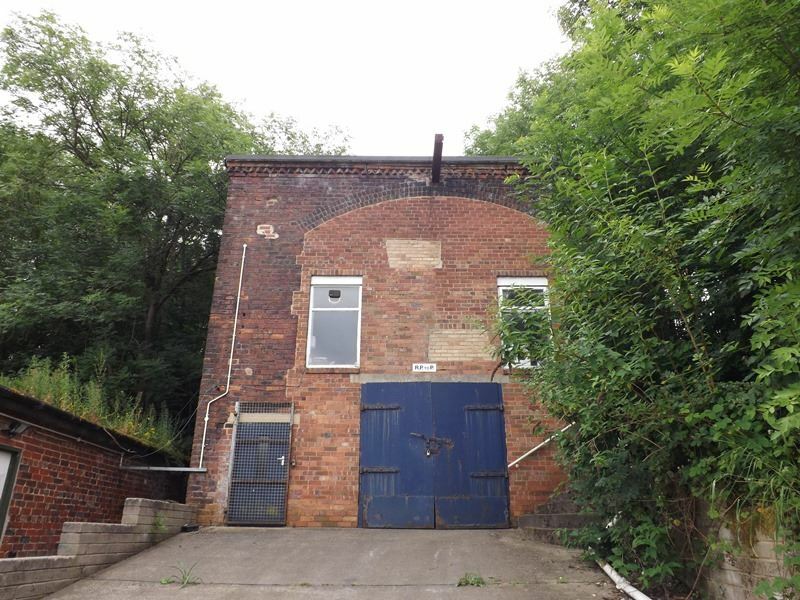 Left image is the newer winding house, old winding house on the right. 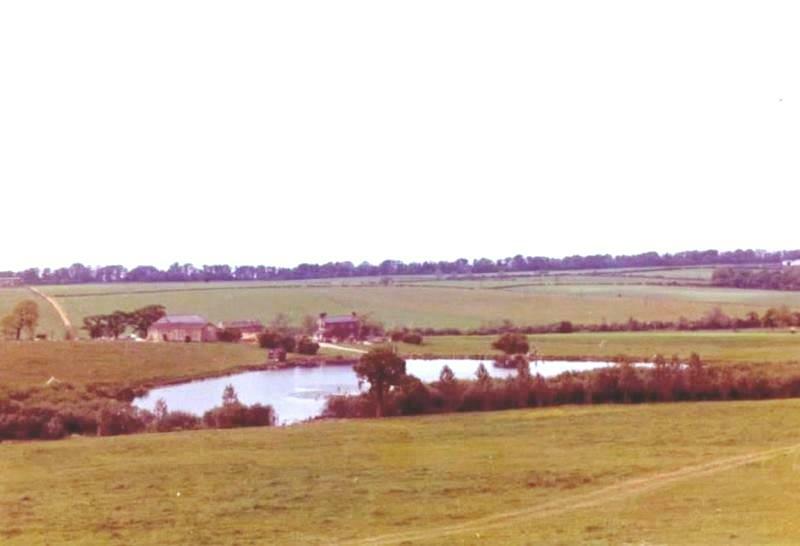 The view behind is still recognisable today by the sewage farm on the left. 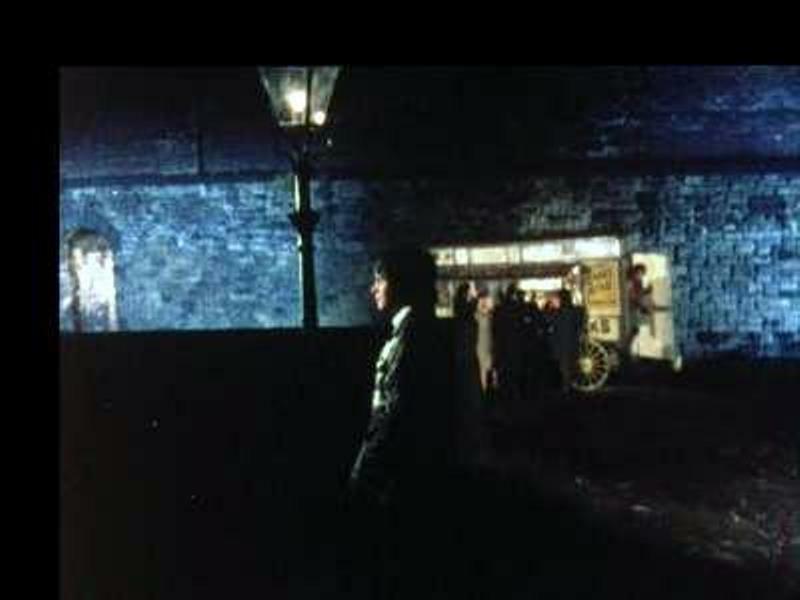 The building on the right in the screen cap has been demolished. 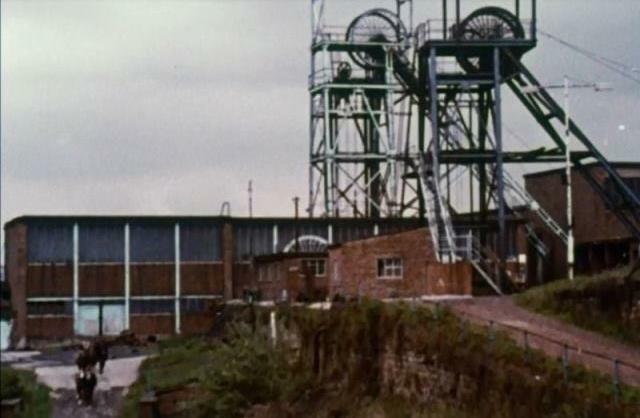 One of the mine shafts now capped off. 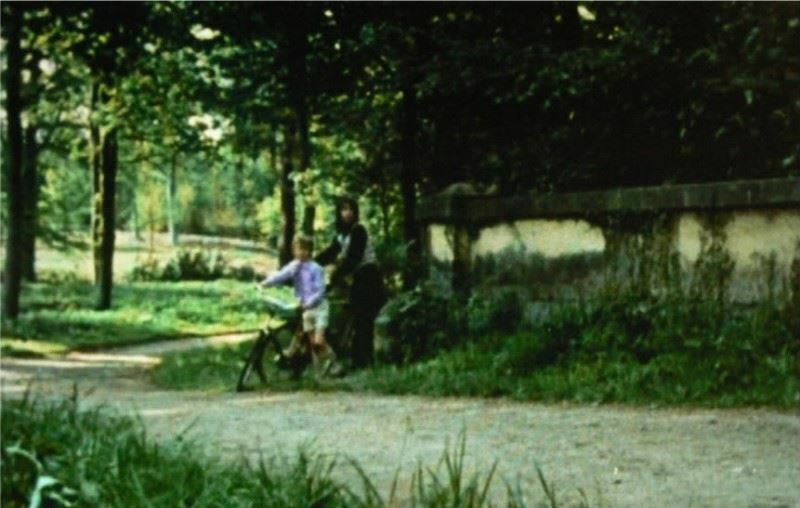 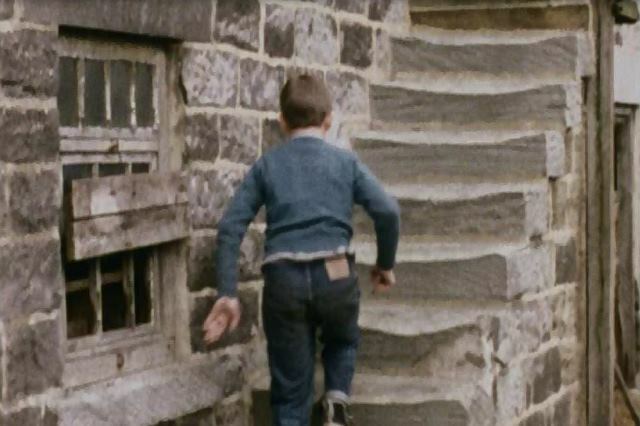 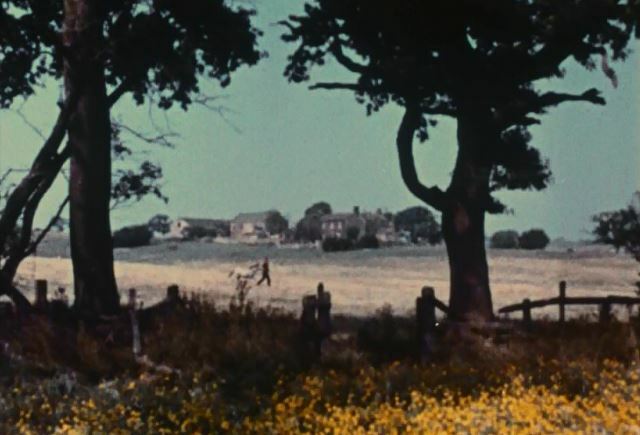 The buildings in the background of the screen cap have been demolished. 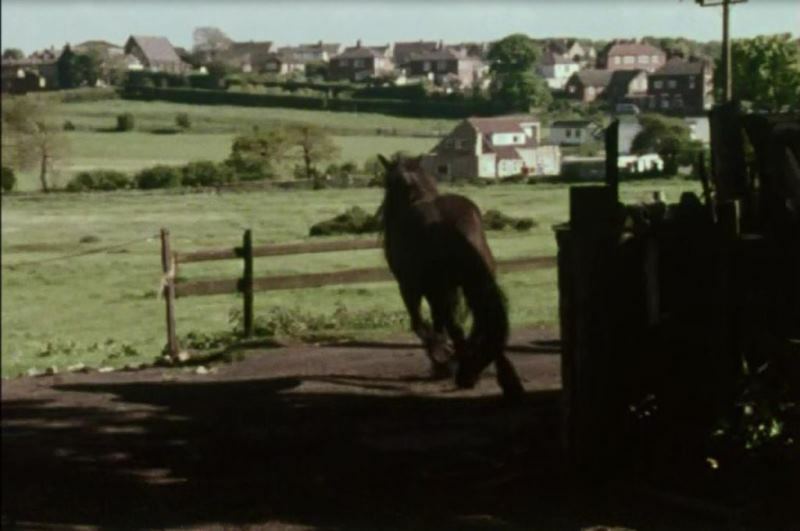 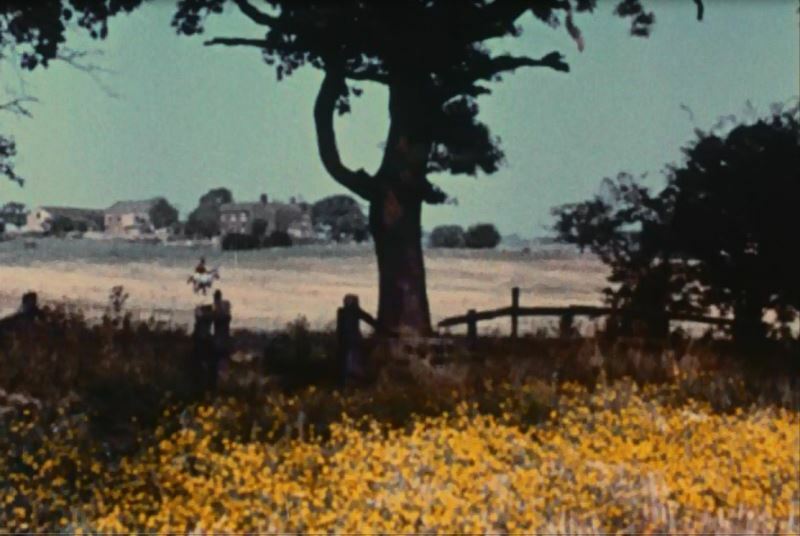 The houses seen in the background are still there, if somewhat altered. 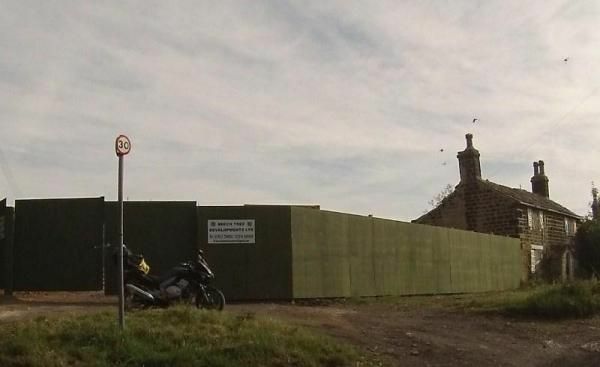 The house with the blue door appears to have been demolished. 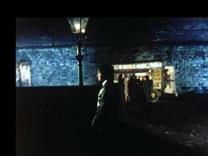 The house next to it on the right, seen in the middle screen cap, is still there with alterations over the years. 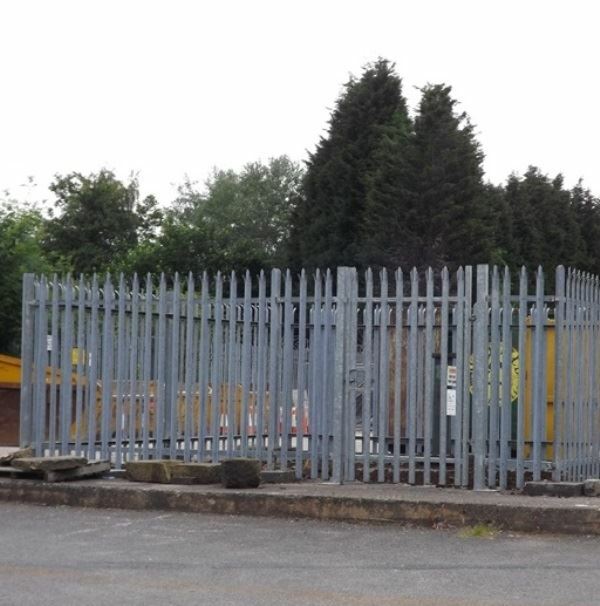 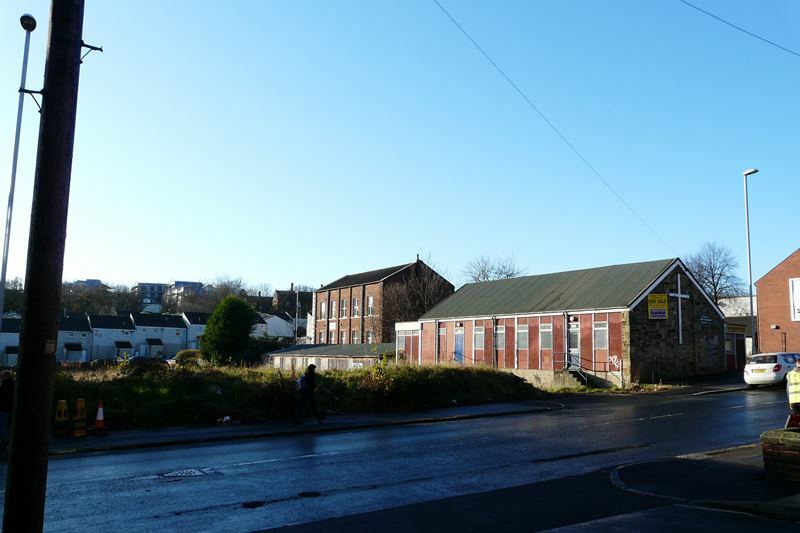 UPDATE 2015 Thanks to Rick for these latest photos showing demolition of the site. 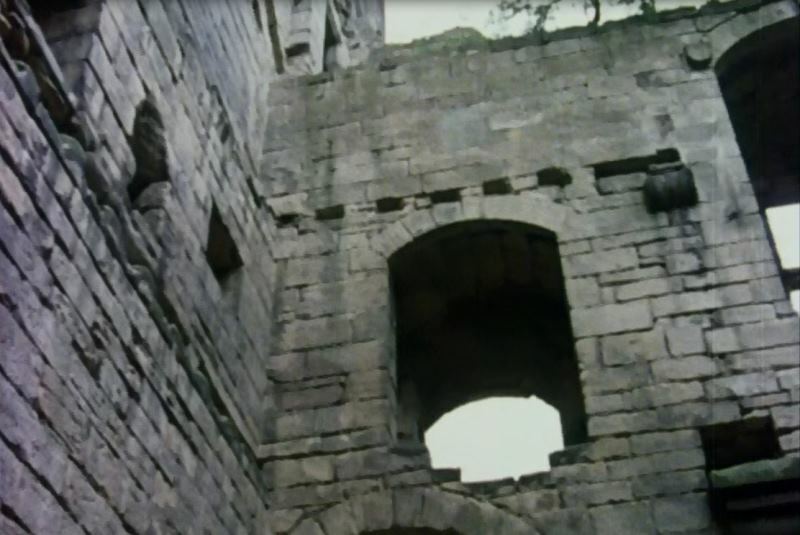 Tim hides in Harewood Castle which is on the Harewood Estate. 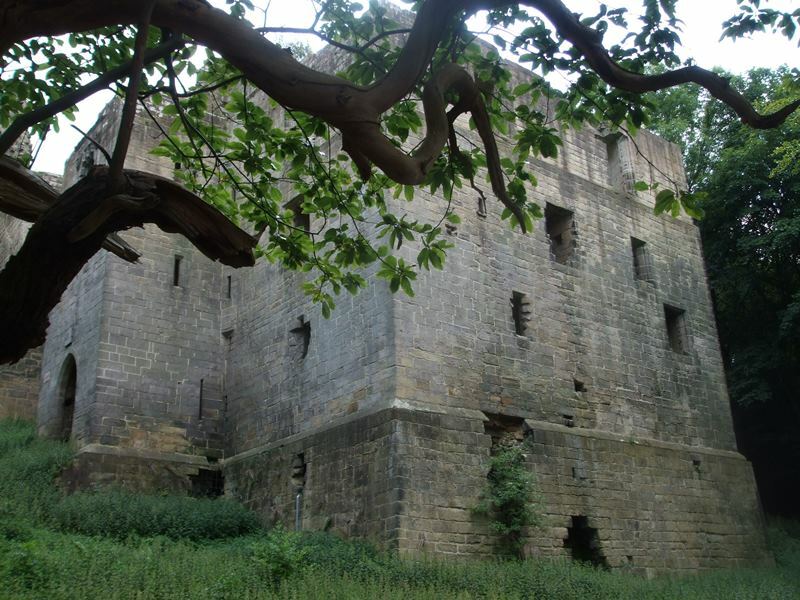 You can walk around the outside of the Castle, or book on a Castle tour (keep an eye on the Harewood House Website for details) and follow in Tim's footsteps! The Lodge Harewood Estate can be seen just behind Steve's head. 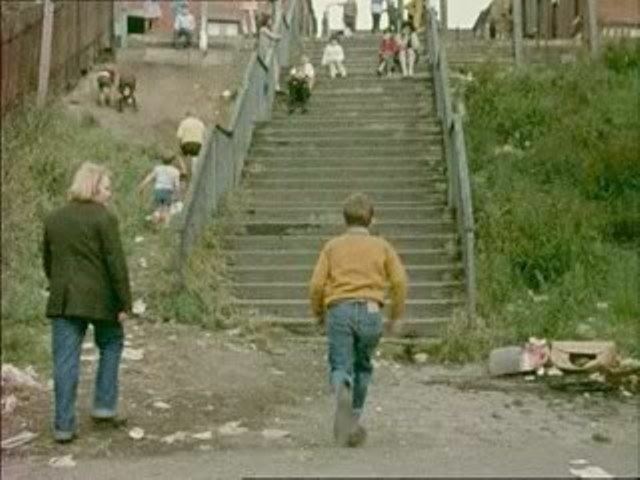 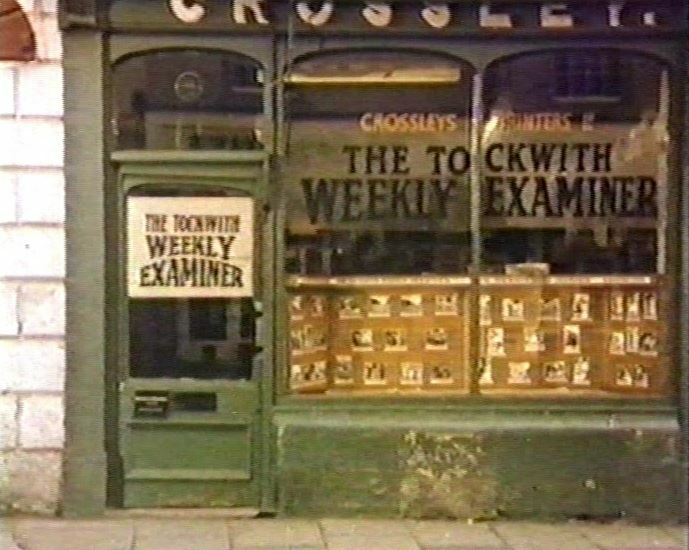 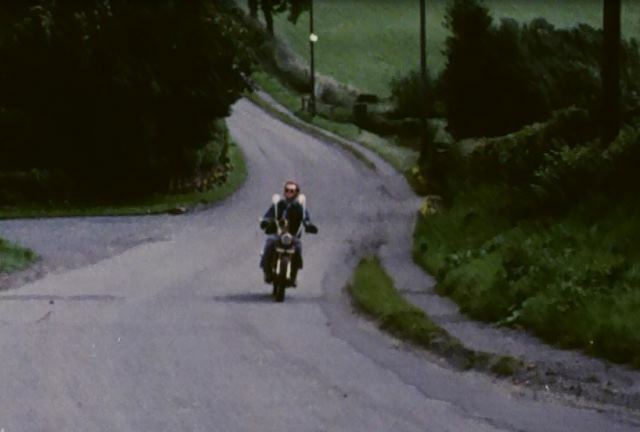 The notorious Thacket's Rise was filmed at the bottom of King's Road. 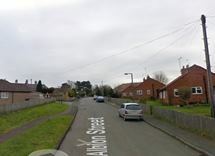 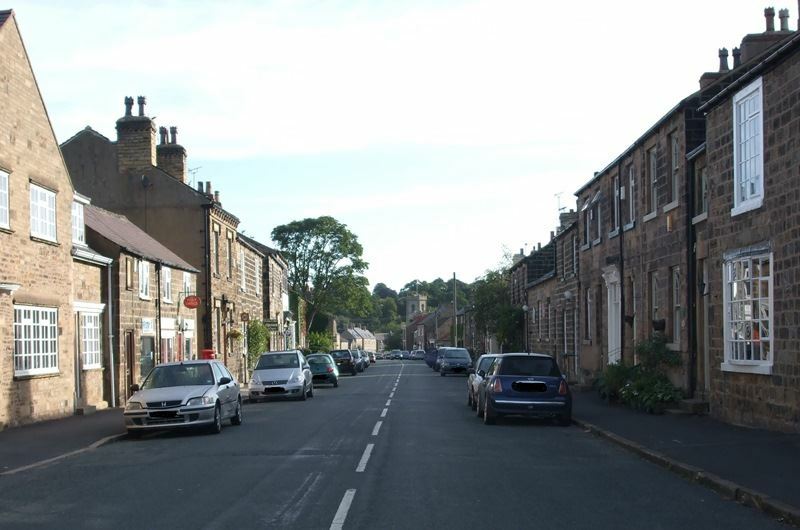 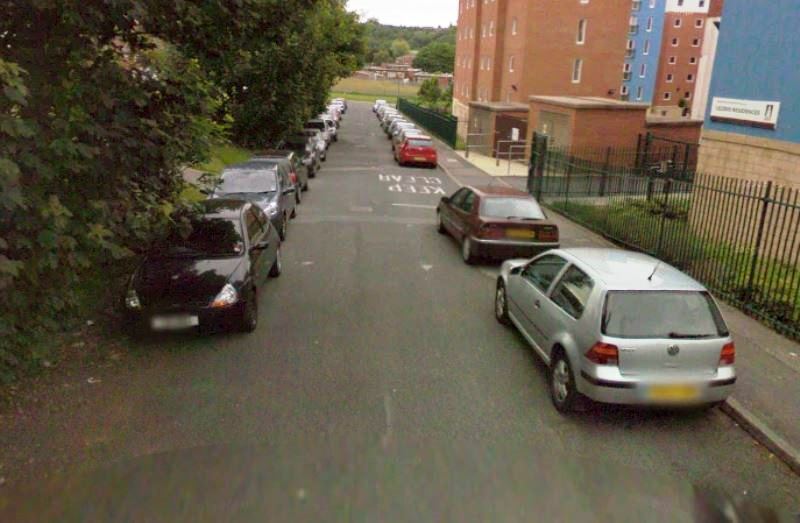 Google Street view shows the lower end of King's Road has been re-developed, and the road now ends in a cul-de-sac. 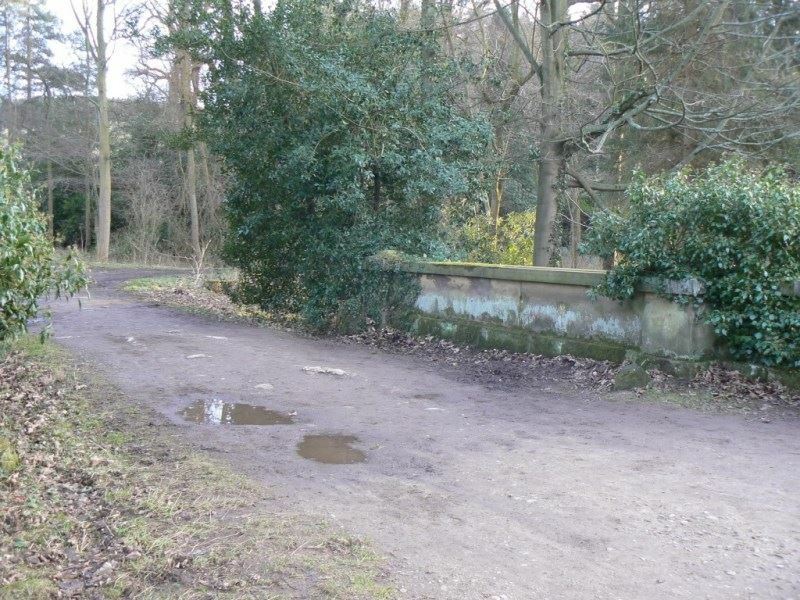 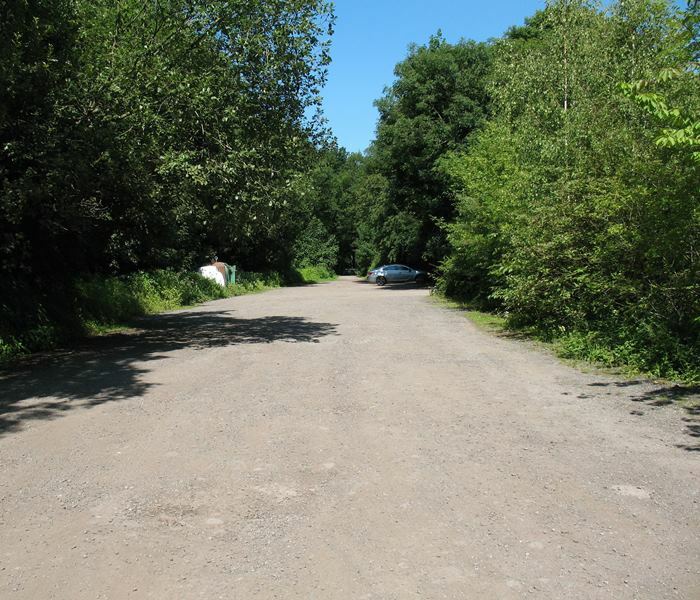 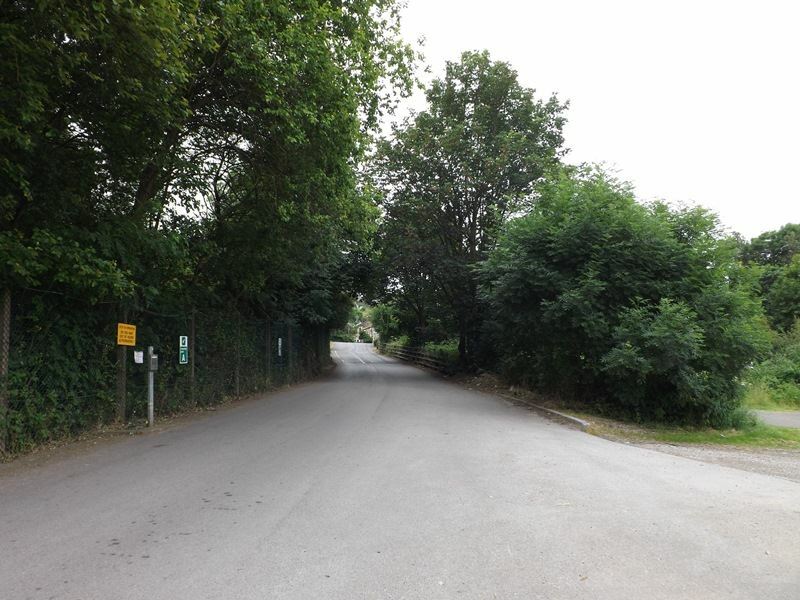 Jane's image on the right taken in 2011 shows Kelsall Road from the junction with Alexandra Road, more or less where King's Road would have ended. 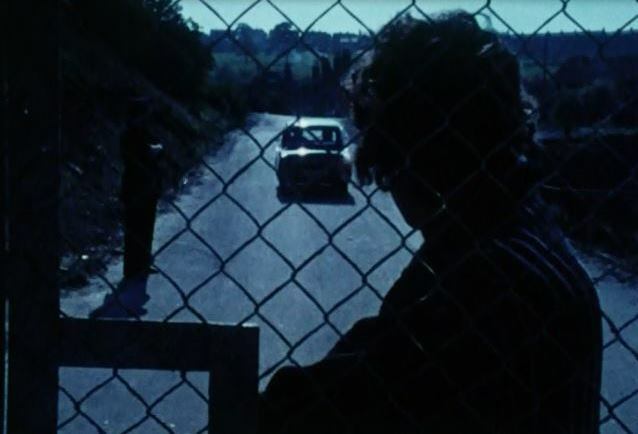 This is the road that can be seen in the distance on the screen cap. 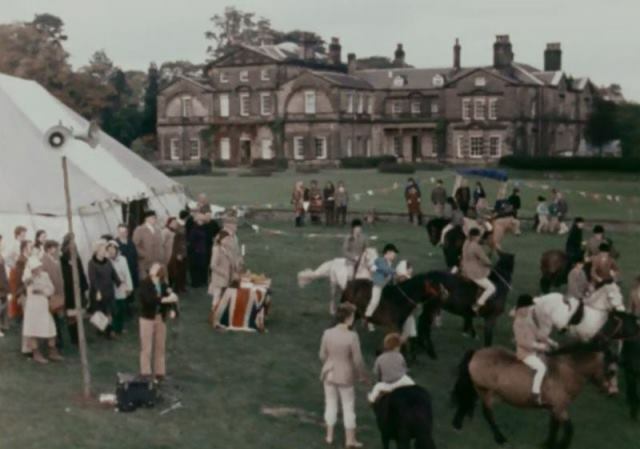 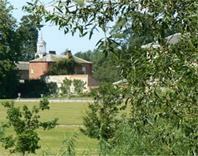 The Gymkhana was held in the grounds of Stockeld Park. Jane's image taken in 2011. The lovely Pack Horse Bridge in Washburn Valley, Dob Park. 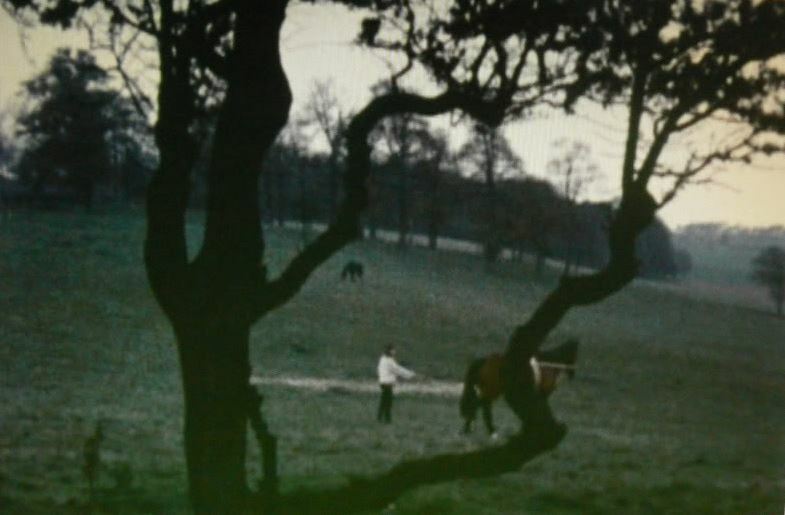 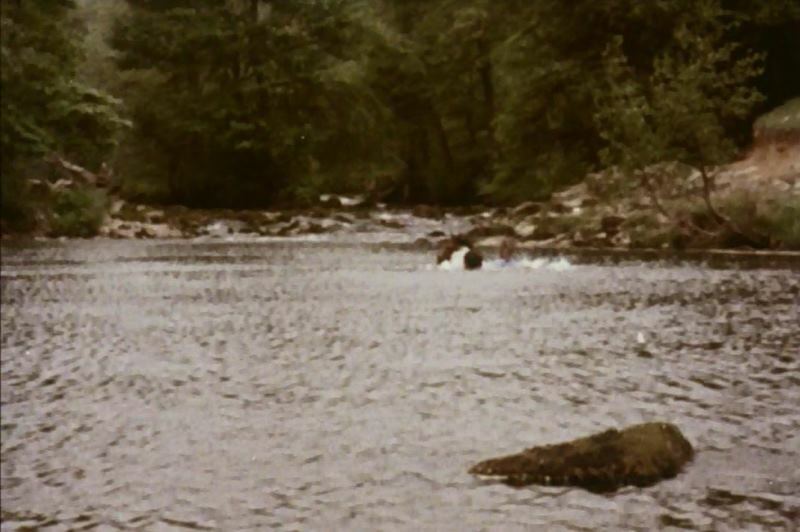 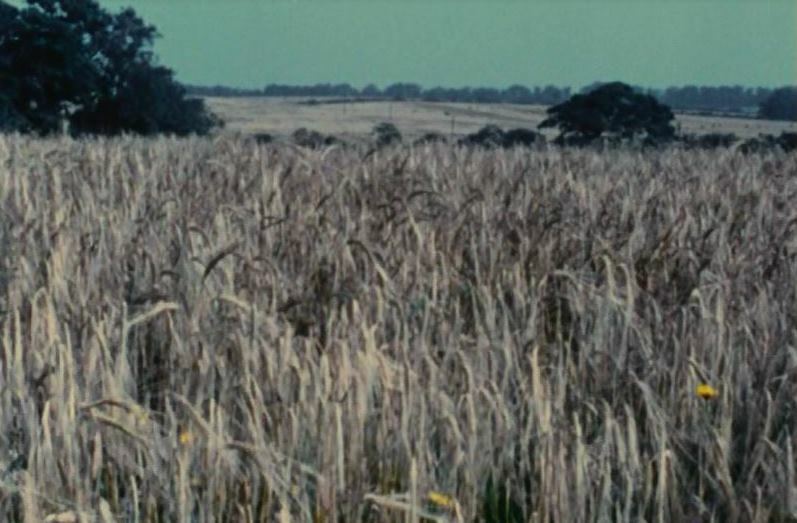 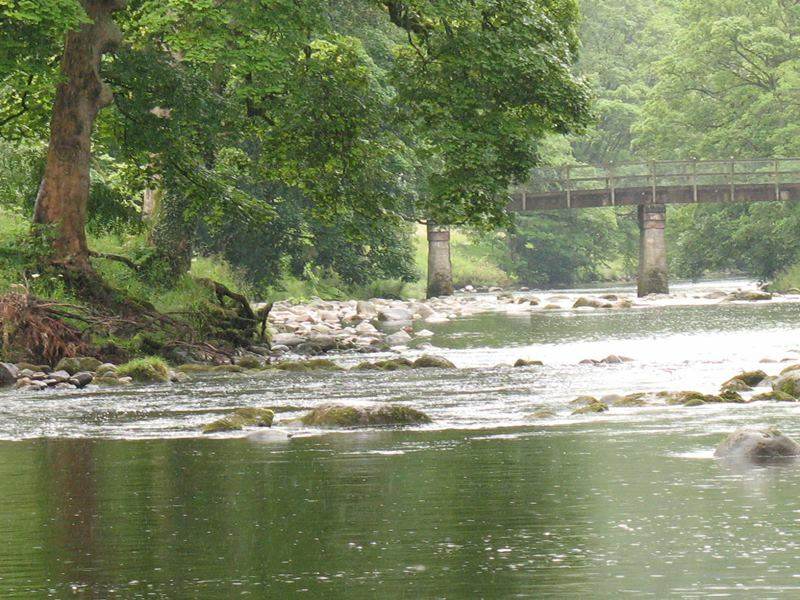 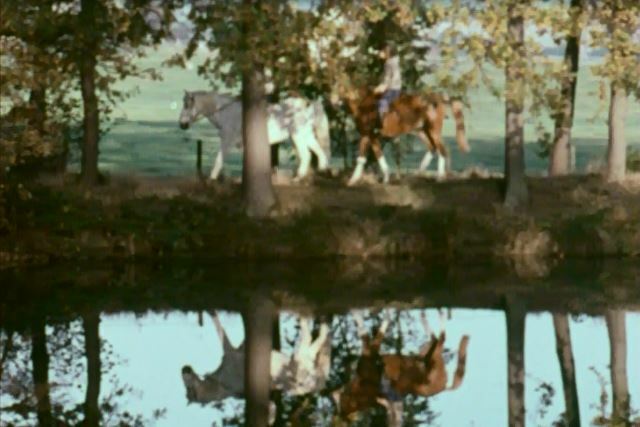 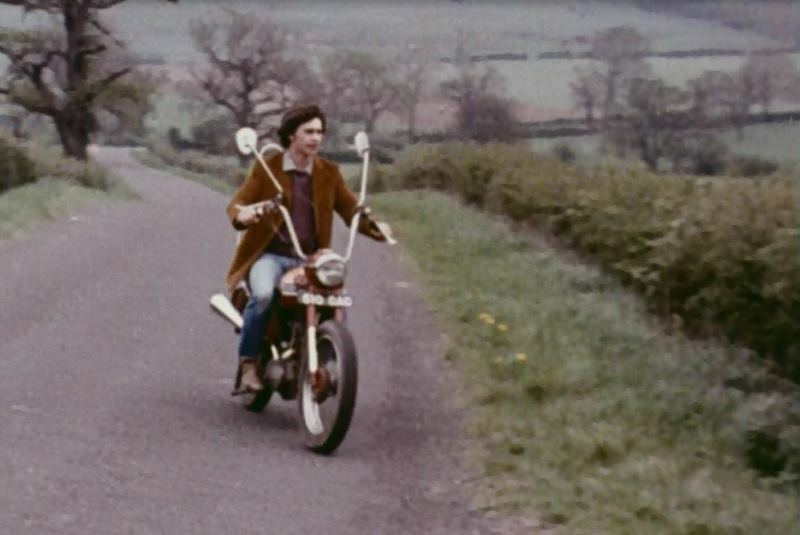 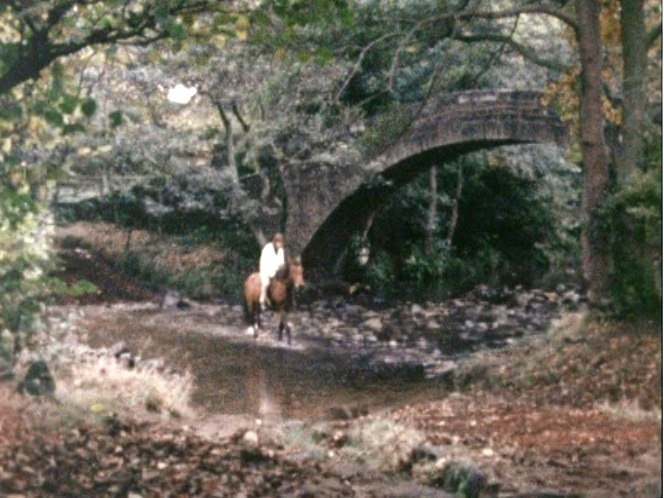 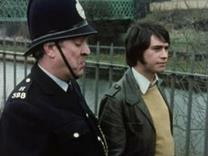 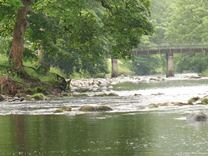 This location was also used in The Standstill Horse where Lewis falls off his bike in the river. 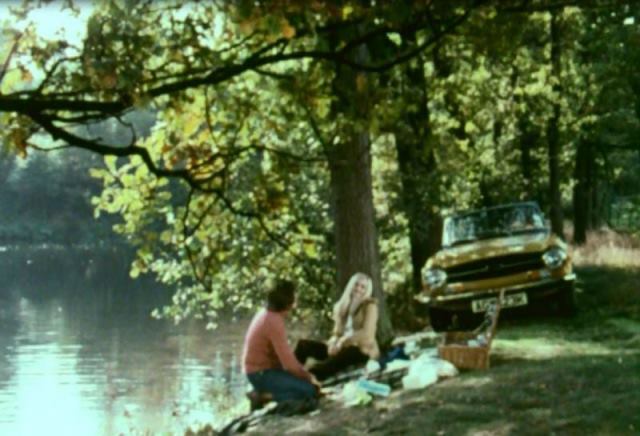 Steve and Wendy by the second lake at Follyfoot Farm. 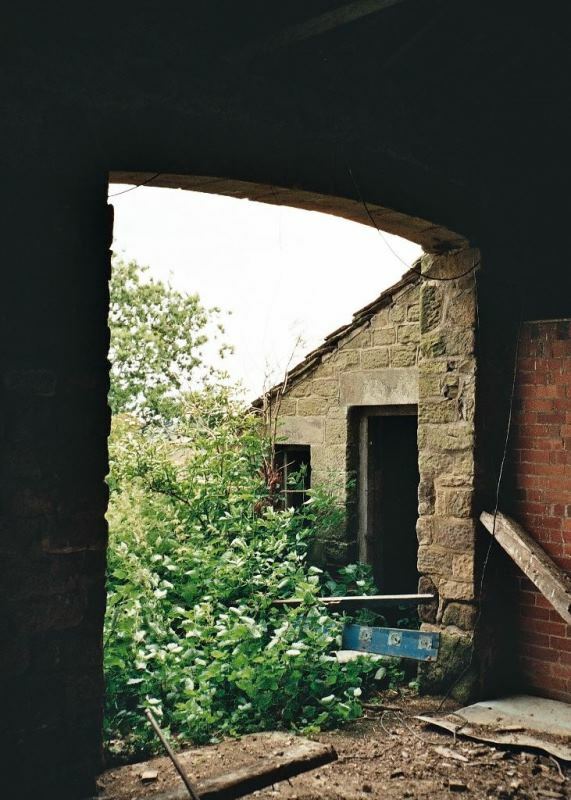 Motormouse's image taken in 2013 shows it's still a magical place. 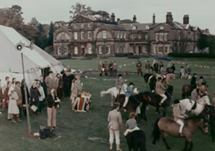 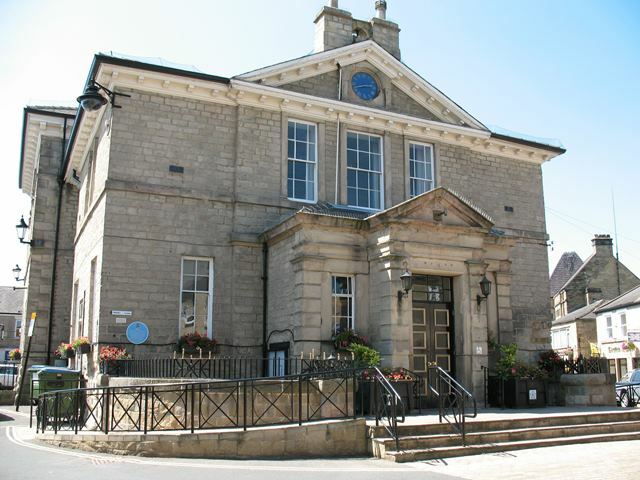 The Derwent sisters house was filmed at Eagle Hall, Pateley Bridge. 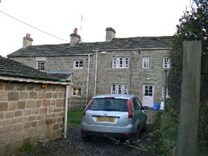 The house is now converted into flats. 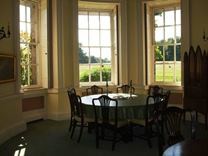 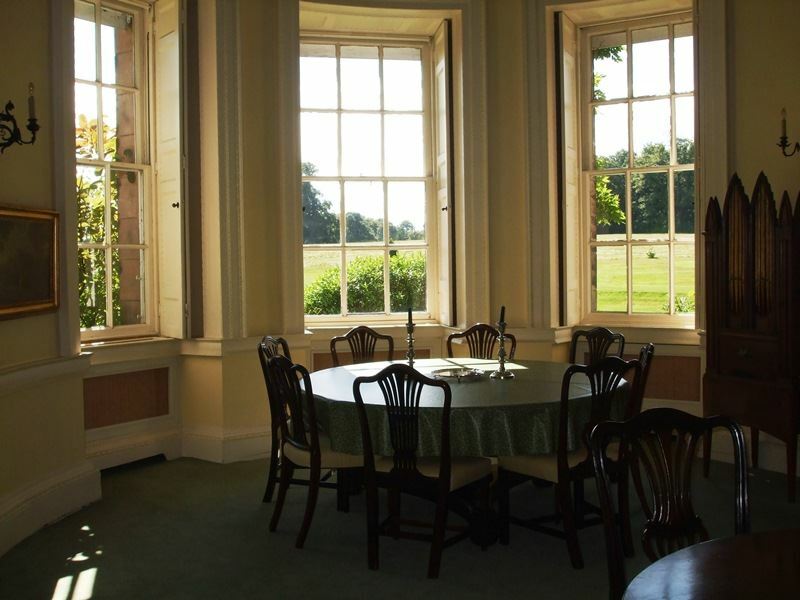 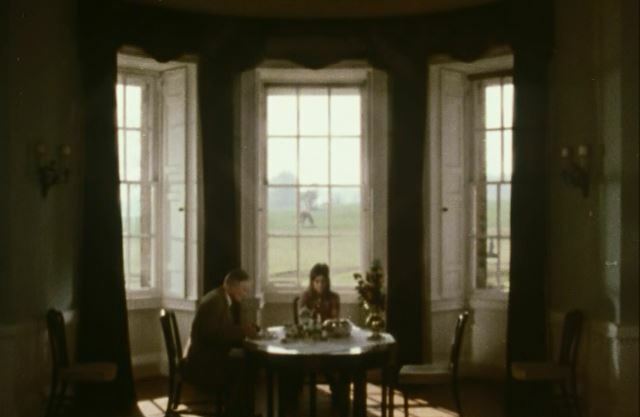 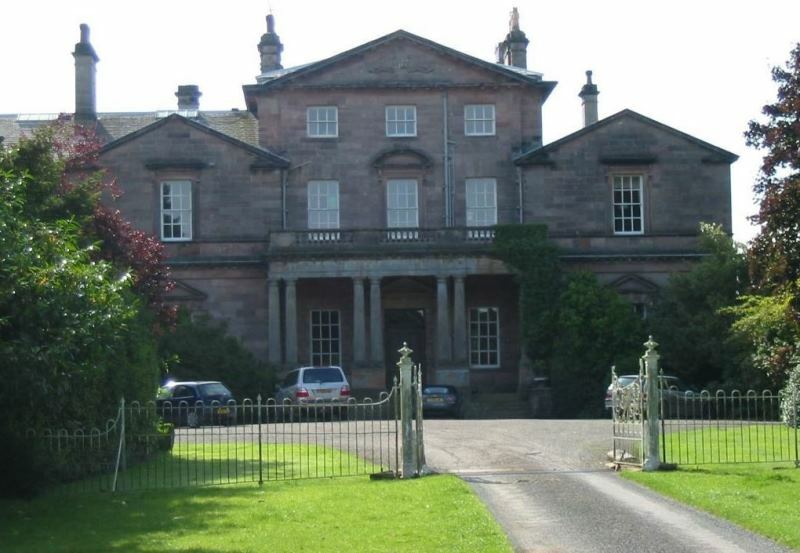 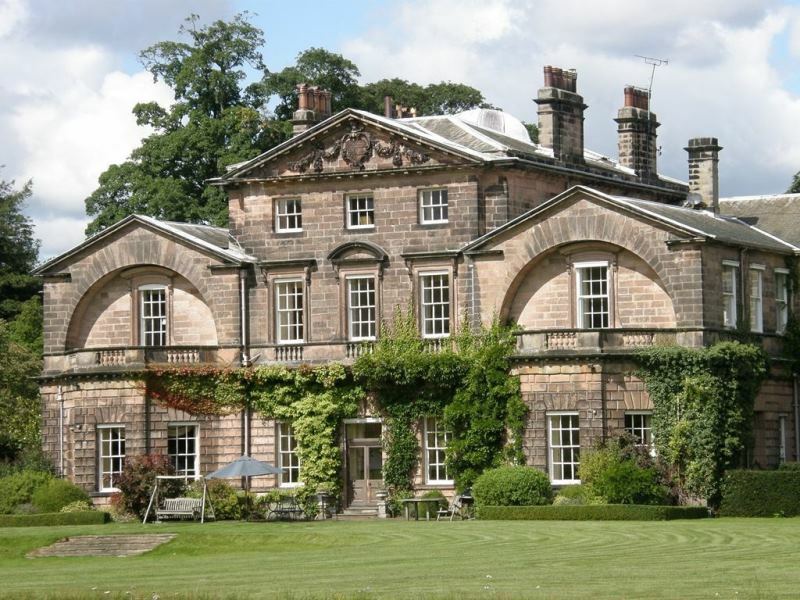 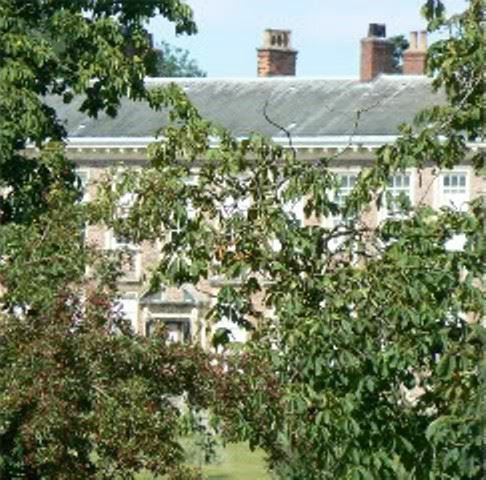 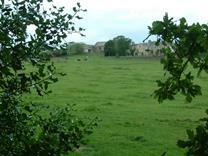 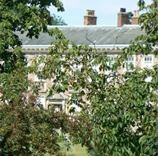 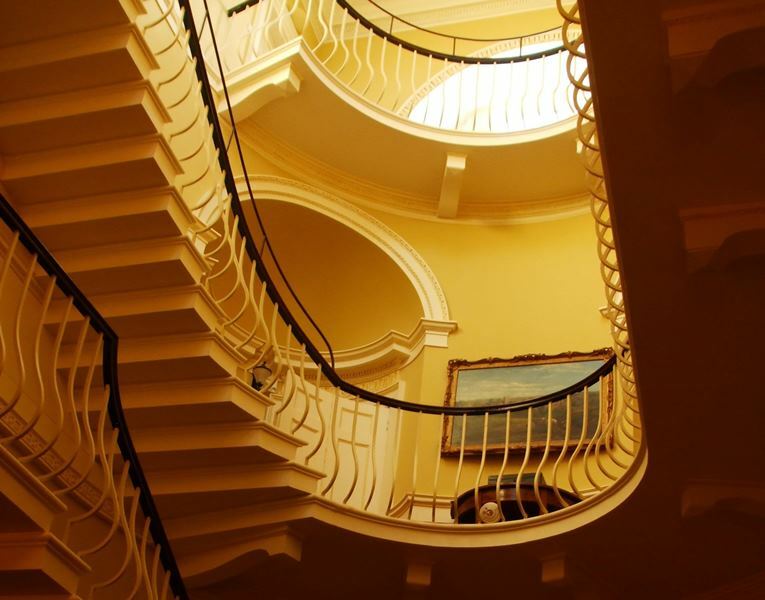 Carne Manor was filmed at Ribston Hall, a privately owned mansion at Great Ribston near Knareborough. 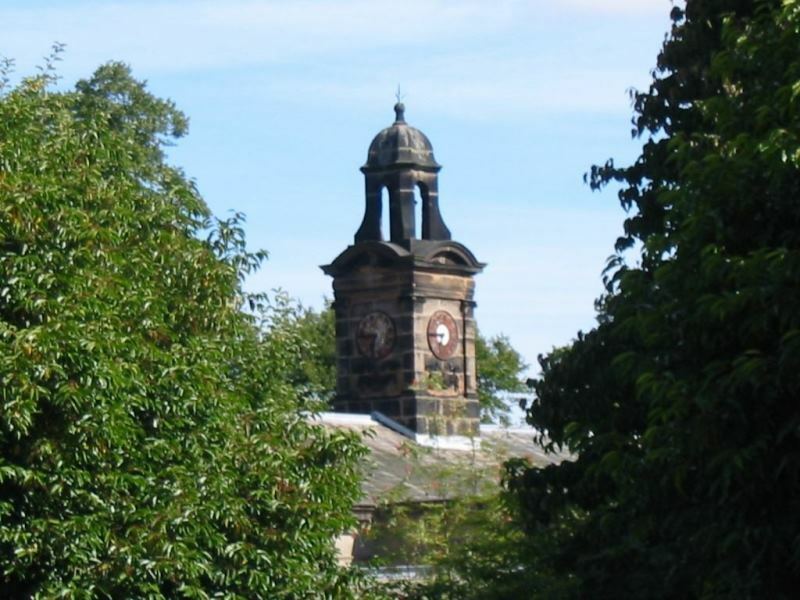 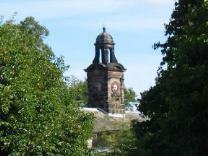 The clock above the stables is still there. Hollinhare's image taken in 2011.
have had to stand on wheelie bins nowadays! 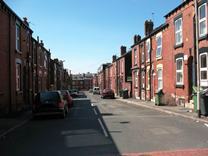 Albian Street. 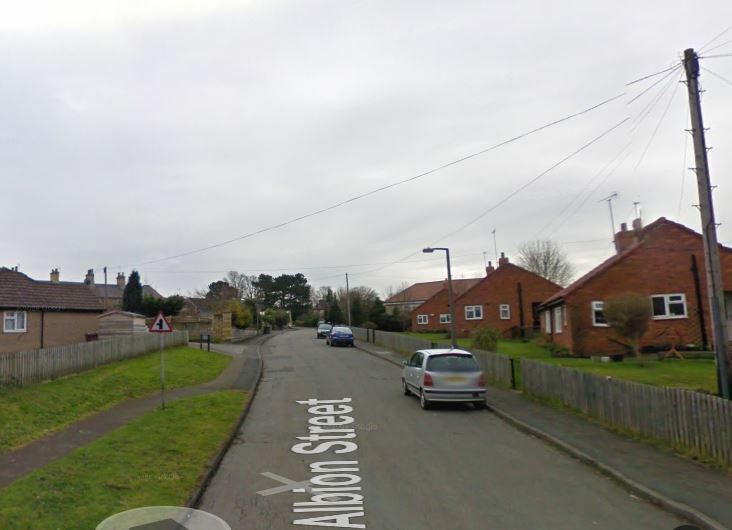 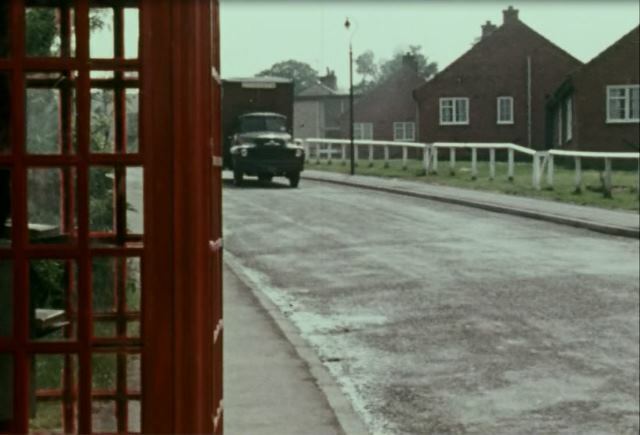 Google Street view shows the red phone box is sadly no longer there. 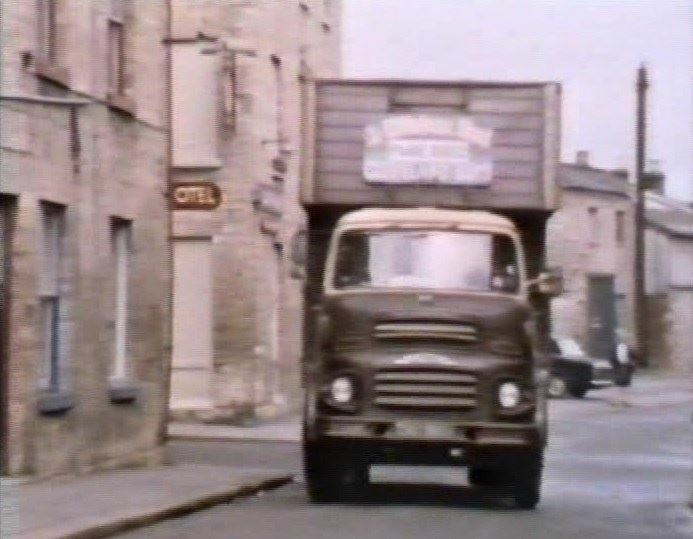 The Star Inn at Clifford, High Street is still there but the garage has been gone about 20 years. 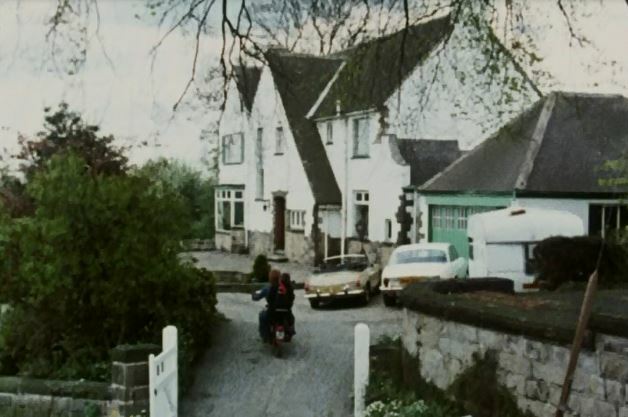 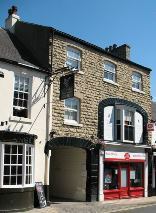 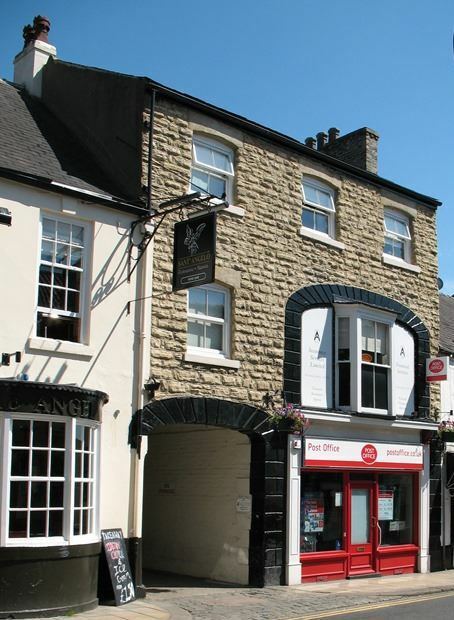 The entrance to Garage owner Arnold Berwick's house was opposite the Inn. 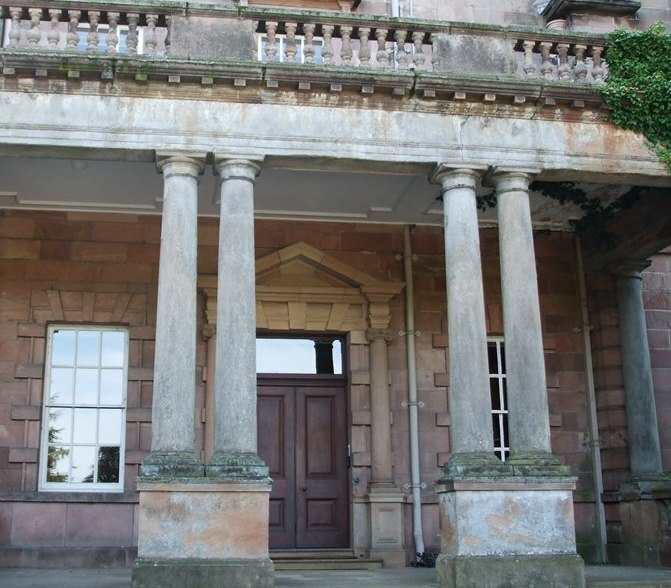 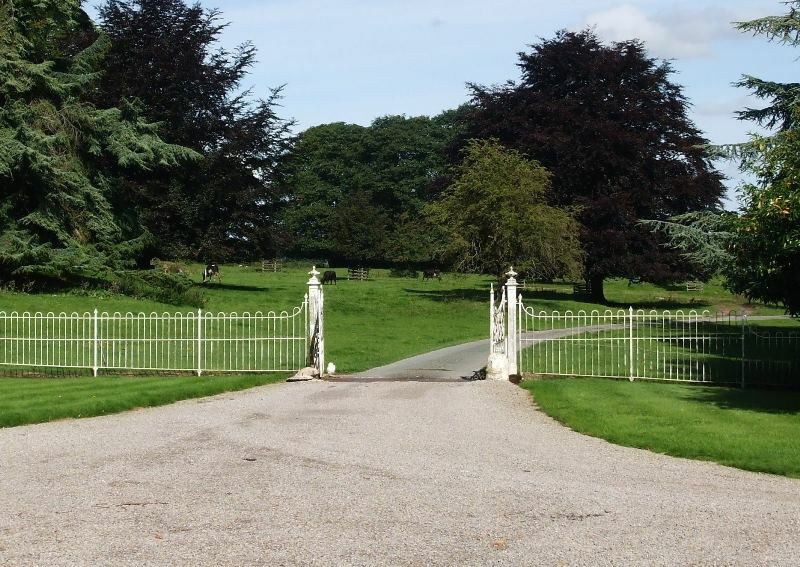 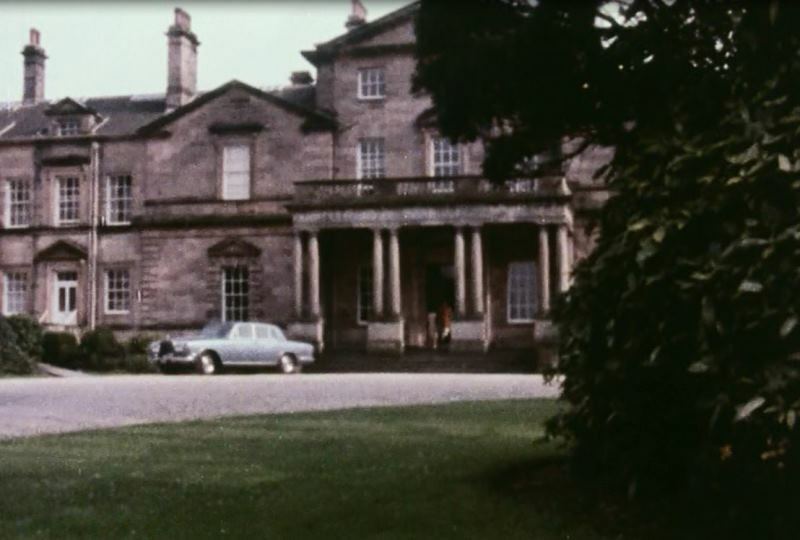 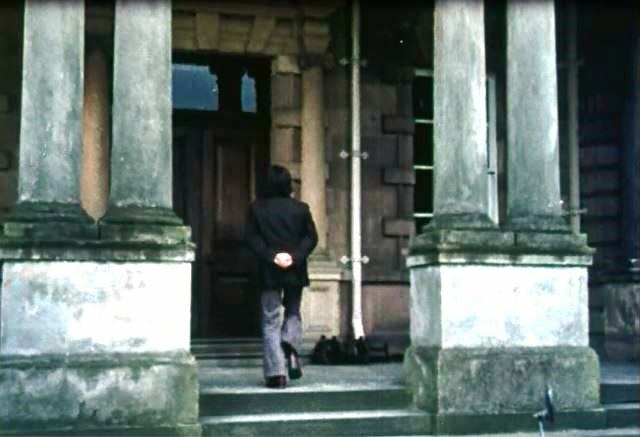 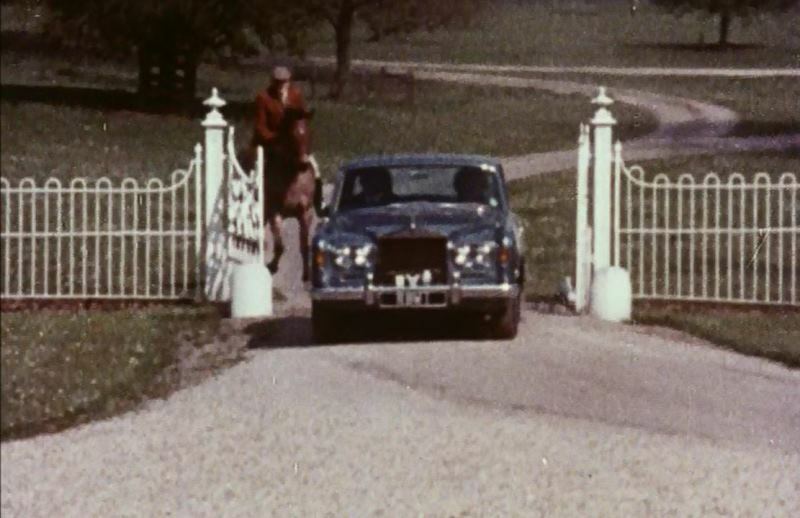 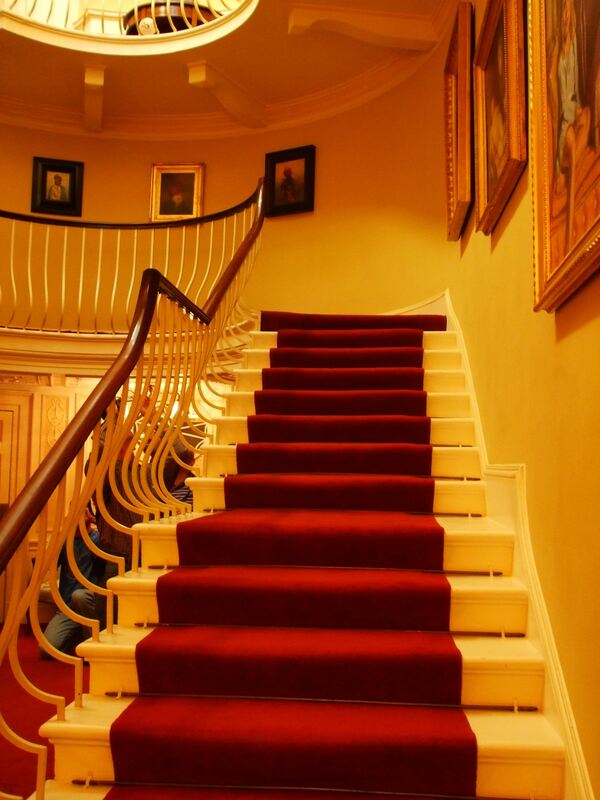 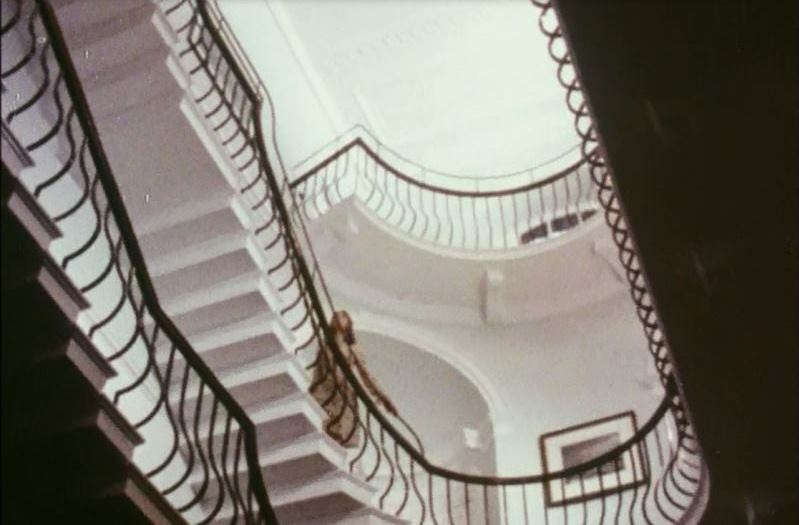 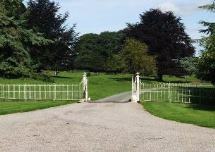 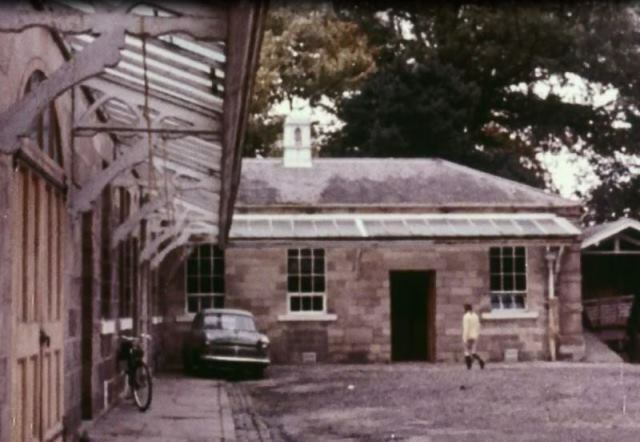 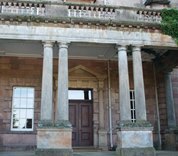 Entrance to the Colonel's mansion was filmed at Stockeld Park. 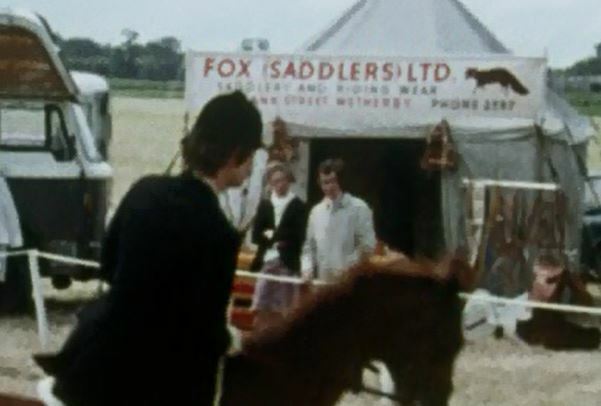 Fox Saddlers Ltd shop in Wetherby had a trade stand at the Horse Show. 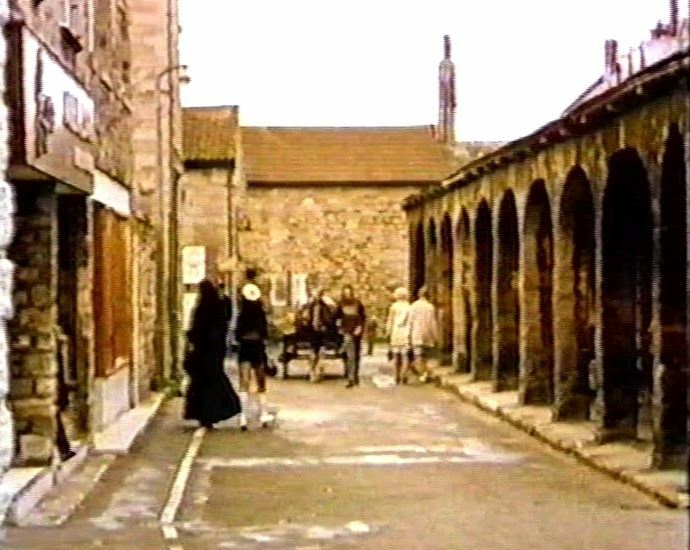 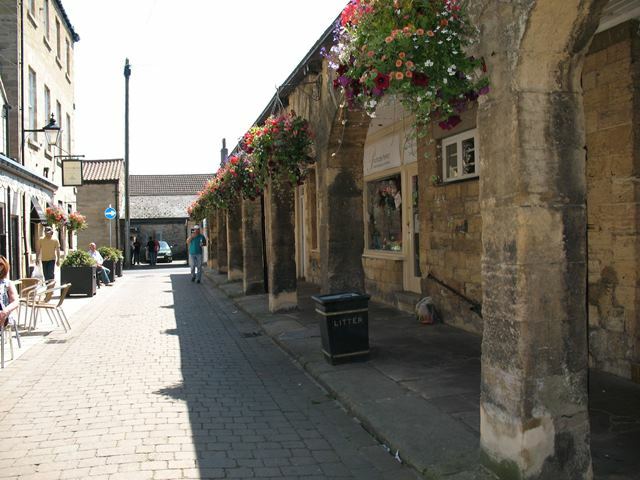 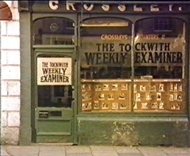 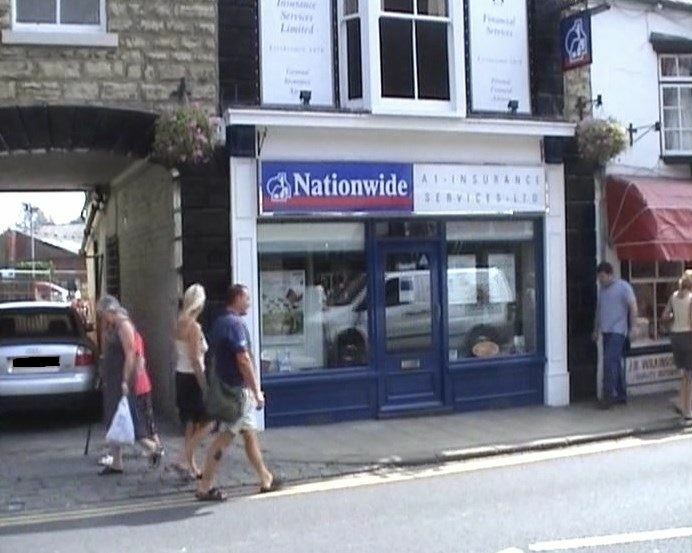 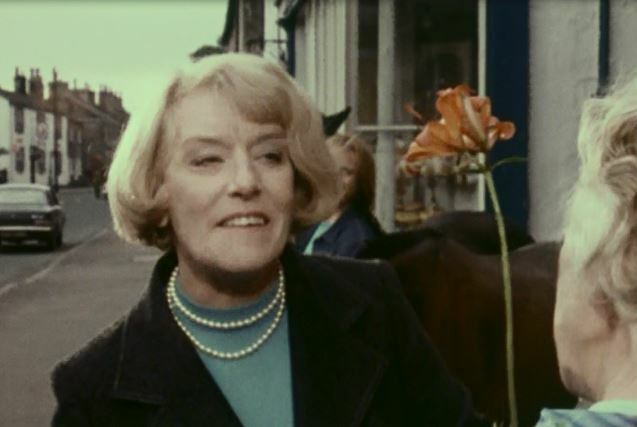 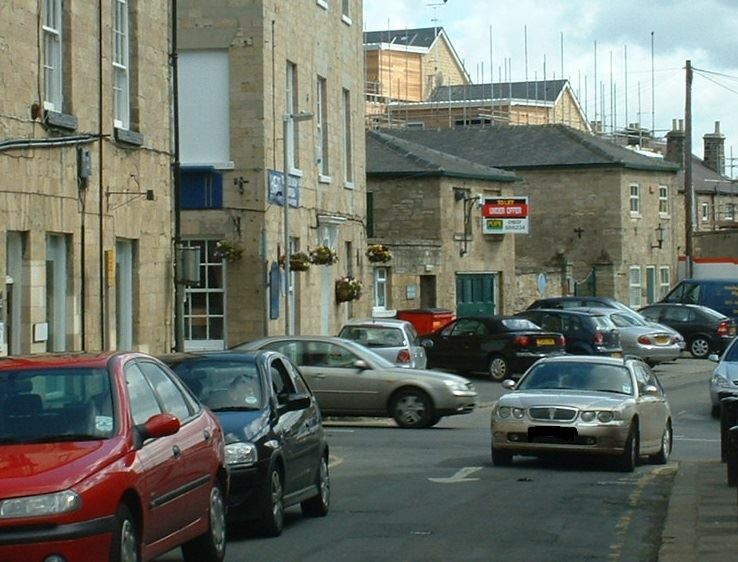 The florists shop was filmed in Thorner village, Main Street. 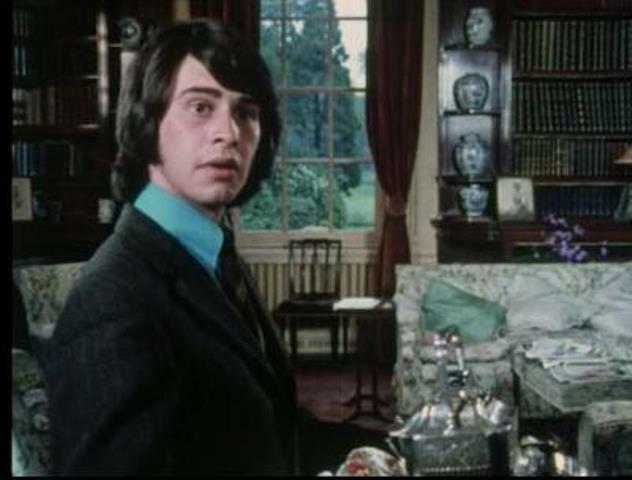 In Jane's image taken in 2011 you can see the bay window which is behind Ron. 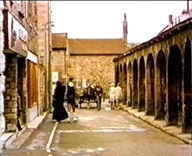 Thorner Village, Main Street is where the Saddlers, Hat shop and Ford were filmed. 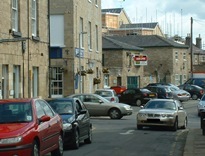 View of Thorner Main Street with the Church in the distance. 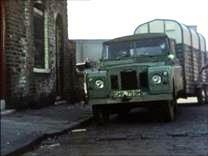 The Foley house in Lilian Street. This area is now totally re-developed. 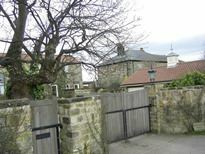 Middle picture Google Street map in 2010, you can just about see the viaduct behind the bungalows. Rob's image on the right taken in 2010, present day St. Matthius Street looking straight at where Lilian Street would have been. 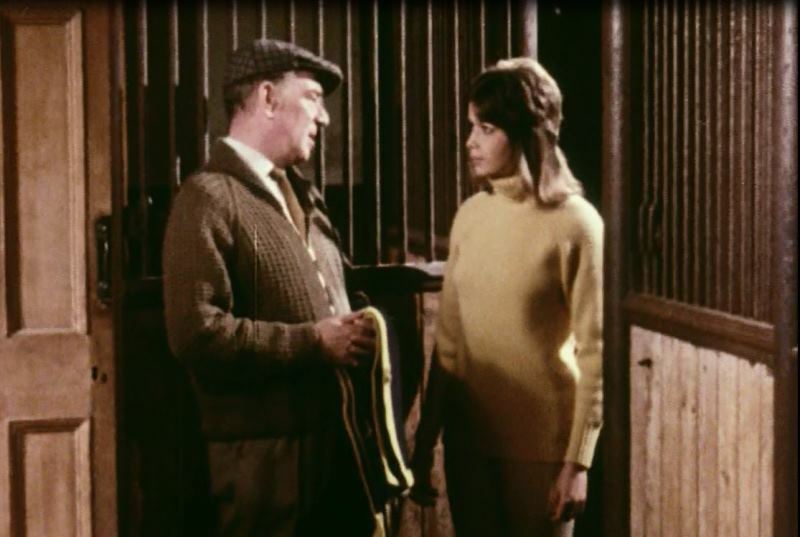 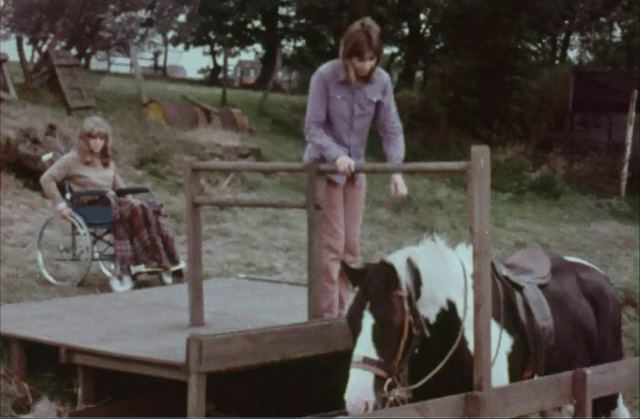 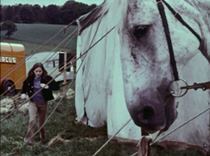 Dora and the Foley brothers at their stables. 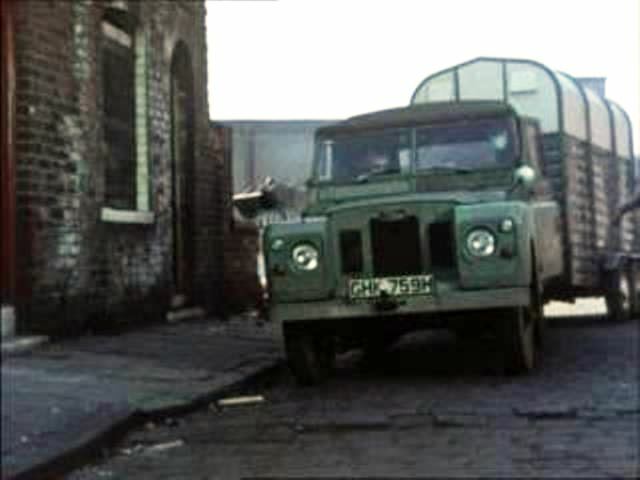 Land Rover and trailer pull up outside the Foleys house. 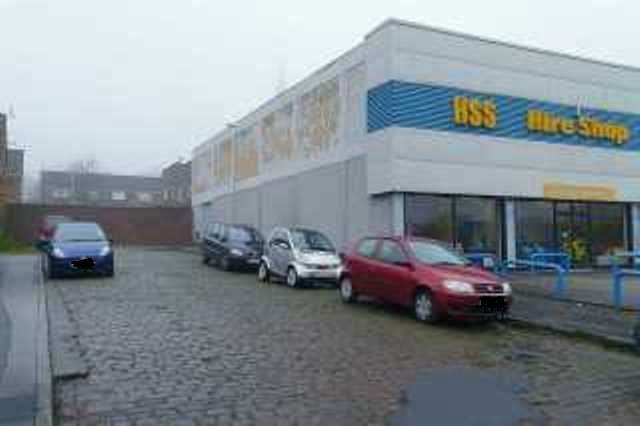 Robs image taken in 2010 shows the HSS building which you can see behind the Land Rover. More of Rob's images from 2010. 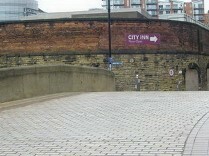 Another shot of the Viaduct and cobbles which were part of Lilian Place. 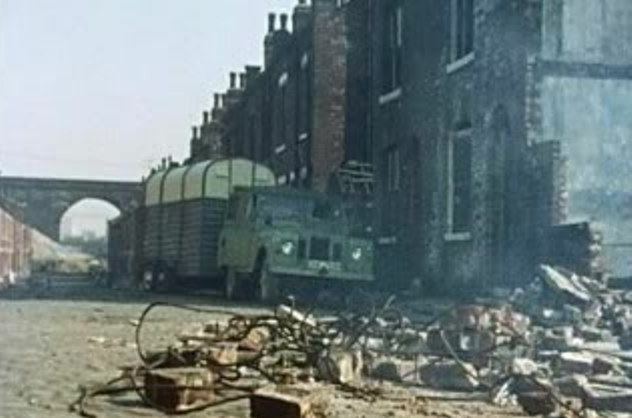 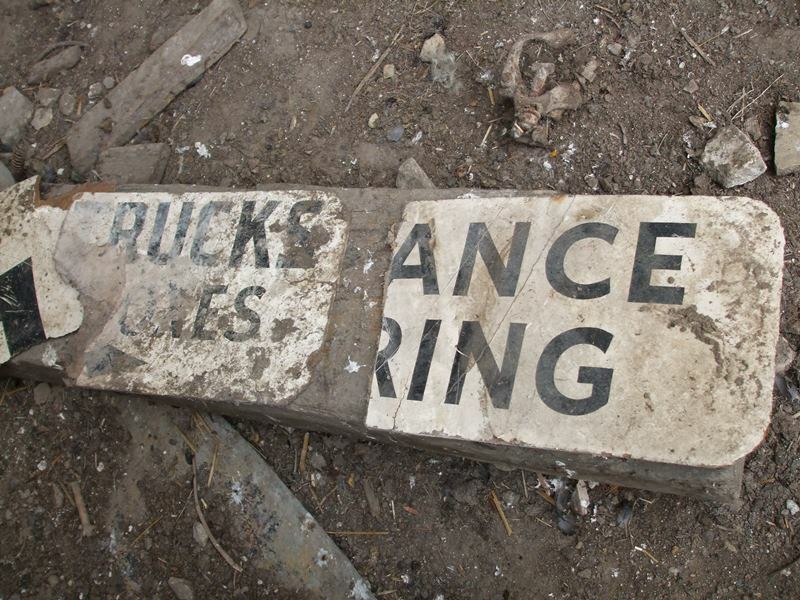 What's left of the old Banker Street with the HSS shop on the left. 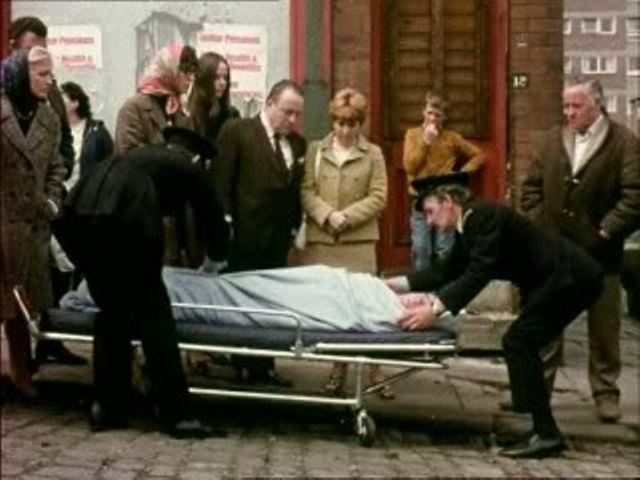 Dora and Gavin Foley at the funeral. 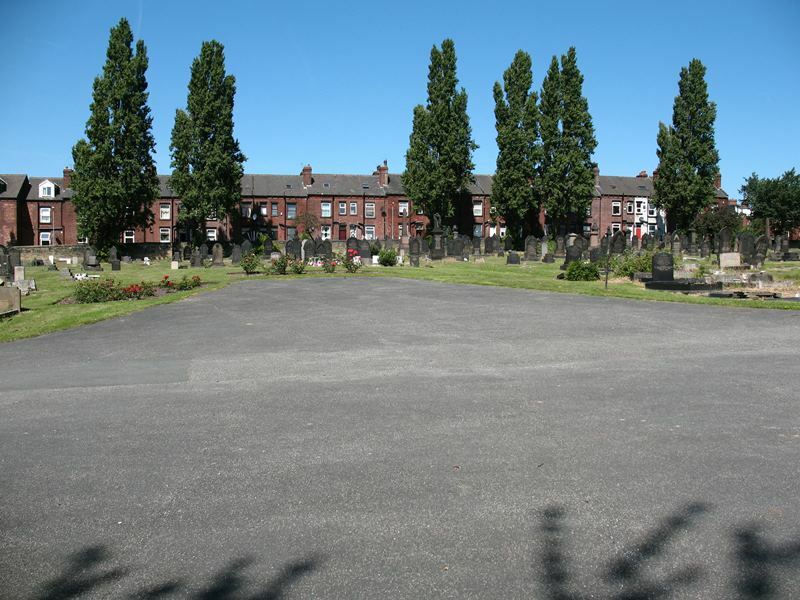 The same corner of the cemetery on Google street map 2010. 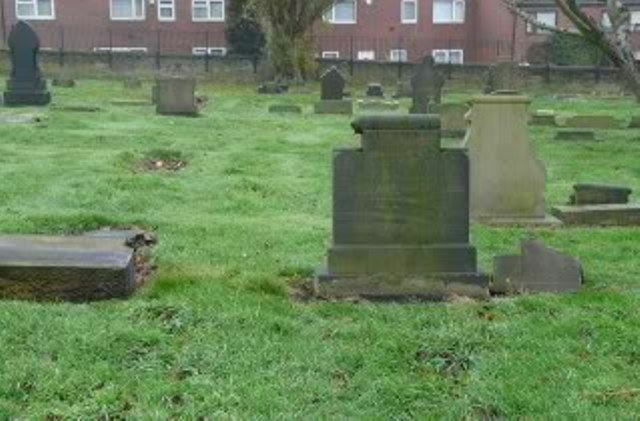 Rob's image taken a few months later shows the gravestone with the cross has been vandalised. 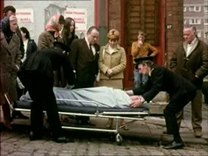 At the funeral. 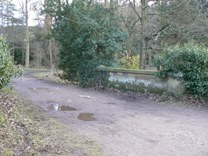 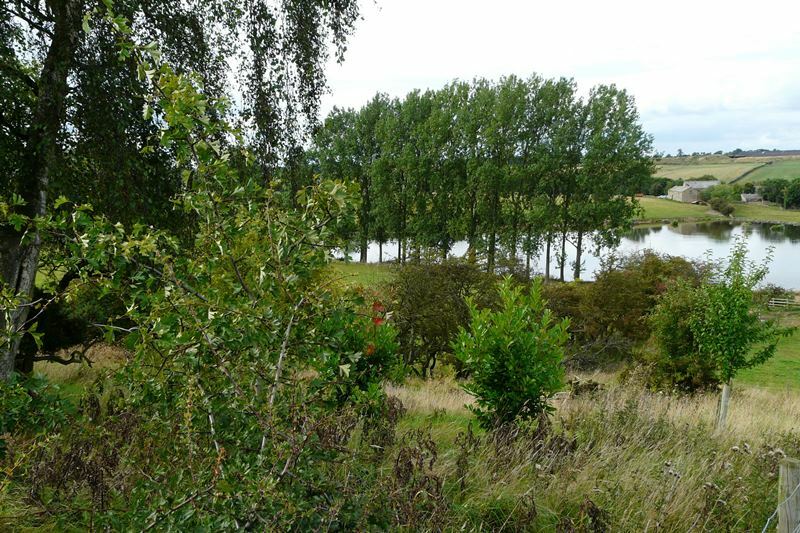 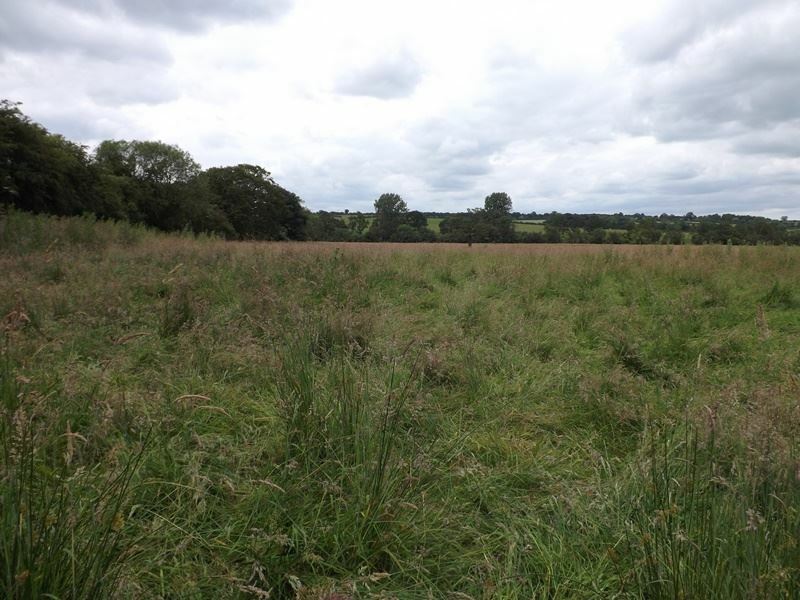 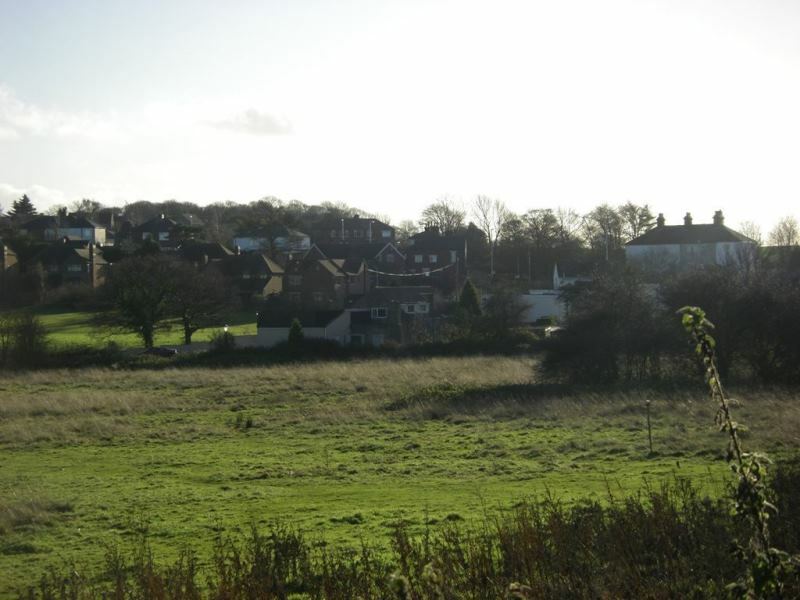 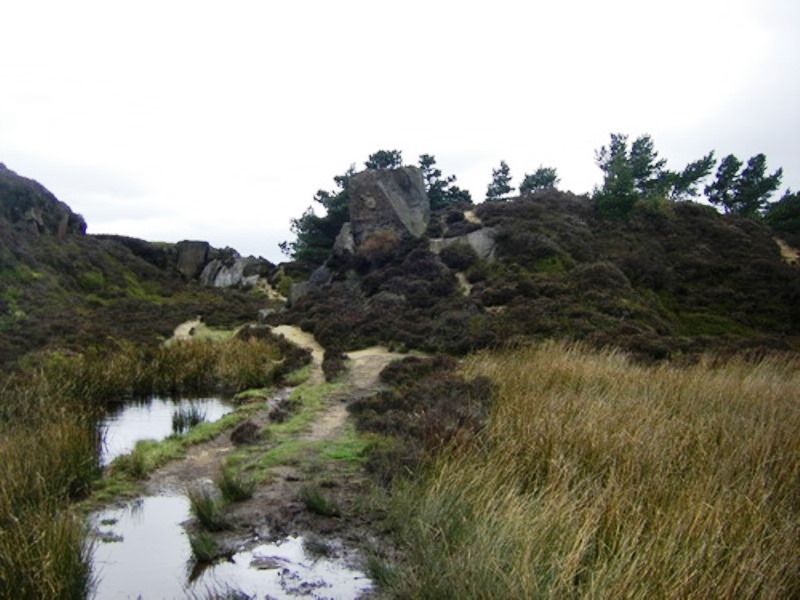 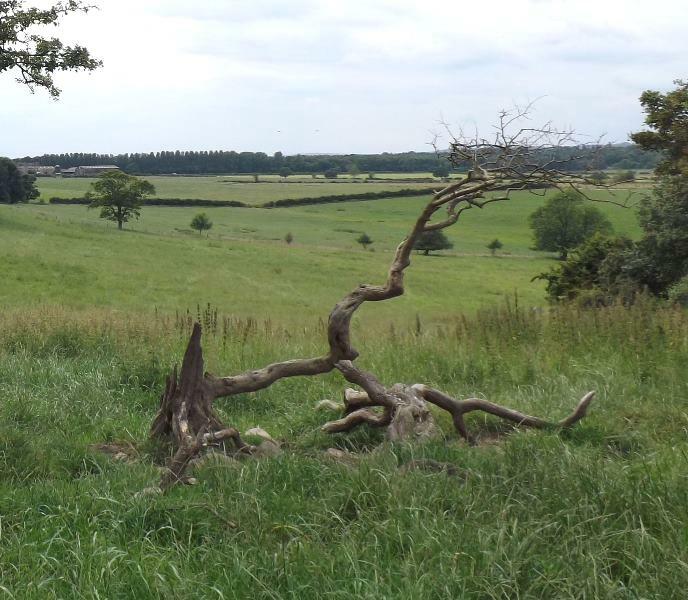 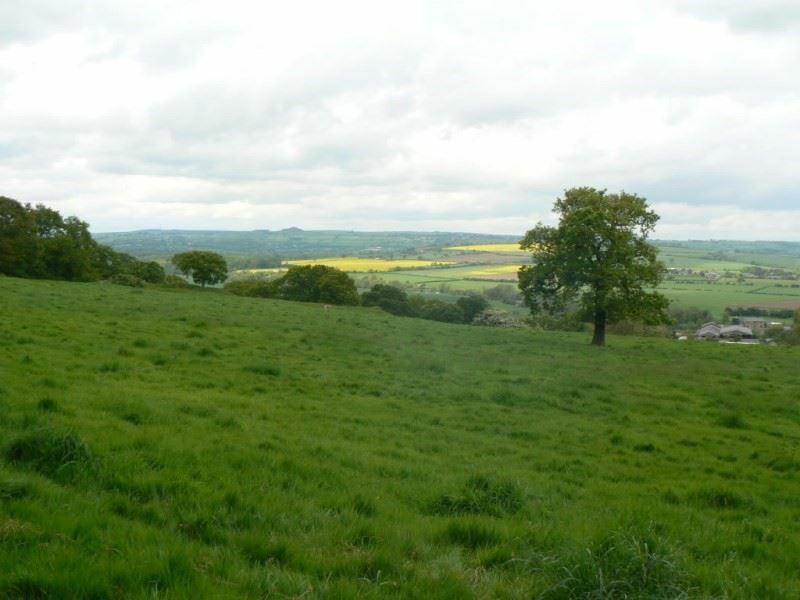 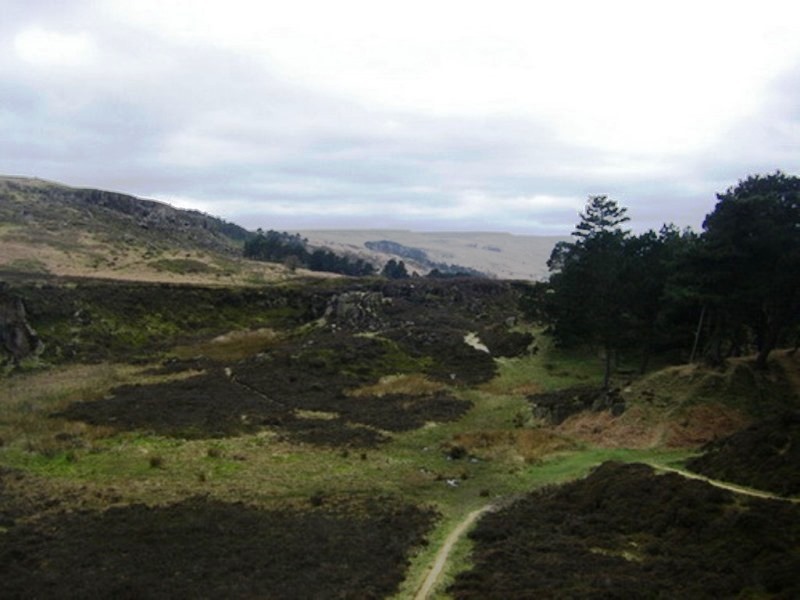 Jane's image of the site where the chapel used to be taken in 2011. 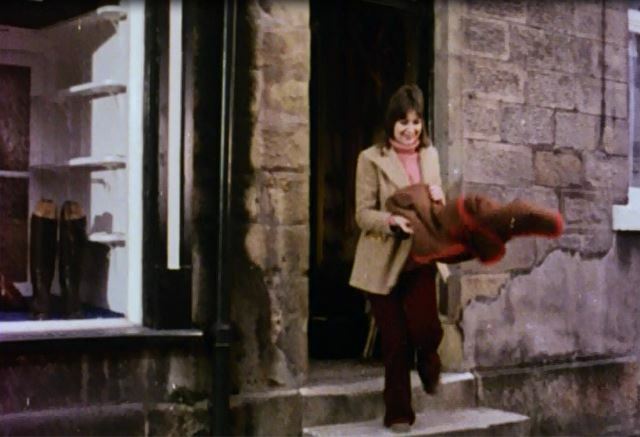 Dora at the Disco. 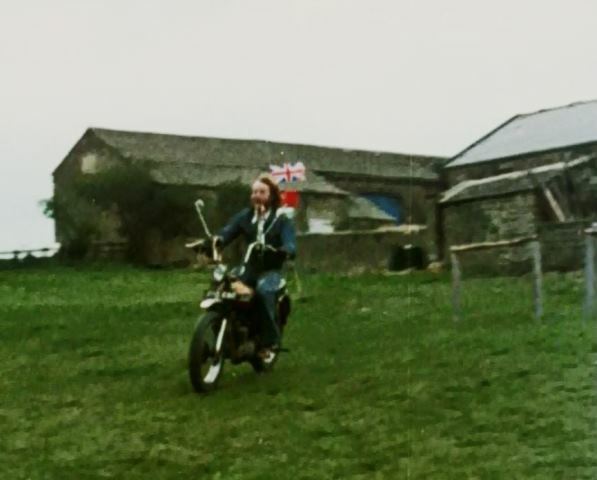 Gillian re-enacts the scene in 2011. 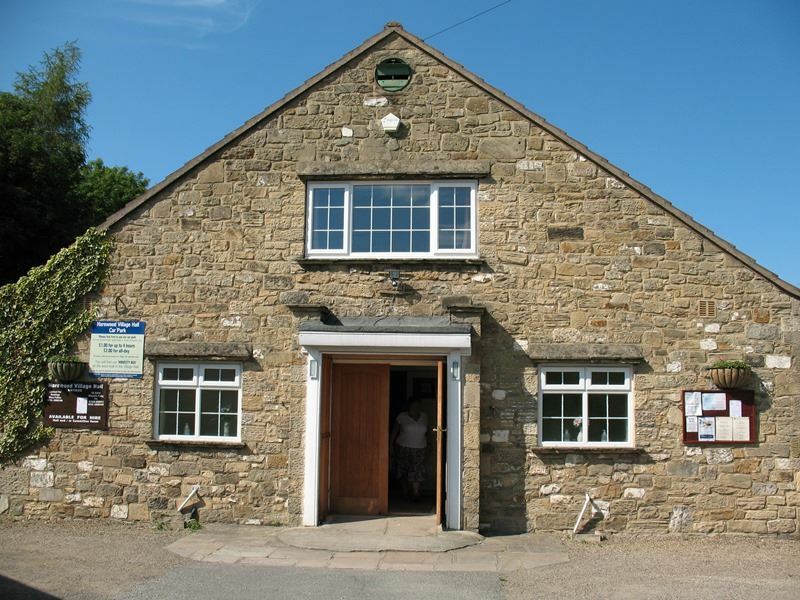 The Harewood Village Hall in 2011. 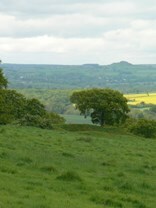 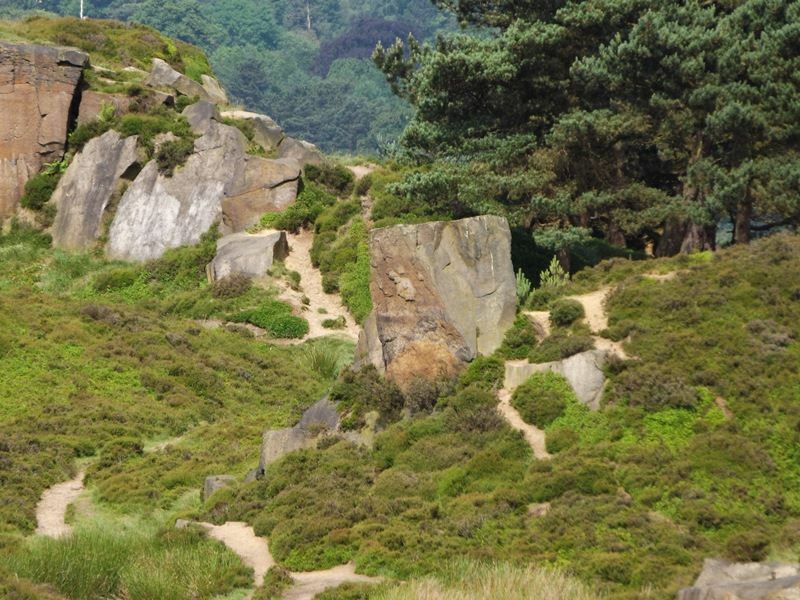 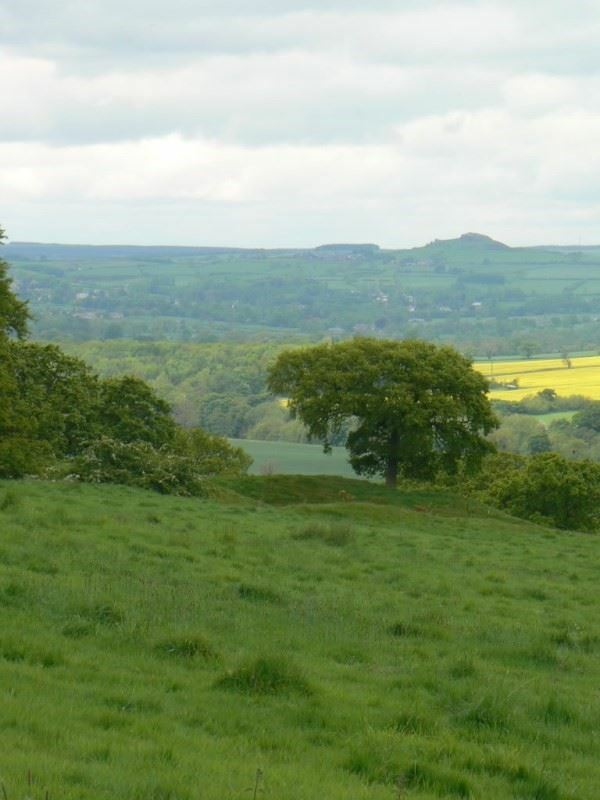 The hill on the skyline behind Dora is Almscliffe Crag. 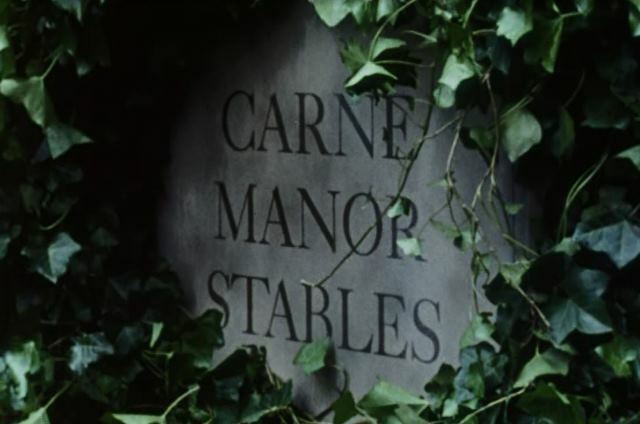 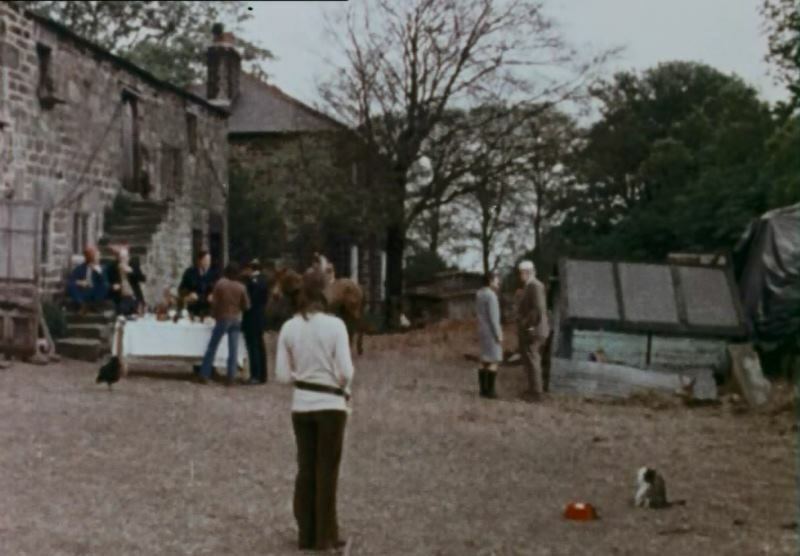 Pilkington's residence was filmed at the same location as Carne manor in episode Debt of Honour. 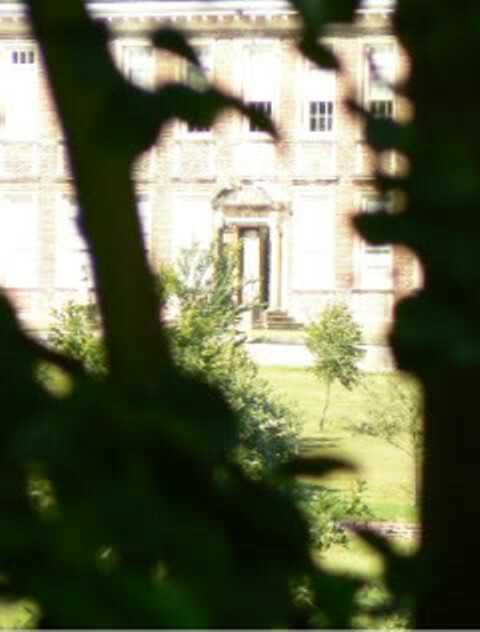 The impressive doorway can just be seen in Hollinhare's images taken in 2011 from the public footpath. 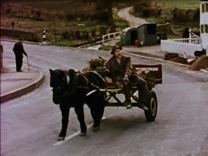 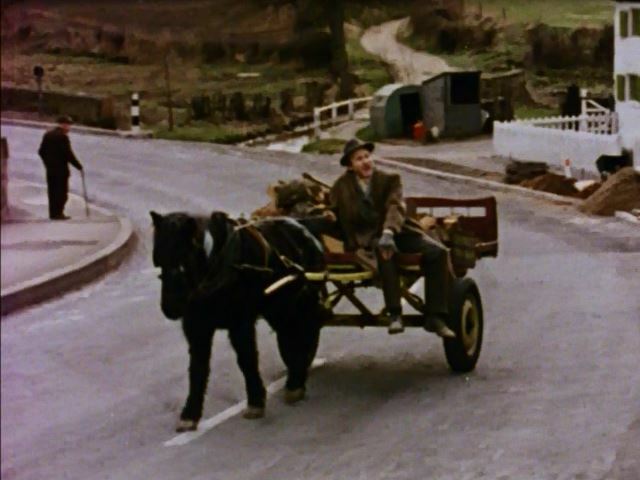 Ron and Dora ride up Hall Drive in Bramhope to Uncle Joe's house. 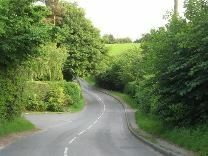 King Lane where the yobs are following Hazel. 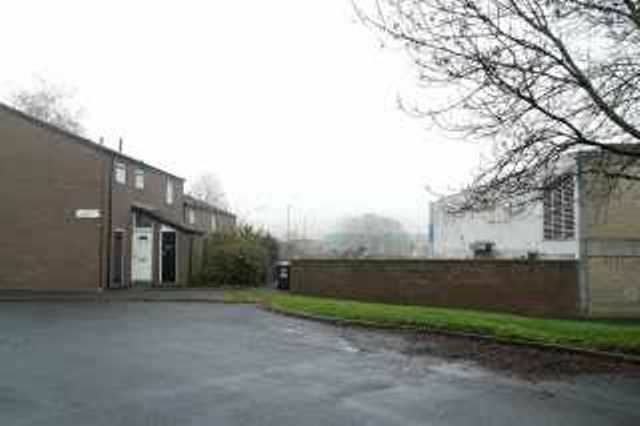 The garage is now a Tesco Express and the houses in the distance are obscured by trees. 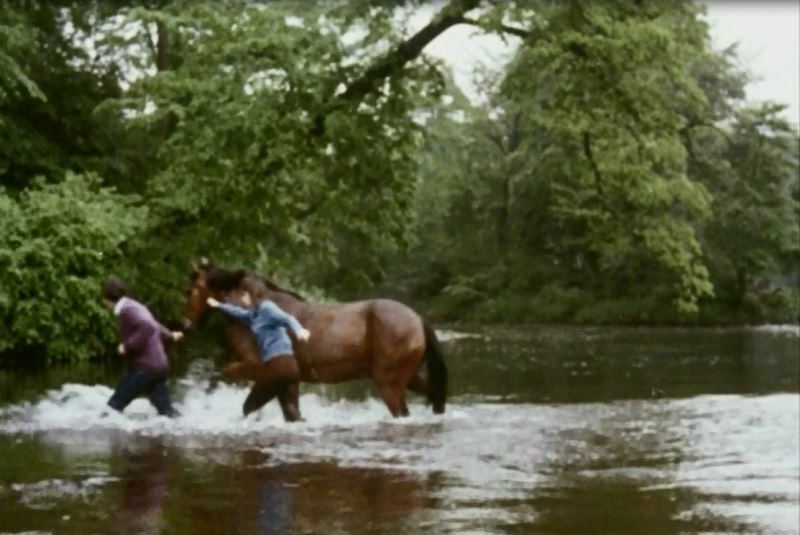 This was where Dora stopped the little thugs throwing stones at the horse. 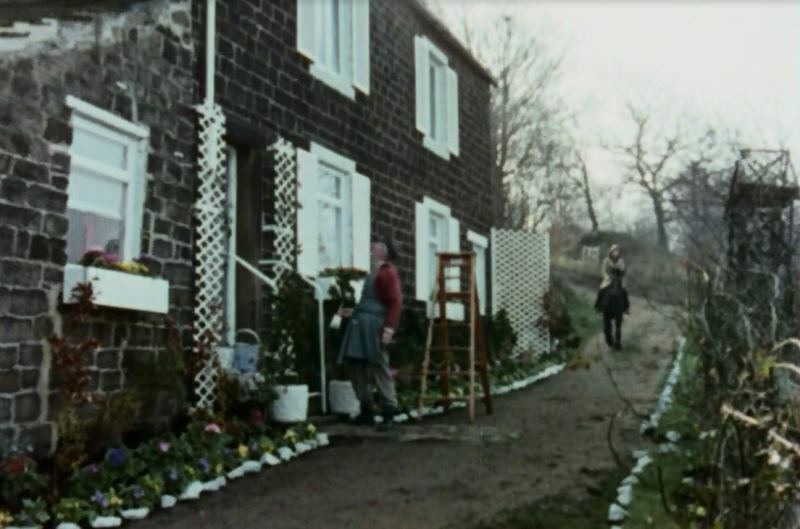 Dora was in the garden of the cottage to the left, there was a metal fence dividing the gardens as you can see in the screenshot (still there in the 90's) the privet hedge was at the far end of the cottage to the right. 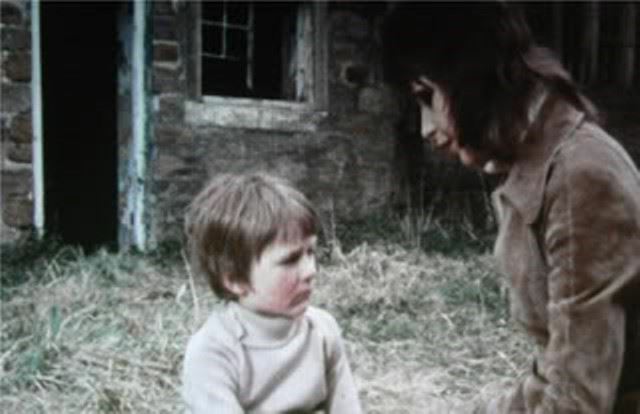 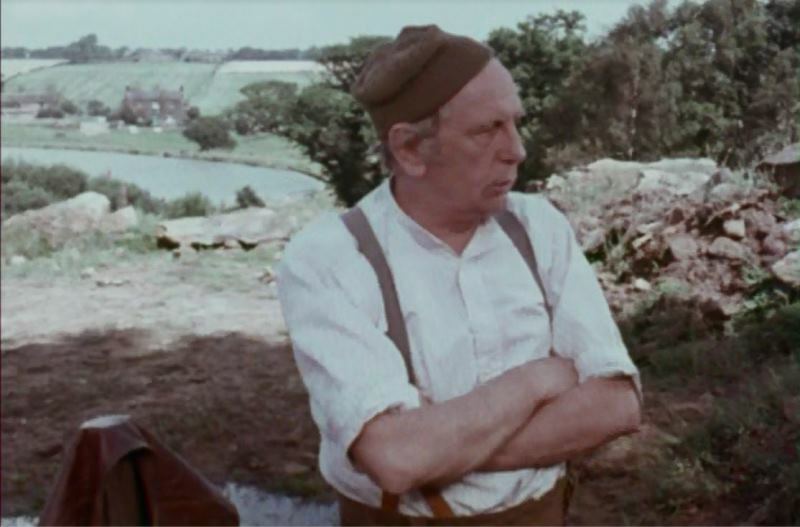 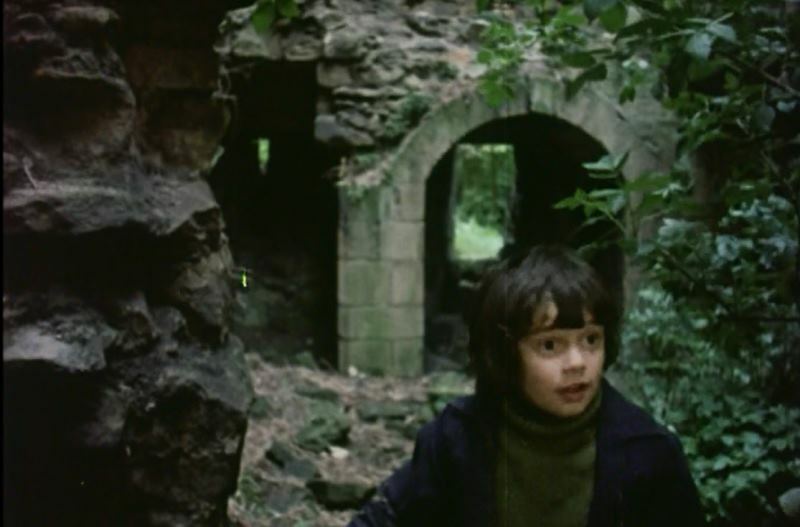 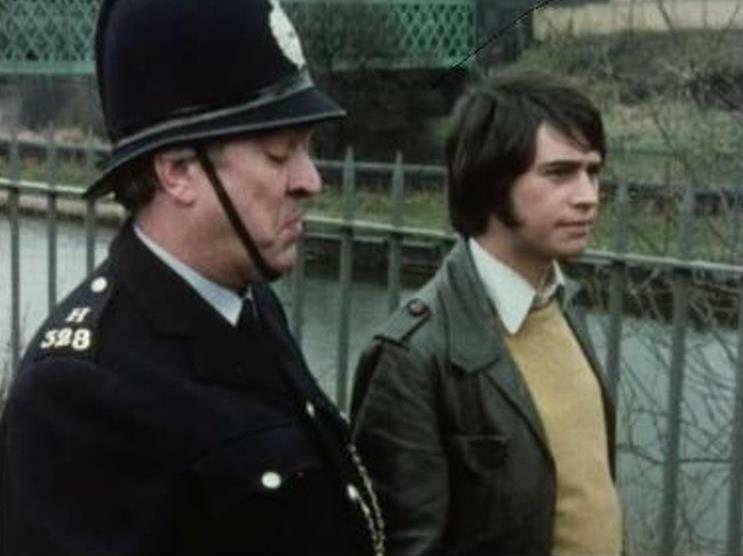 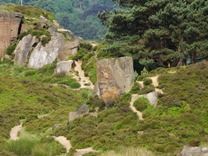 I assume the filming of the search for Copper and the 'cutting down the strong to help the weak' chat with the woodsman also took place in the woods here. 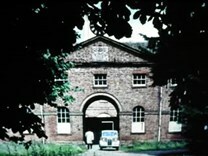 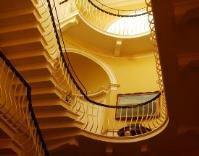 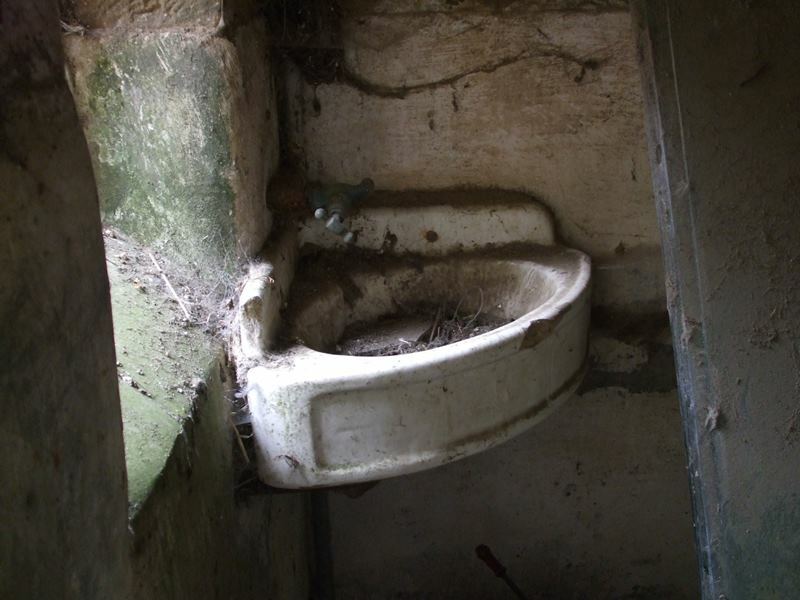 Carr Houses were derelict until about 2000 when they were renovated. 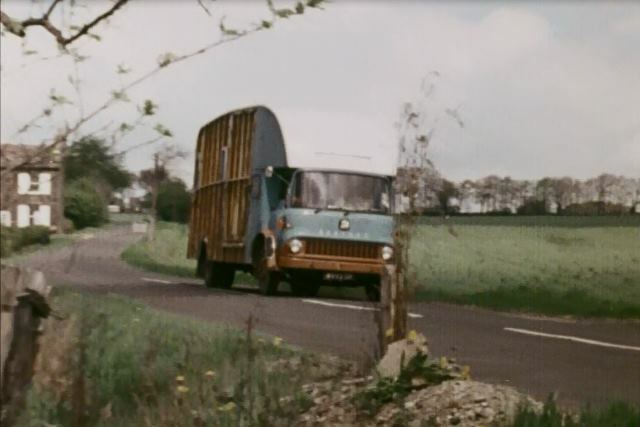 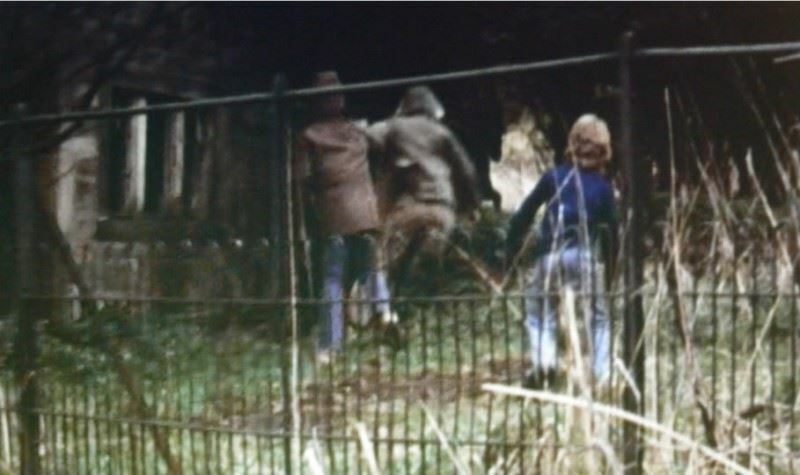 They were in a slightly worse state than they are seen on FollyFoot and the wildly overgrown privet hedge that the boys chase Copper through was exactly the same. Today they are very different. 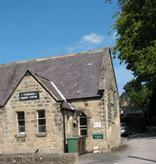 Hollinhare's images taken in 2013. 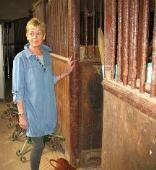 A horseshoe still hangs on the door. Hollinhare's images 2014. 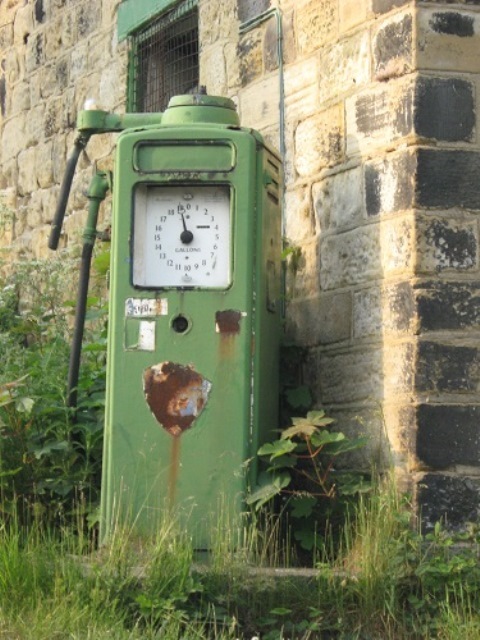 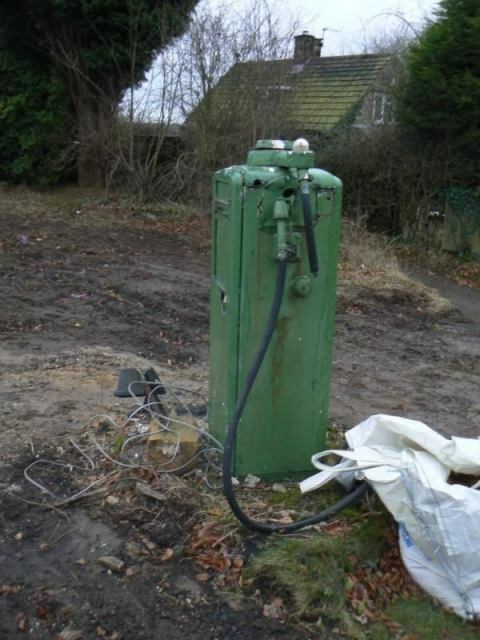 The forge has been demolished but the pump remains for the present. 2015 Pump gone, site boarded up but the cottage is still hanging in there.